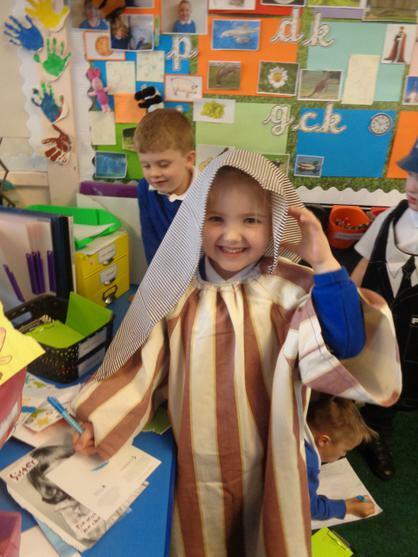 Spring 1 - Beech class - Christian Value Creativity display. 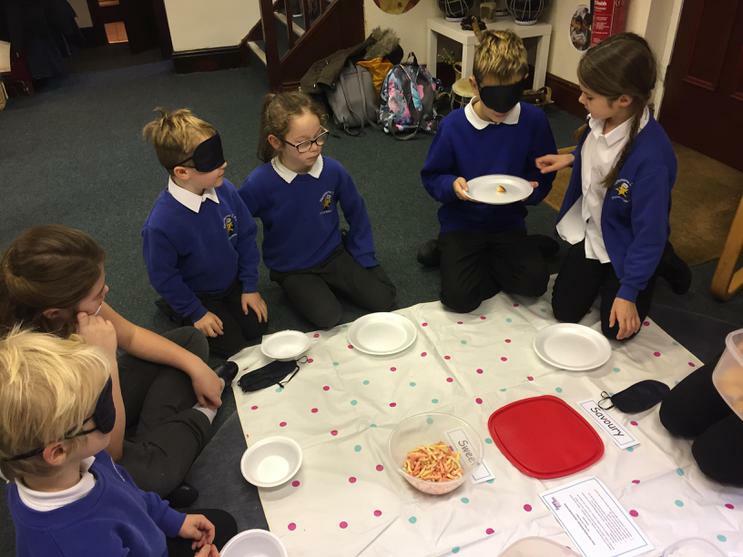 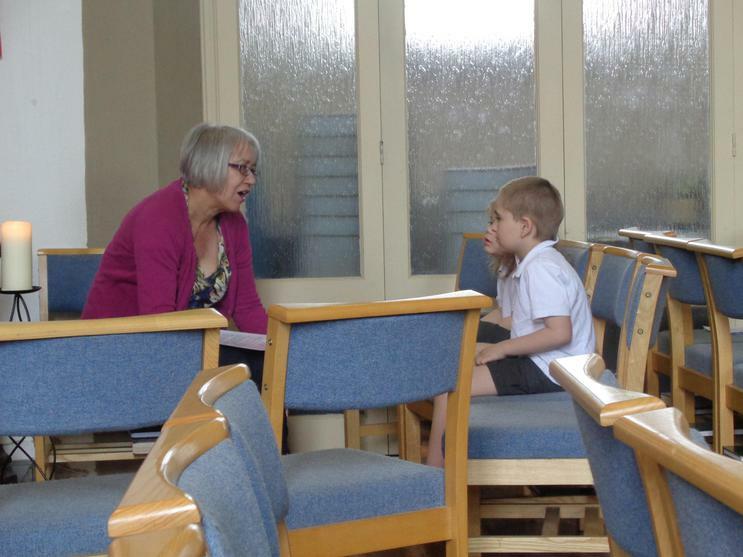 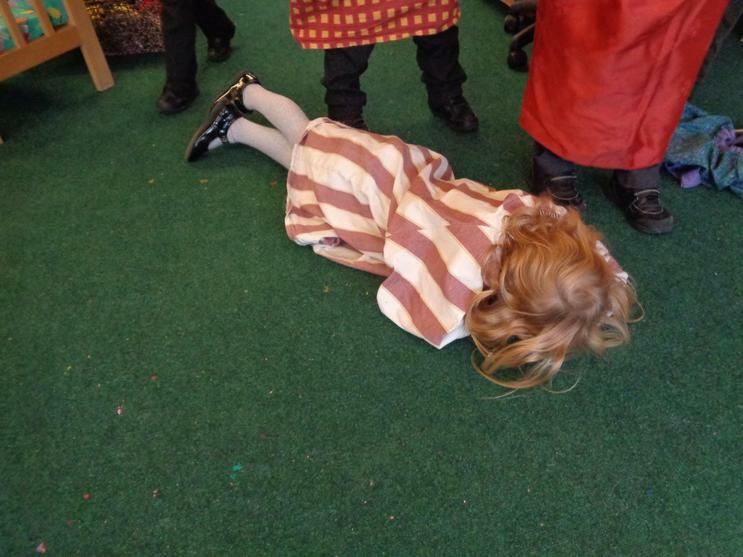 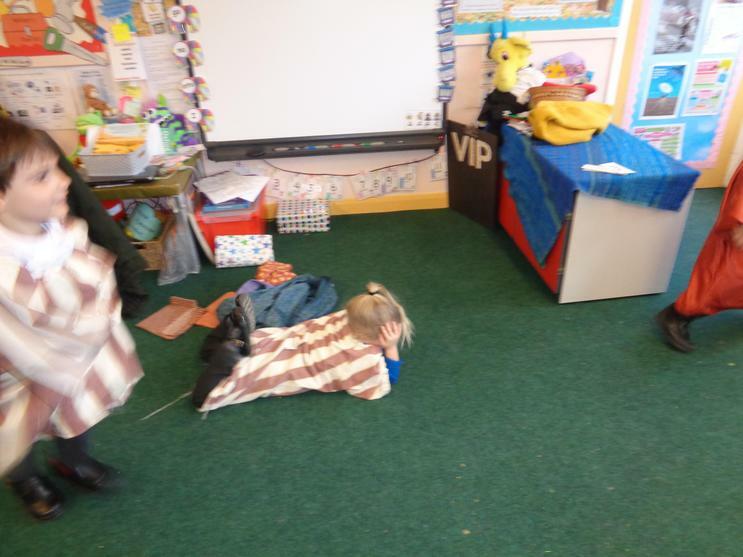 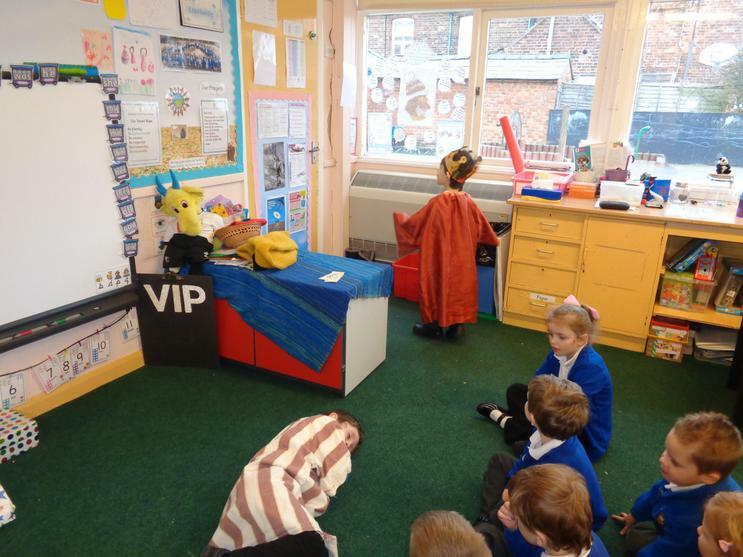 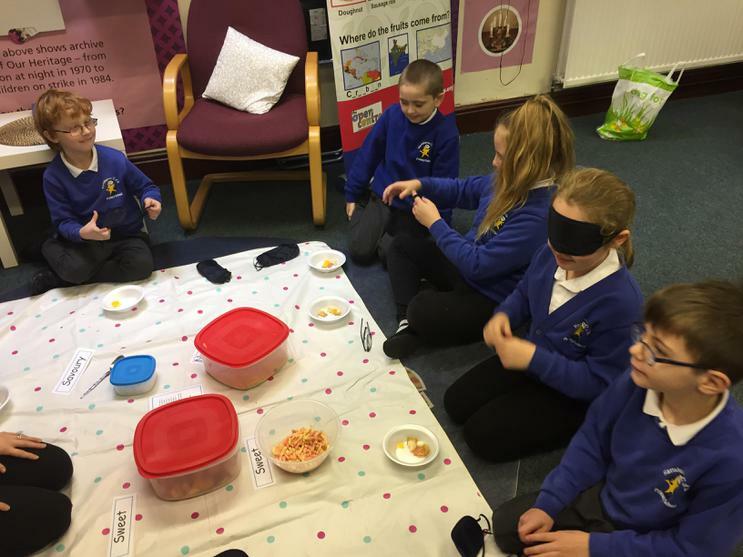 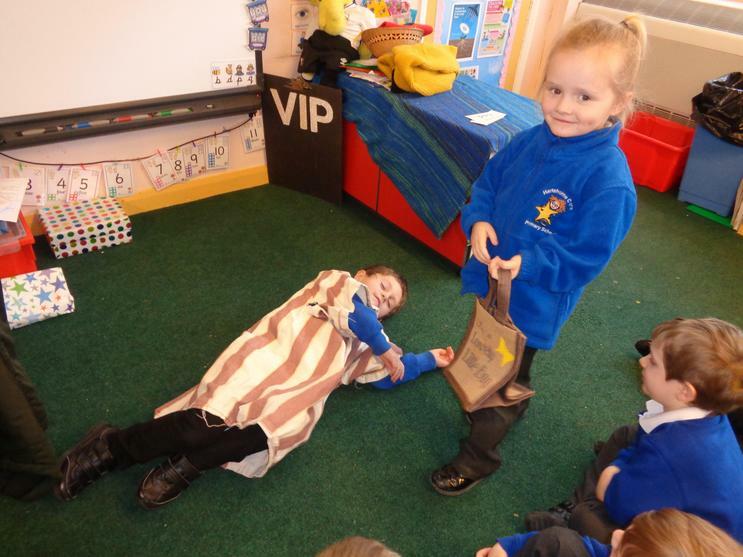 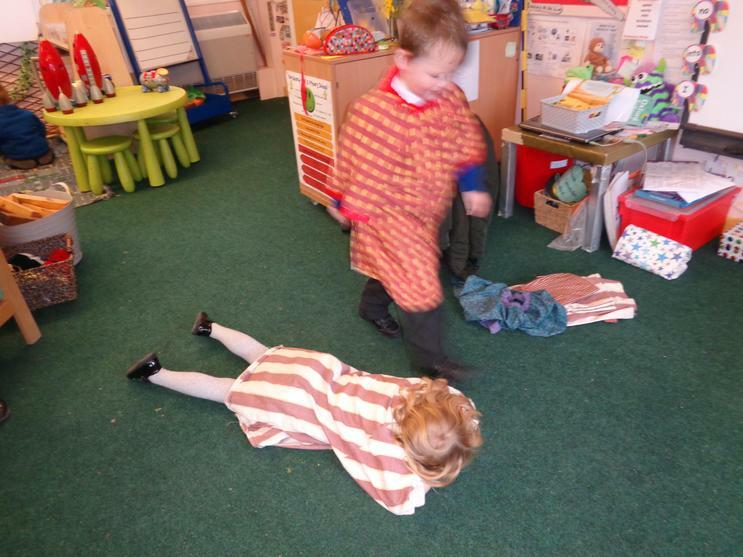 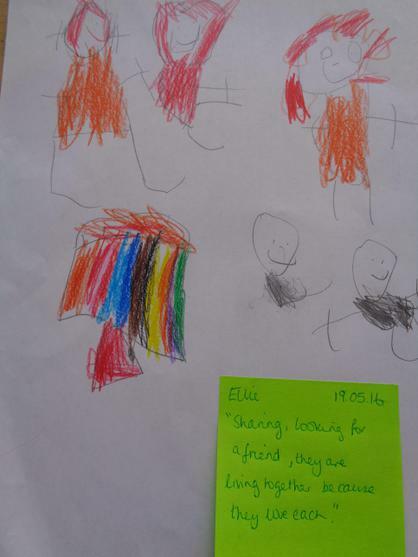 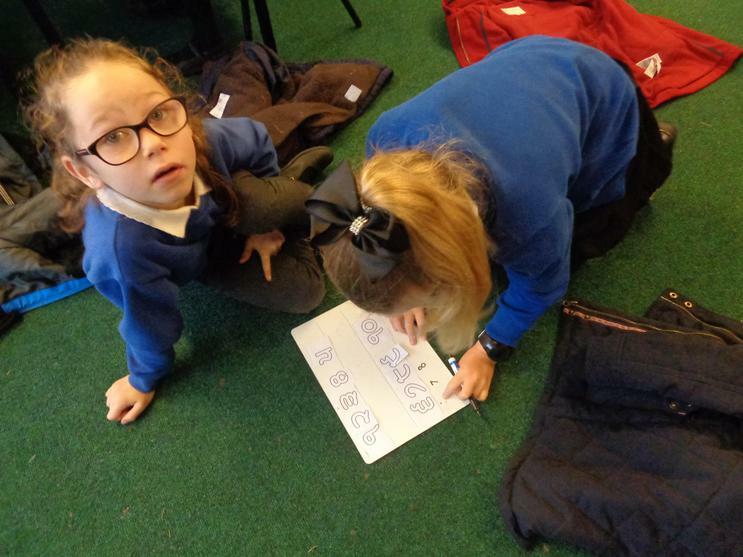 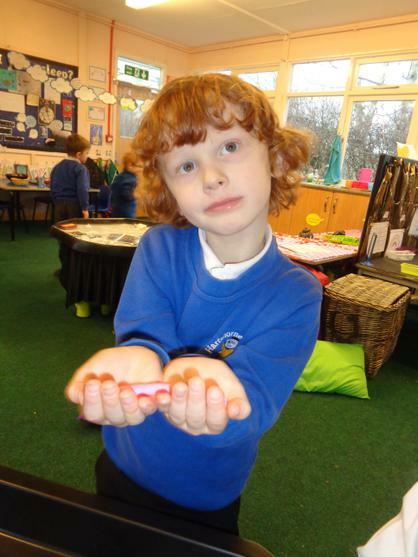 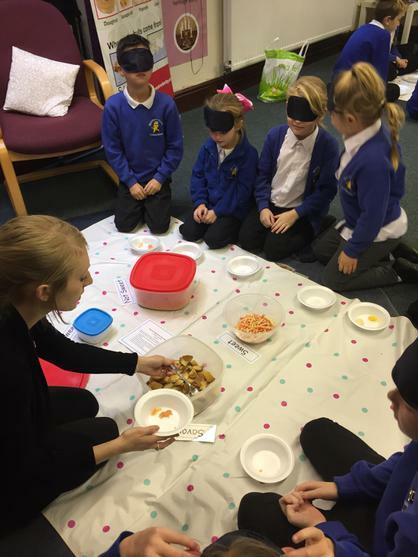 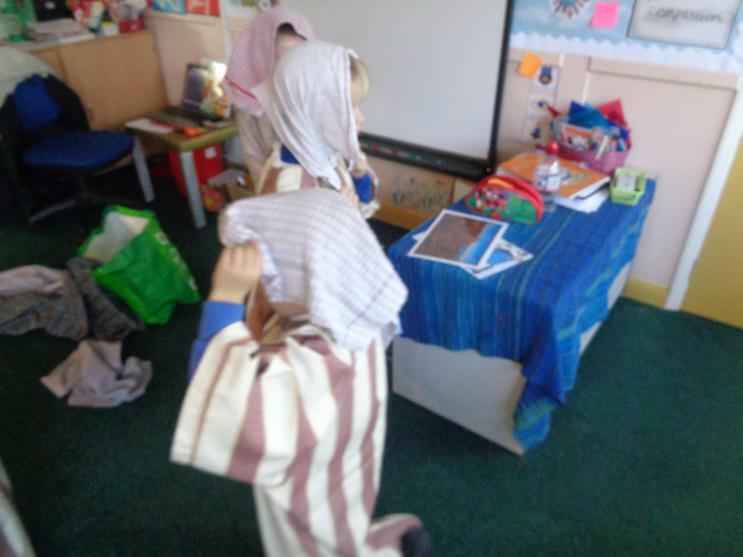 01.02.19 Beech class performing the story of 'The Good Samaritan' and finding out about why Jesus told this story about helping others in need. 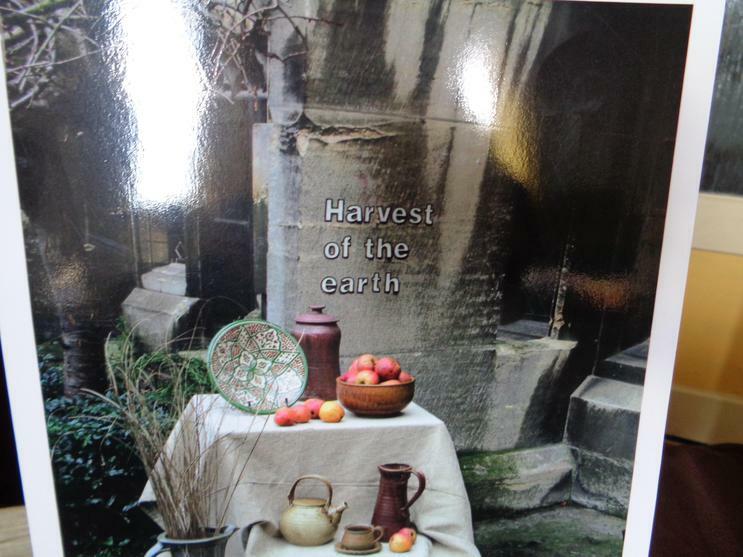 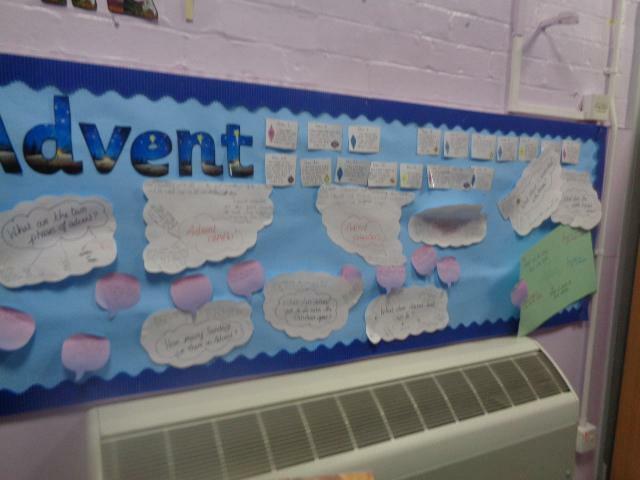 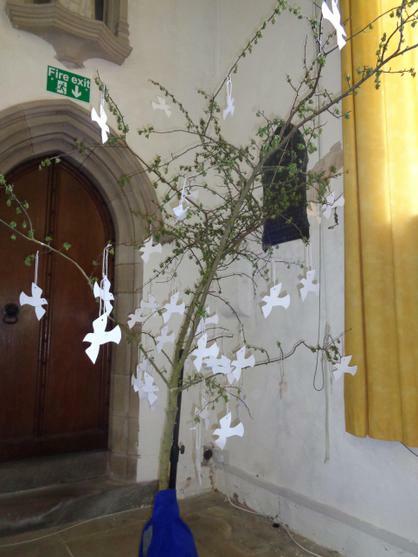 Autumn 1 - Beech class RE display - 'Hallowed be thy name' - finding out why God is a VIP to Christians. 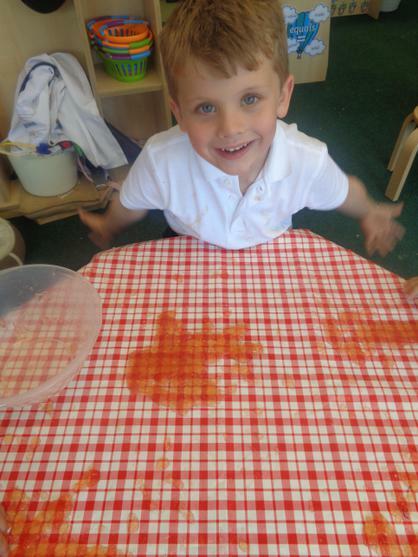 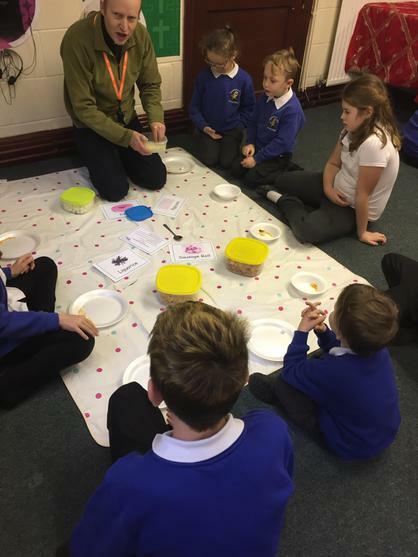 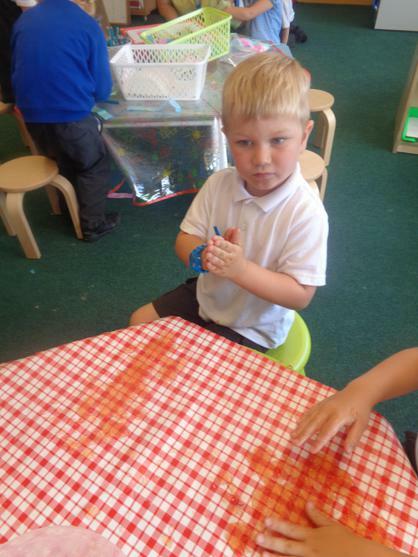 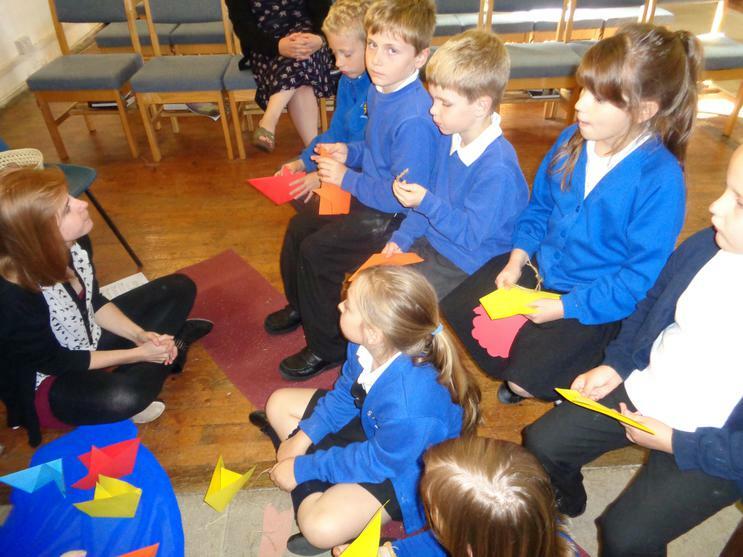 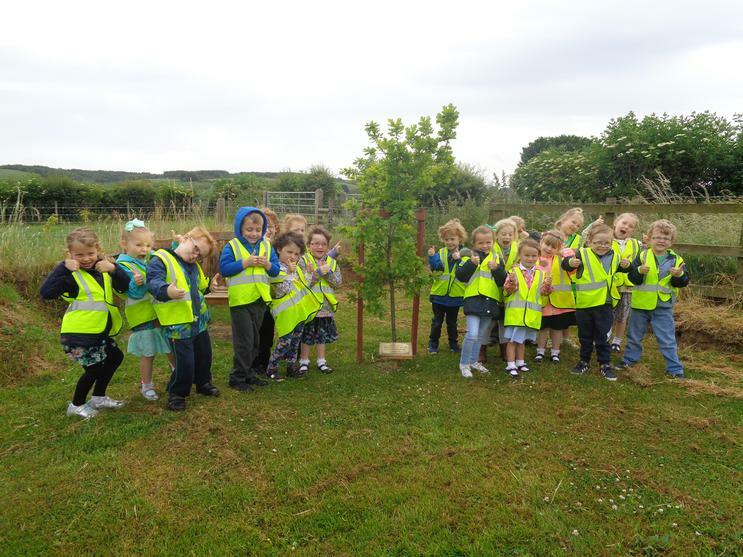 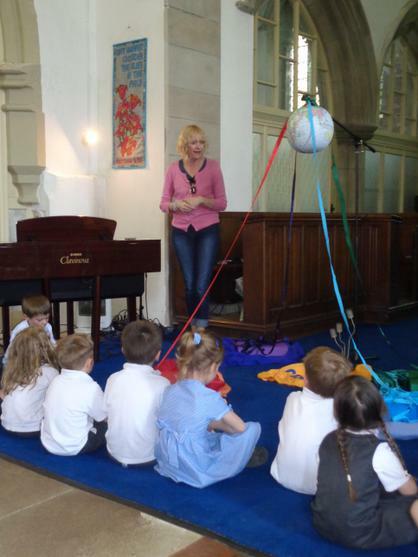 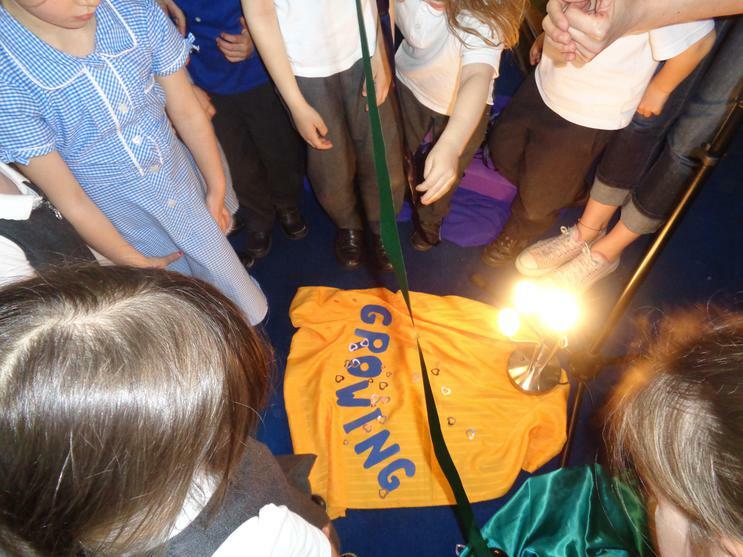 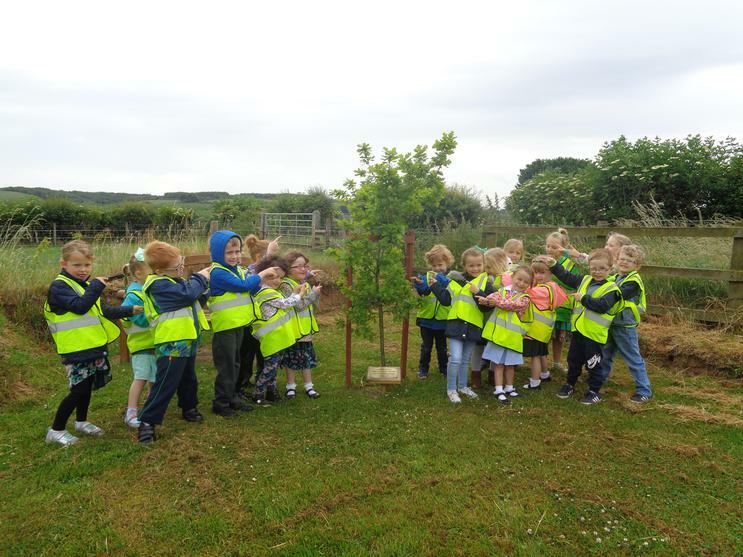 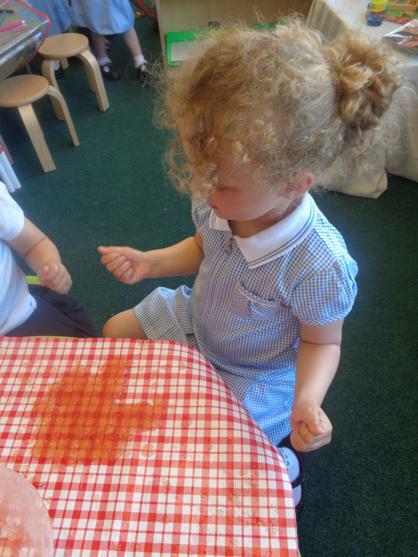 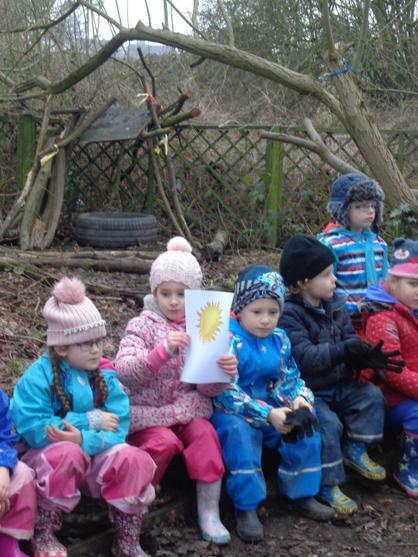 Beech class- Spring 2 2018 Christian Value - Respect - "The Rainbow that nearly wasn't" -exploring working together to create rainbows and appreciating other people's talents. 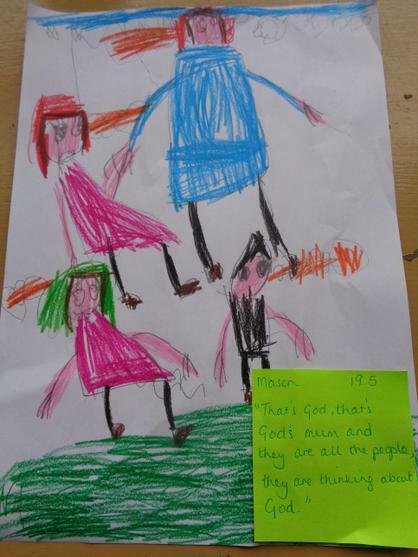 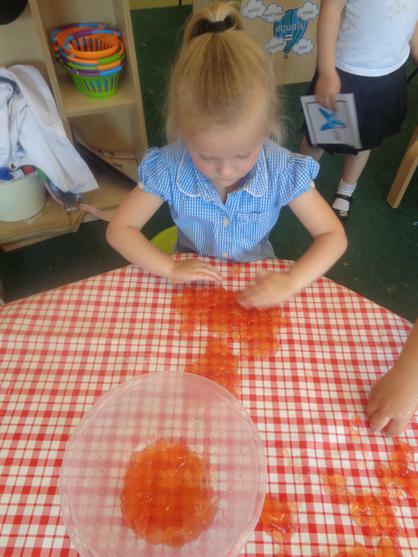 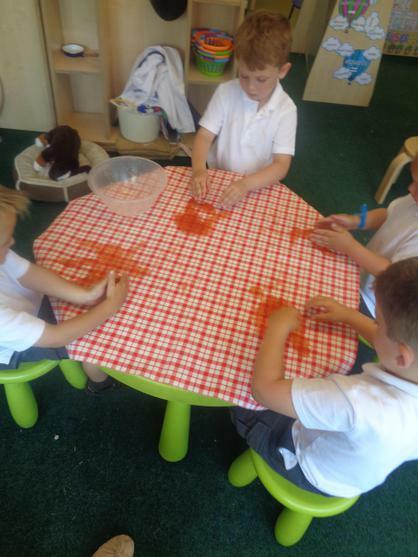 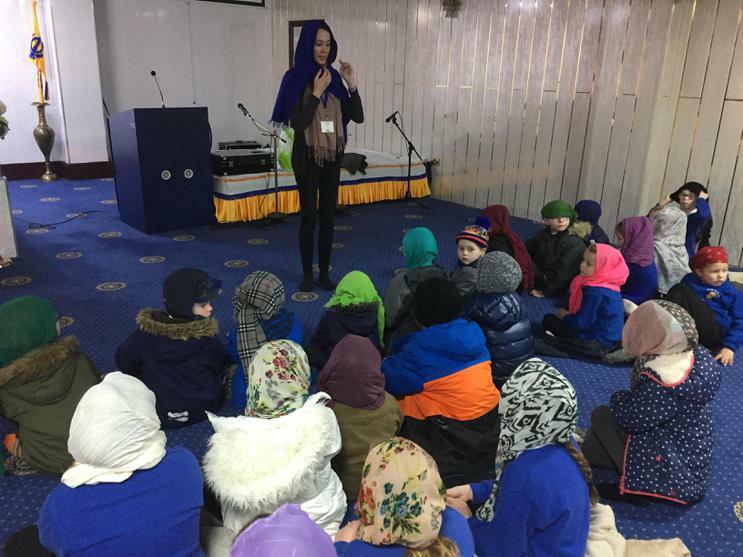 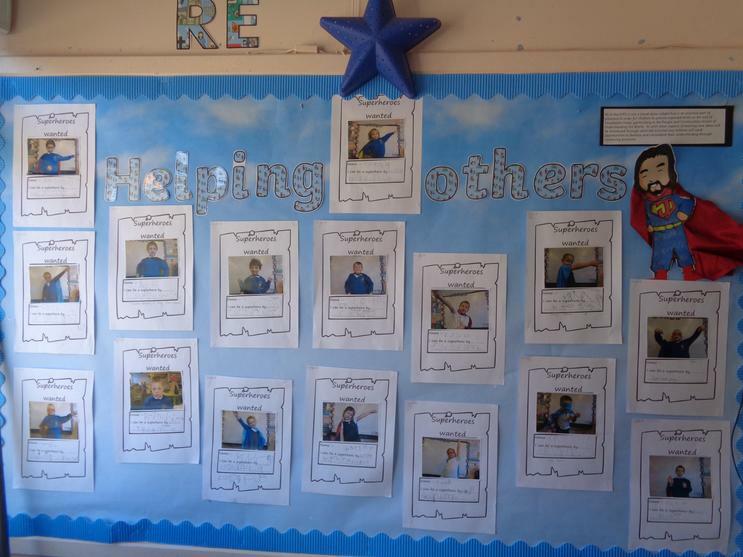 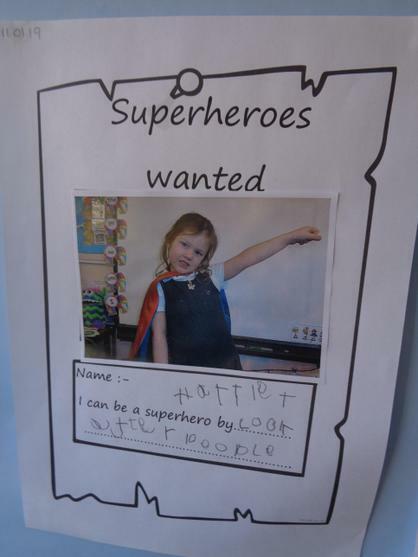 Beech class Spring 1 2018 - RE - " How can we help others when they need it? " 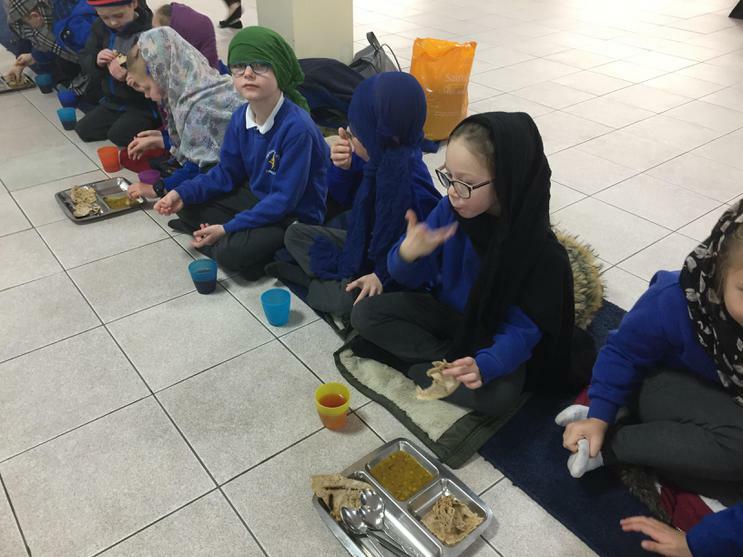 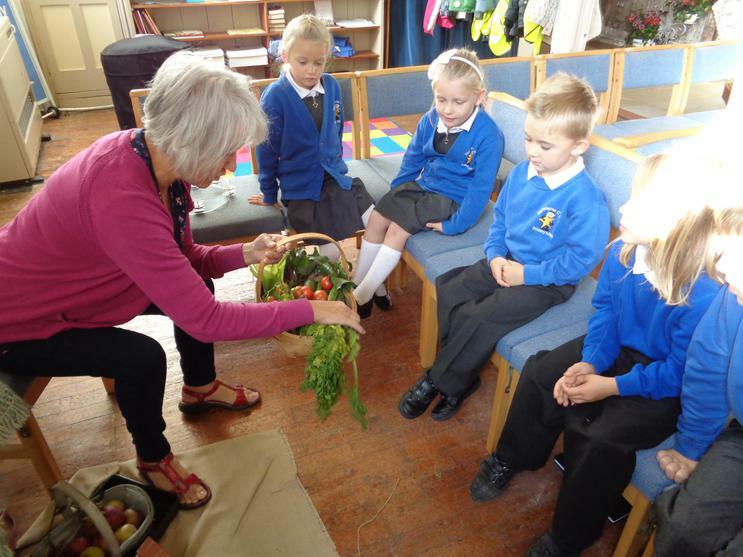 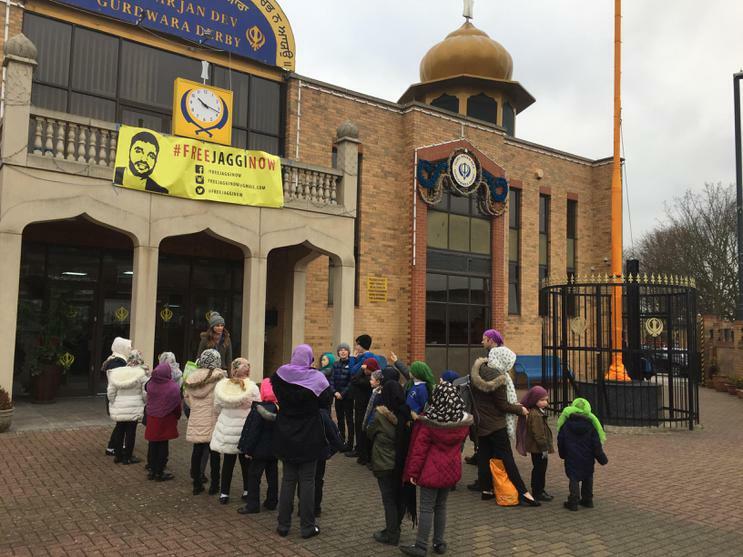 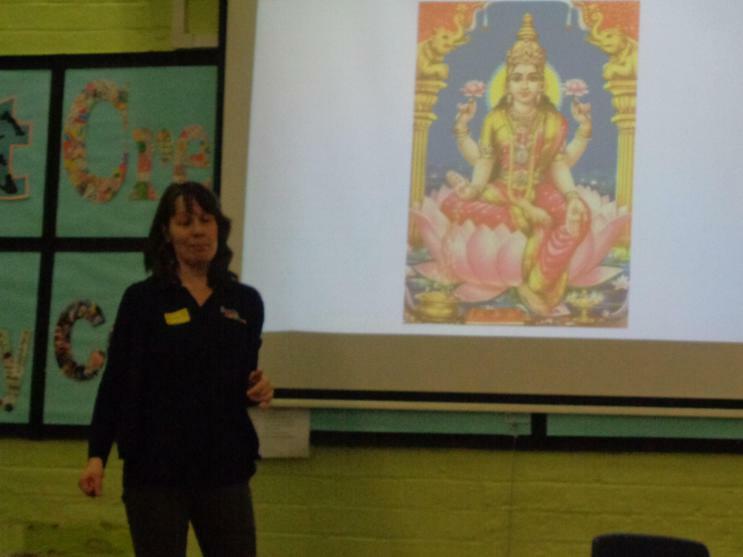 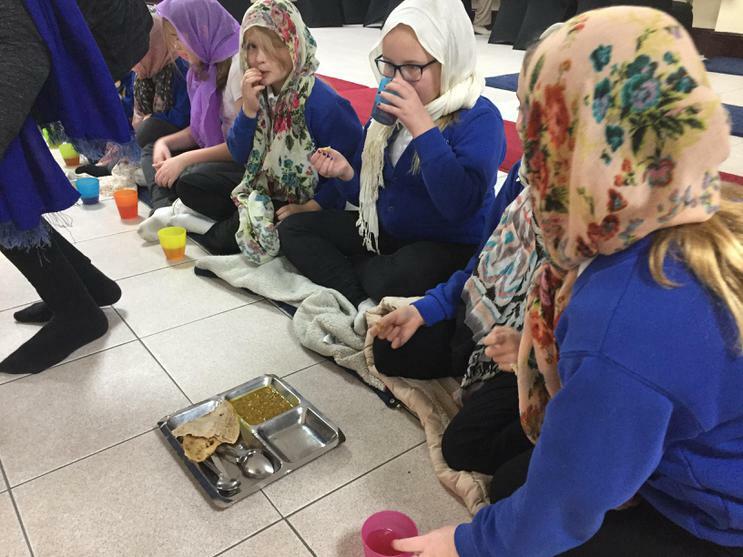 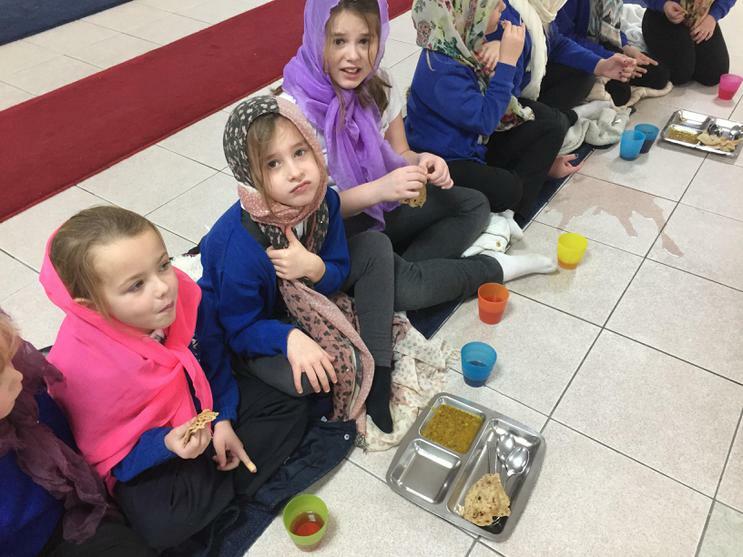 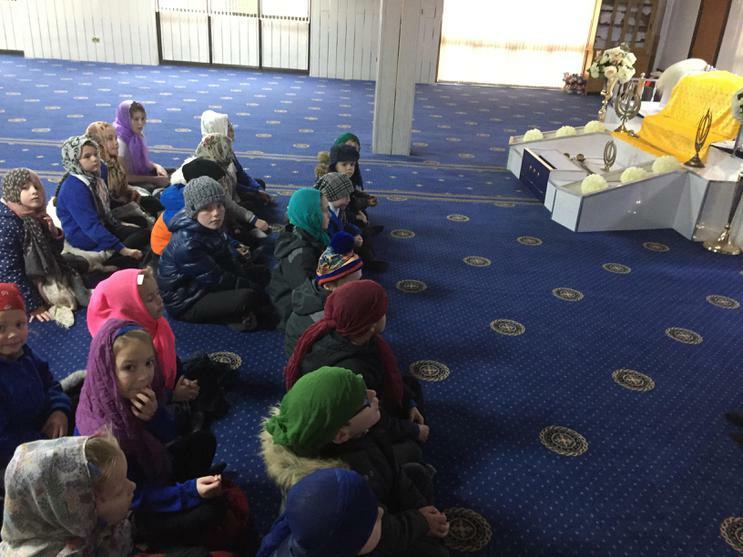 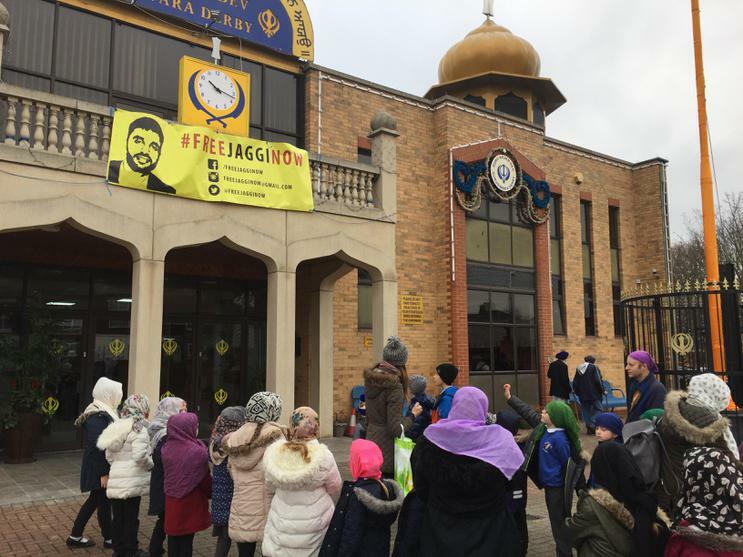 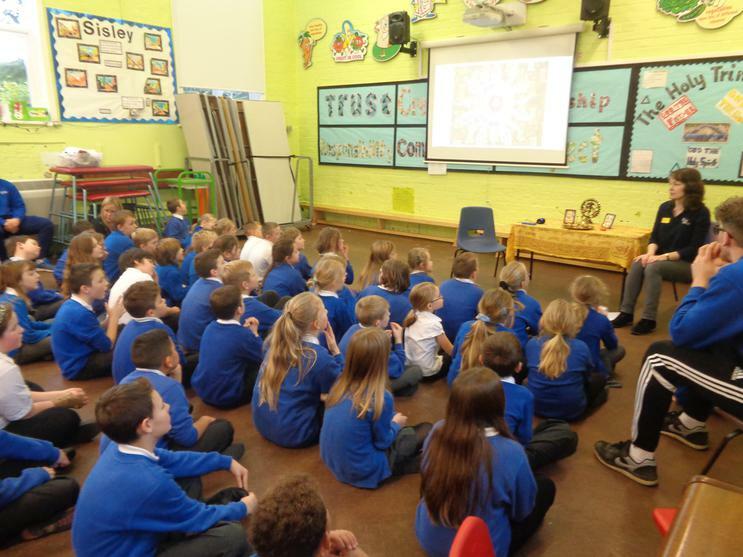 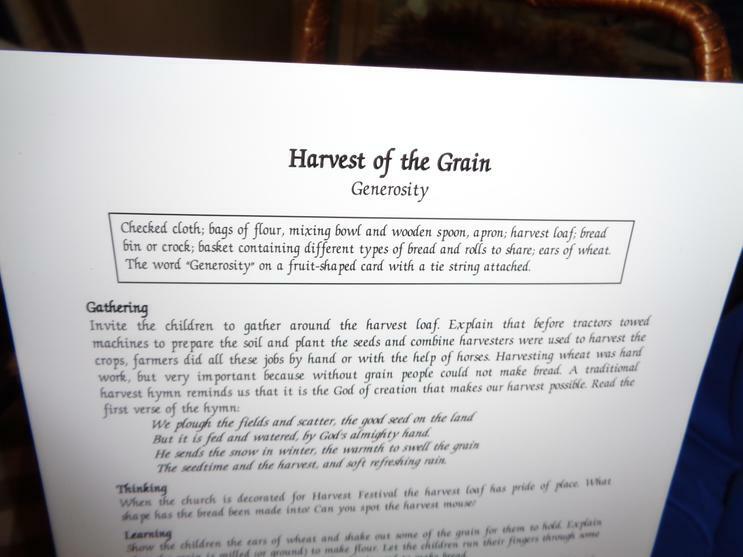 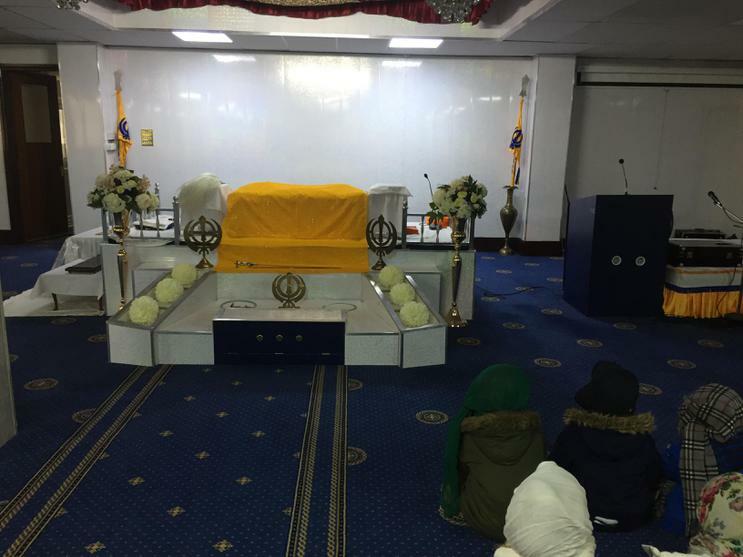 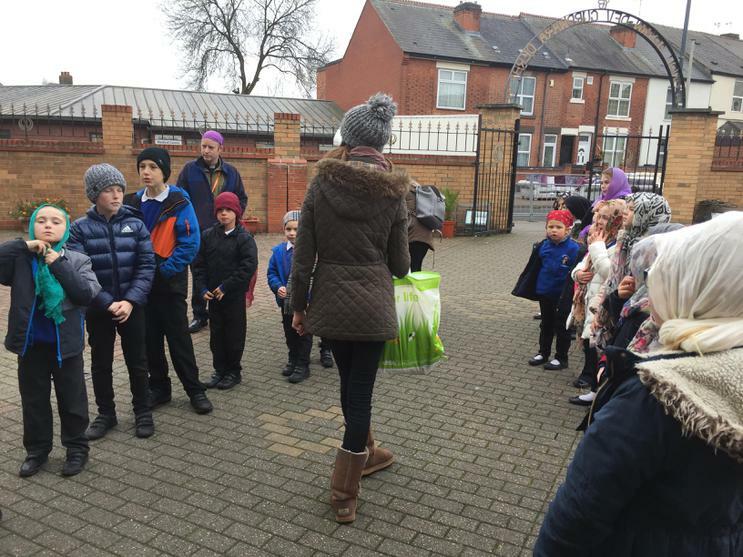 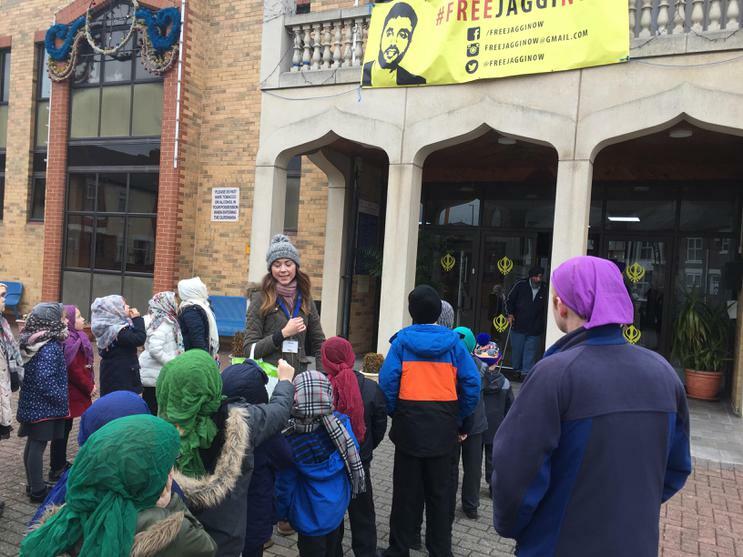 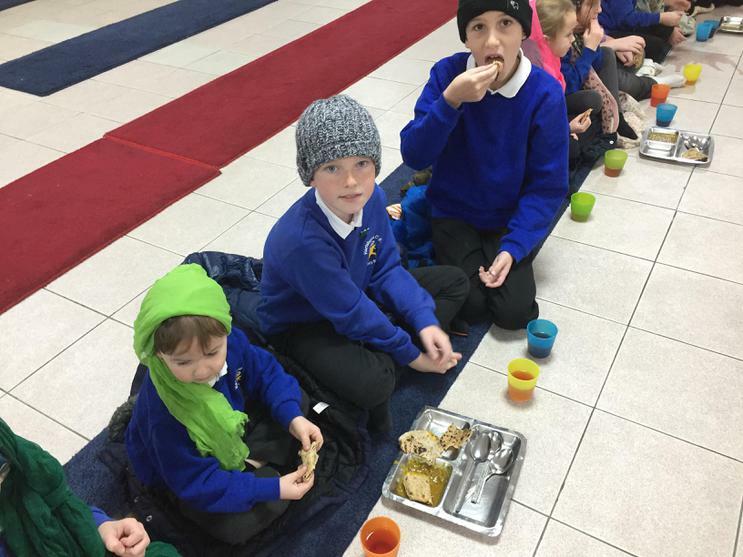 Farmers - Sikh faith visit and active learning at school. 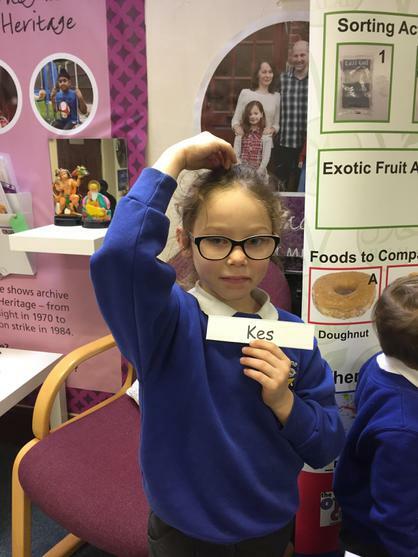 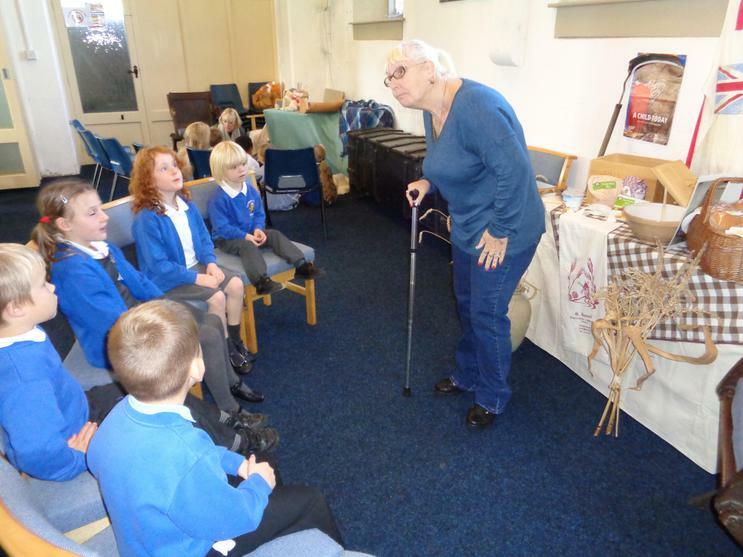 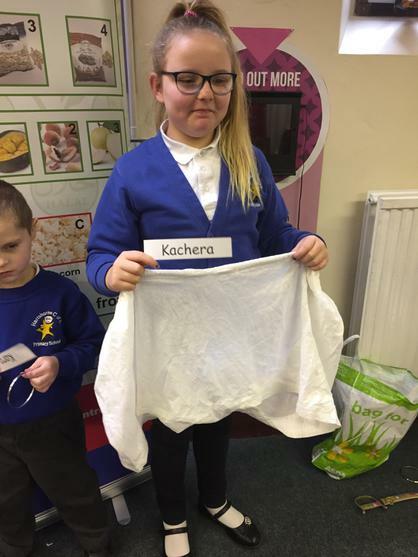 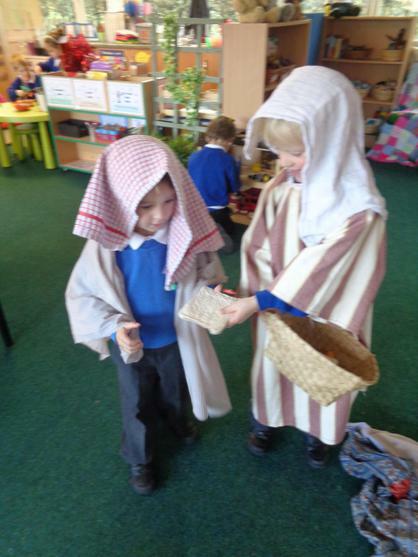 3.11.17 - Beech class dressing up in clothes brought in by Tom and Tessa from Bible stories. 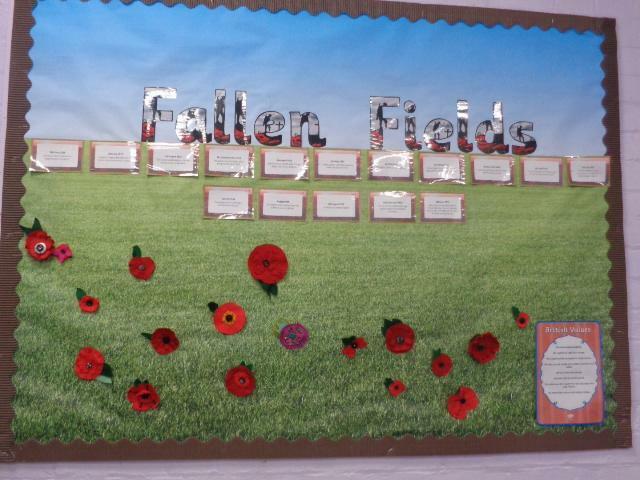 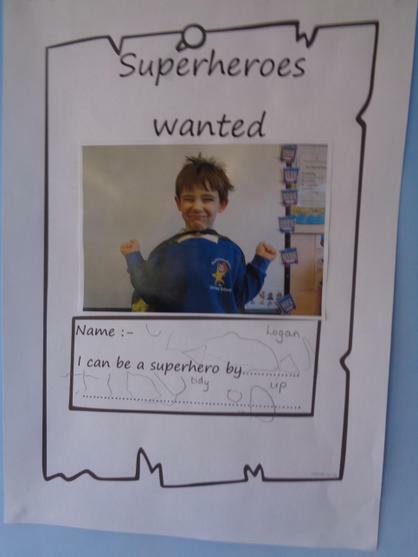 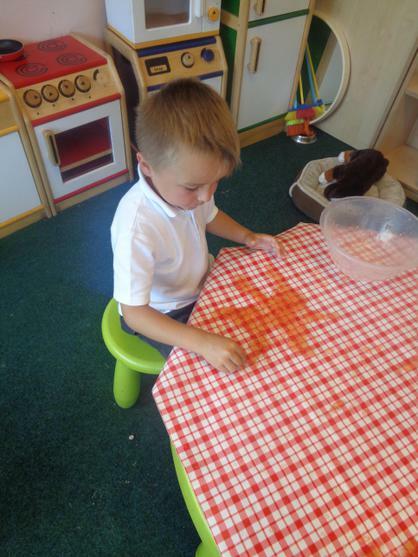 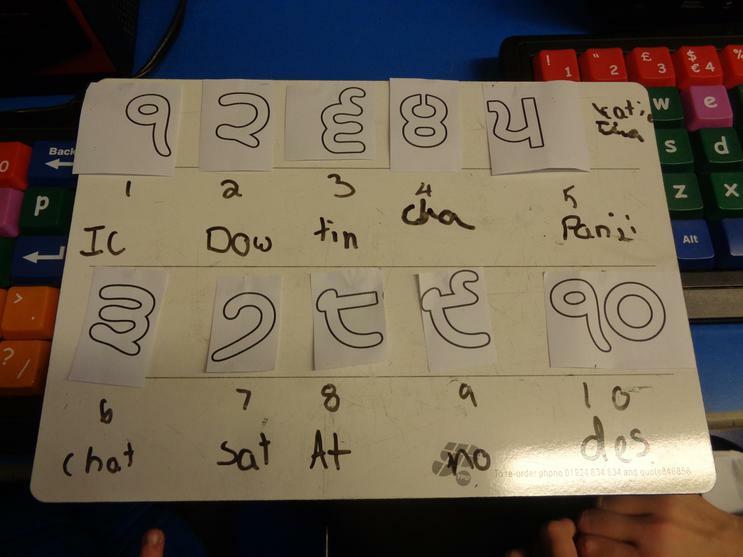 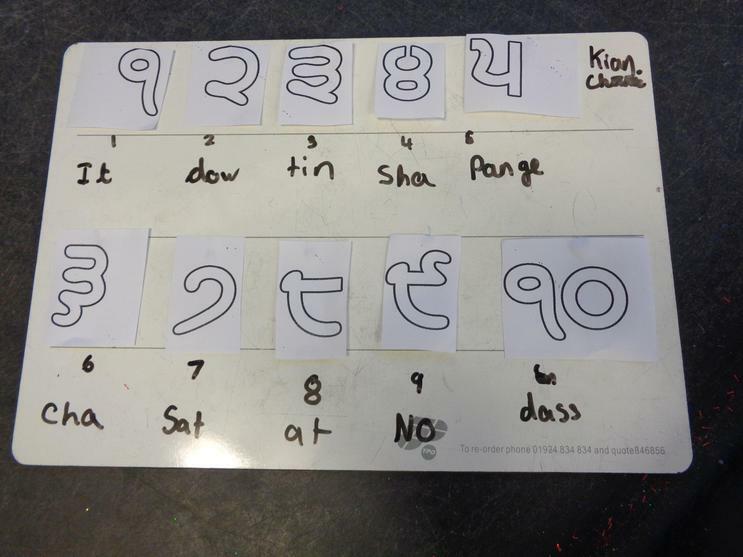 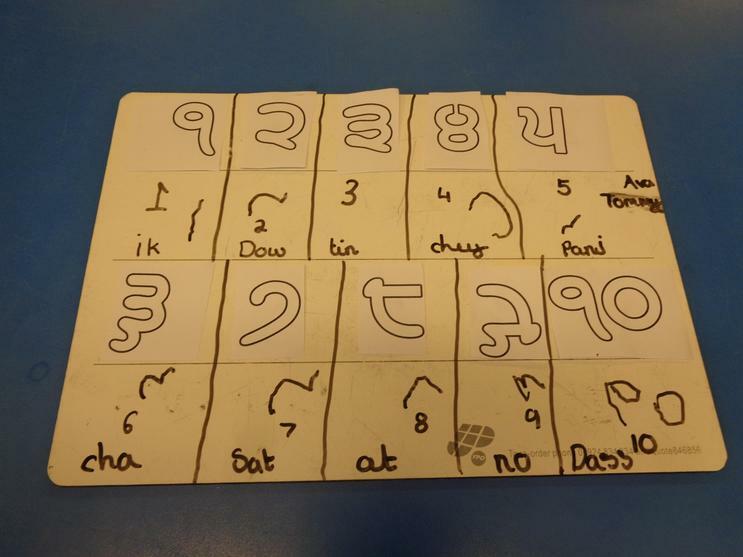 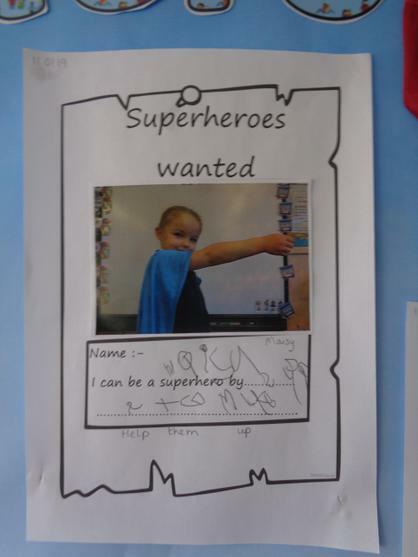 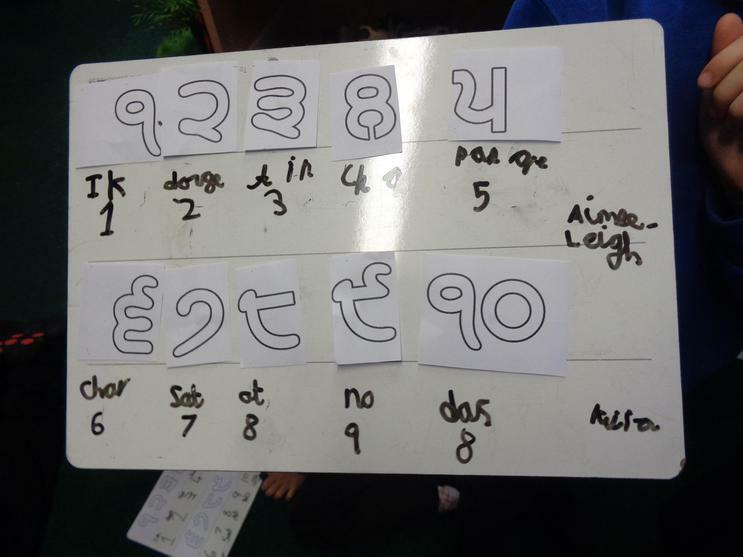 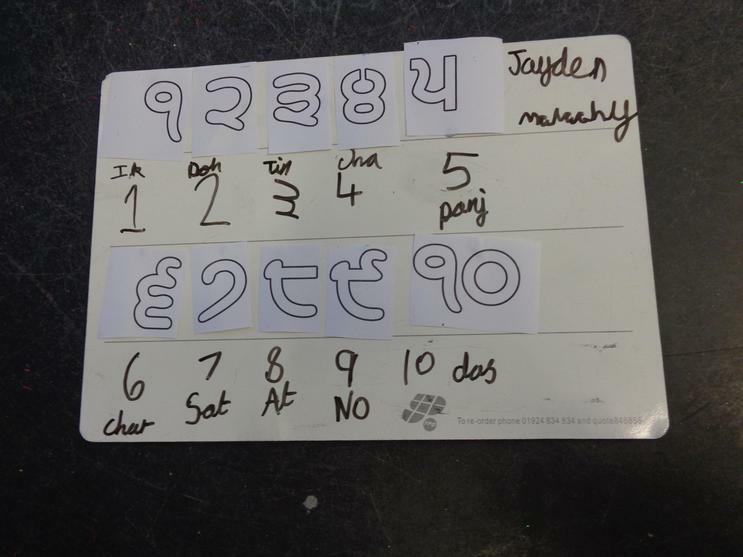 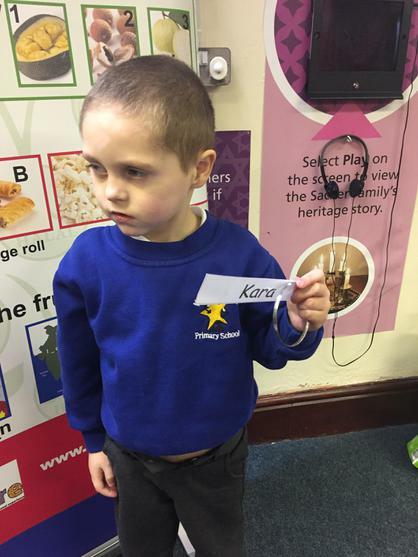 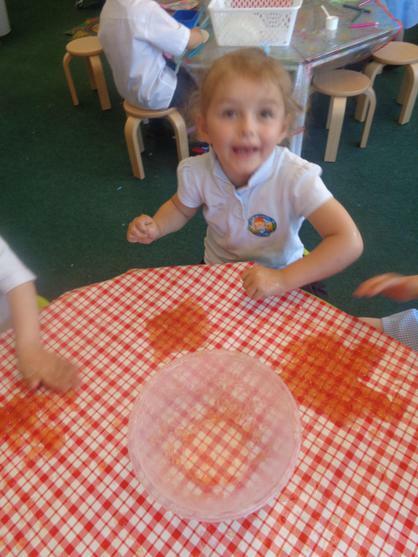 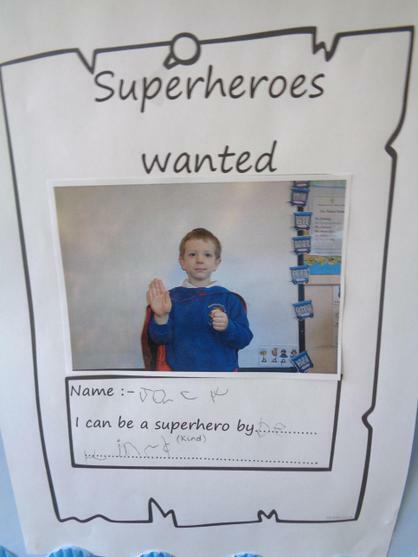 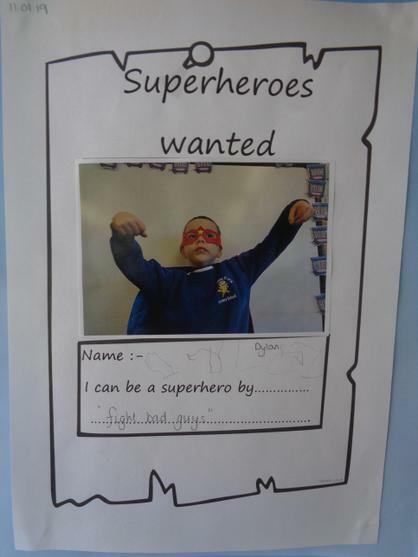 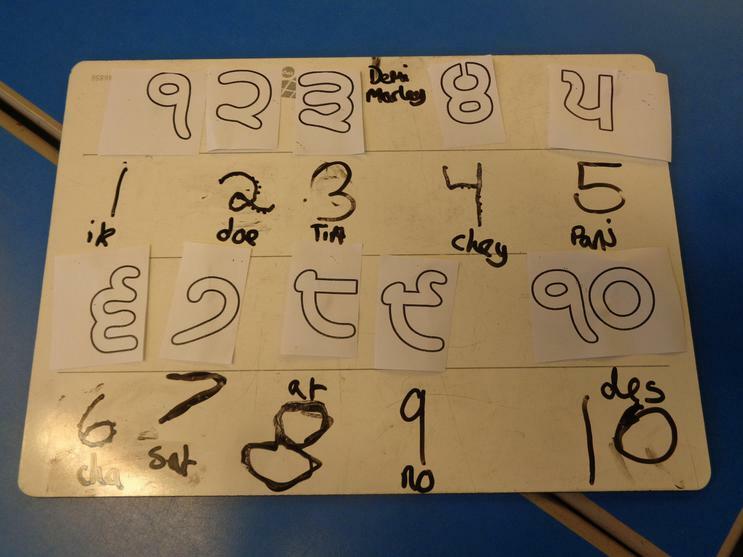 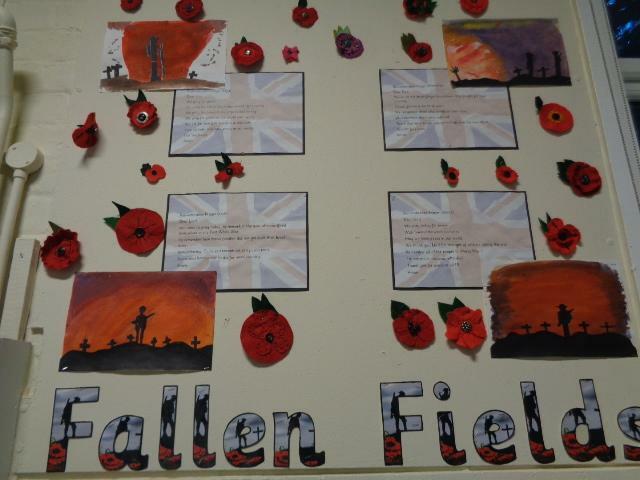 Summer 2 - Beech class Special Places display. 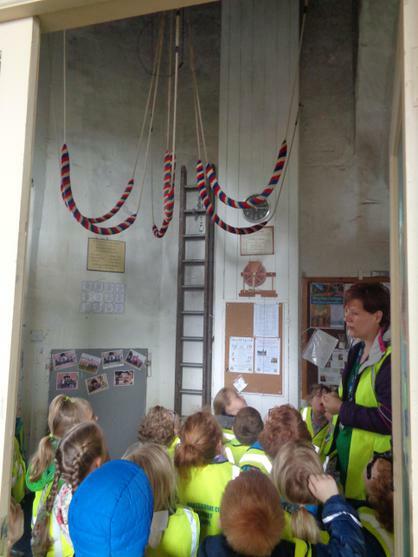 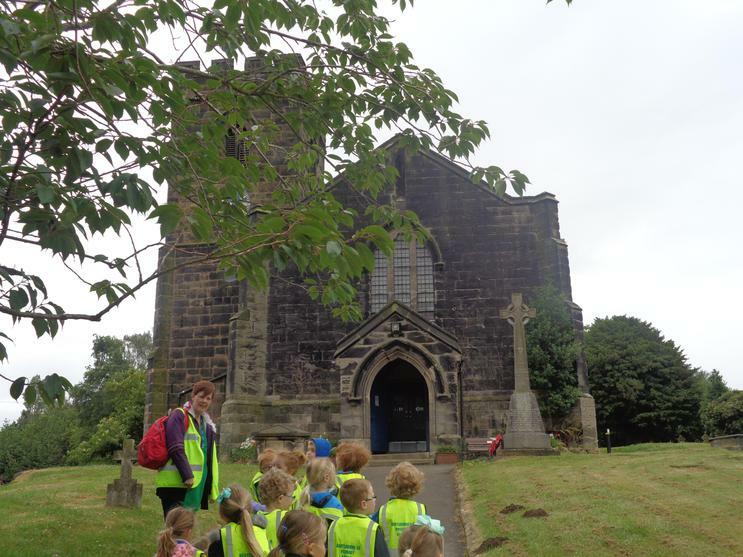 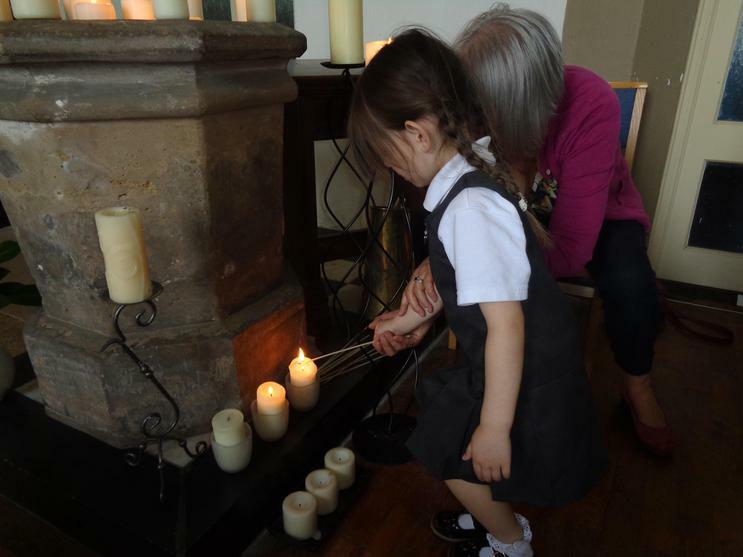 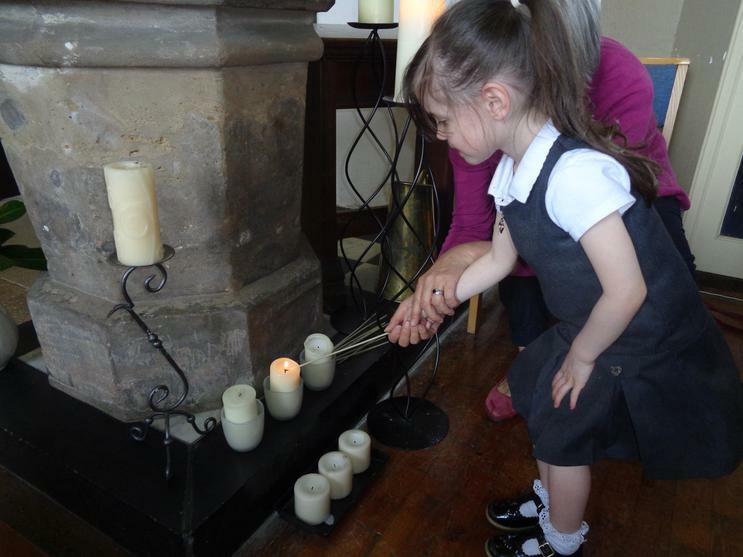 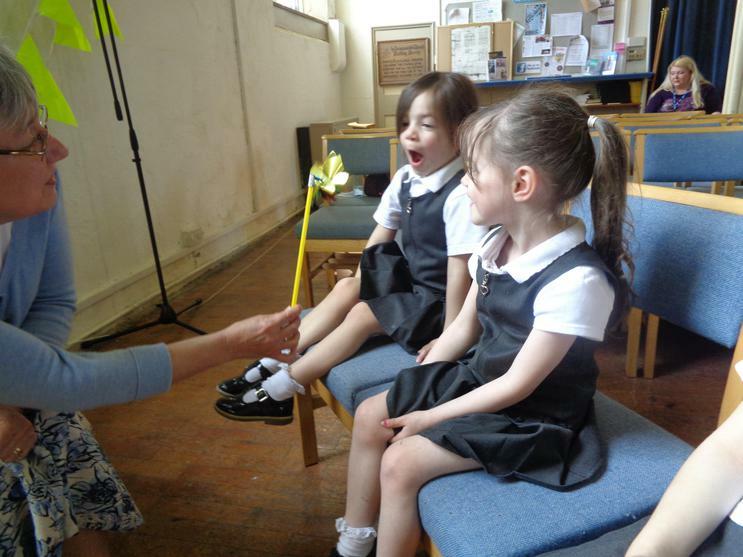 26.06.17 Beech class visit to St Peter's Church to find out about special places for Christians. 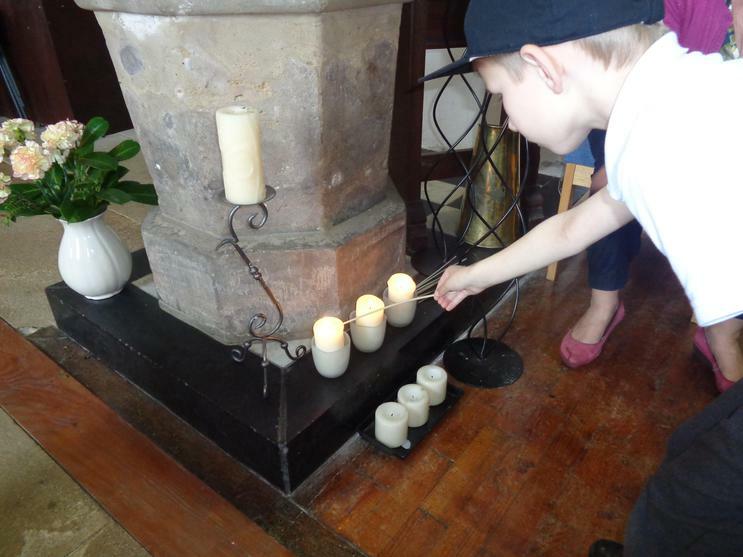 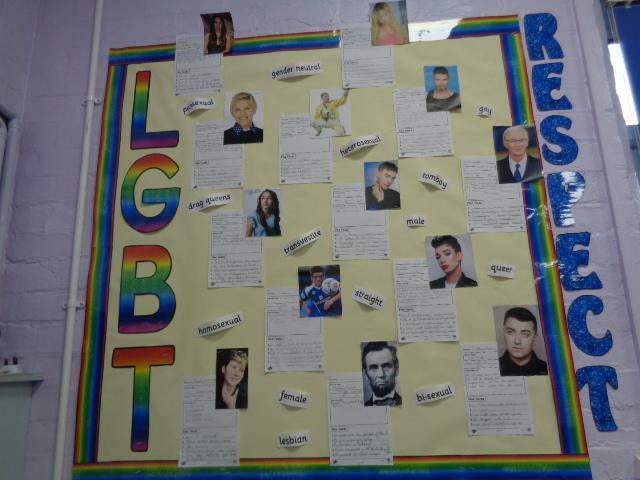 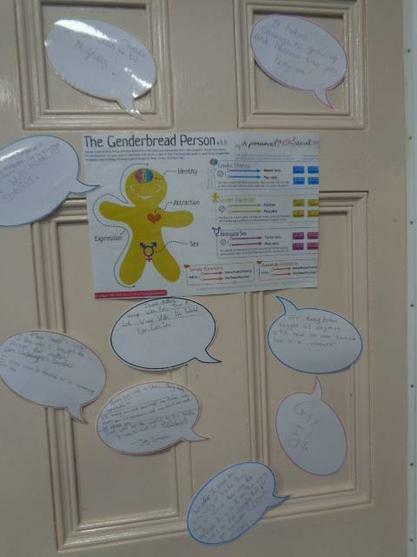 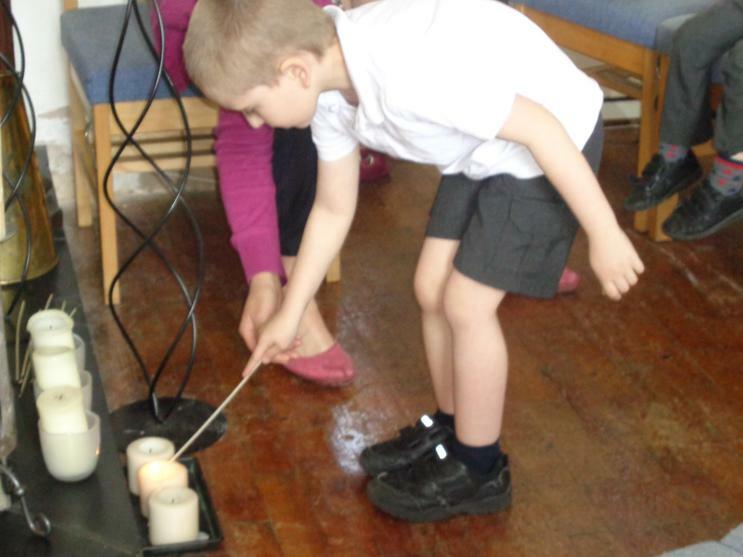 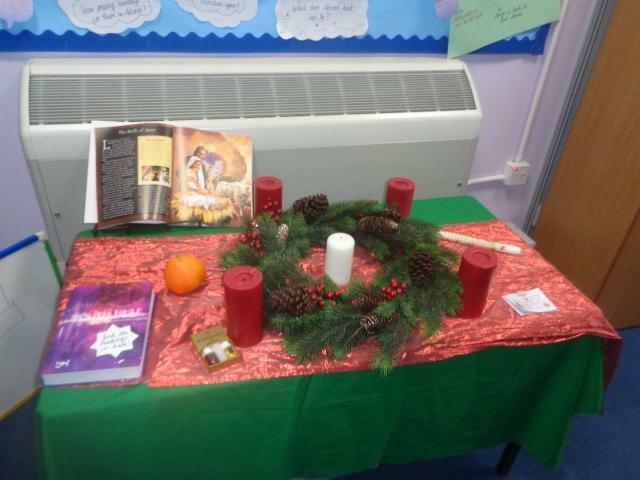 Beech Class - Judaism display - Summer 1 - We found out about the similarities and differences between Christians and Jews. 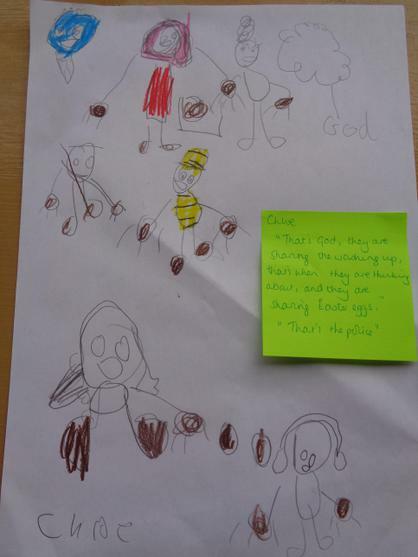 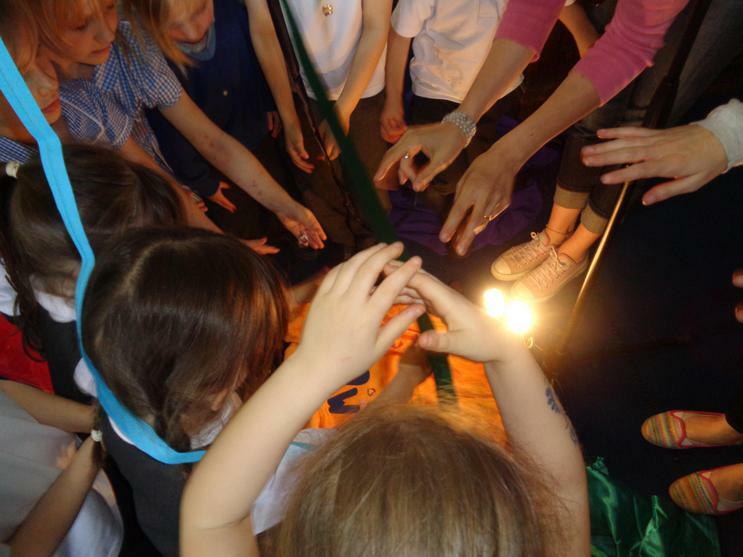 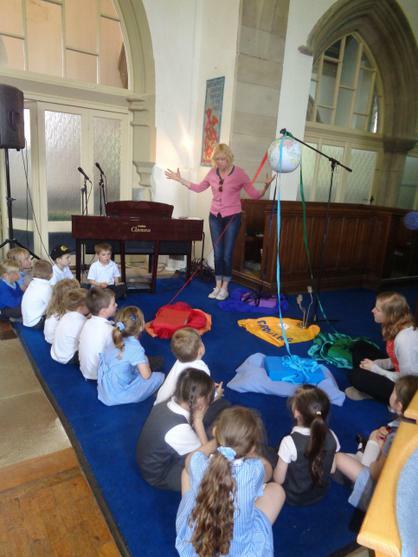 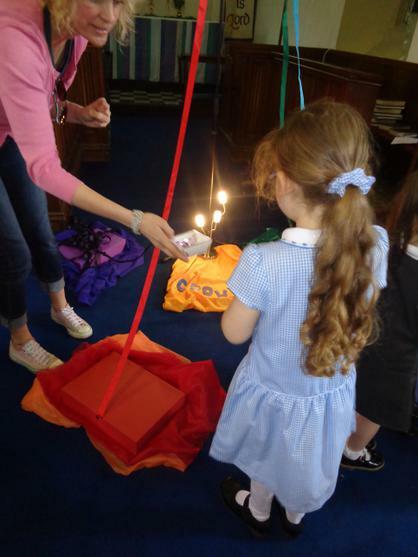 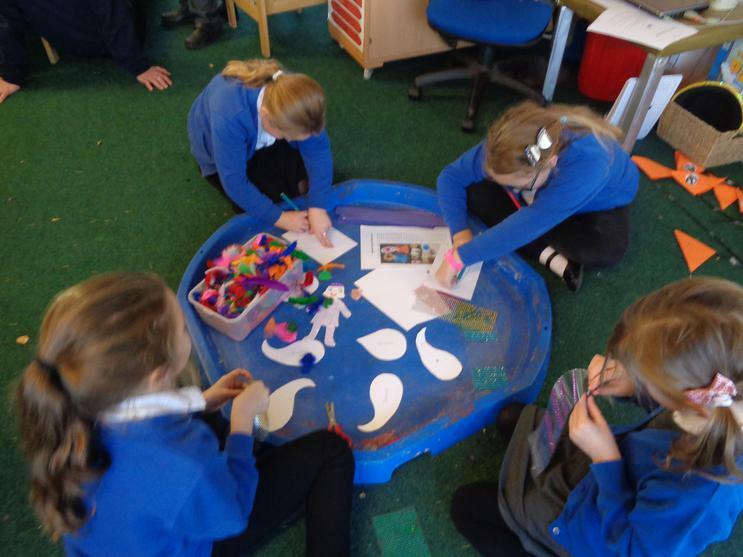 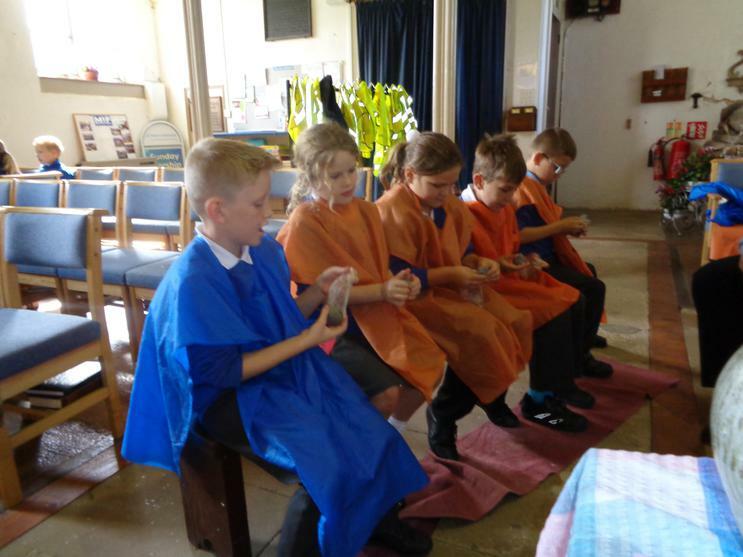 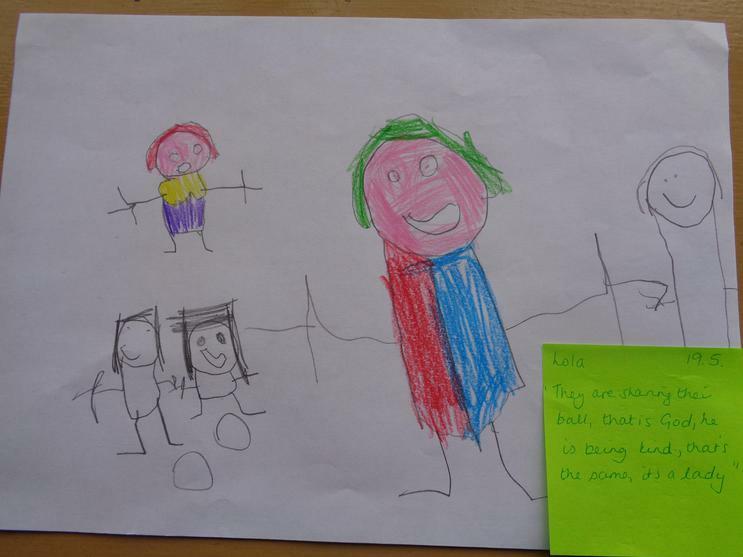 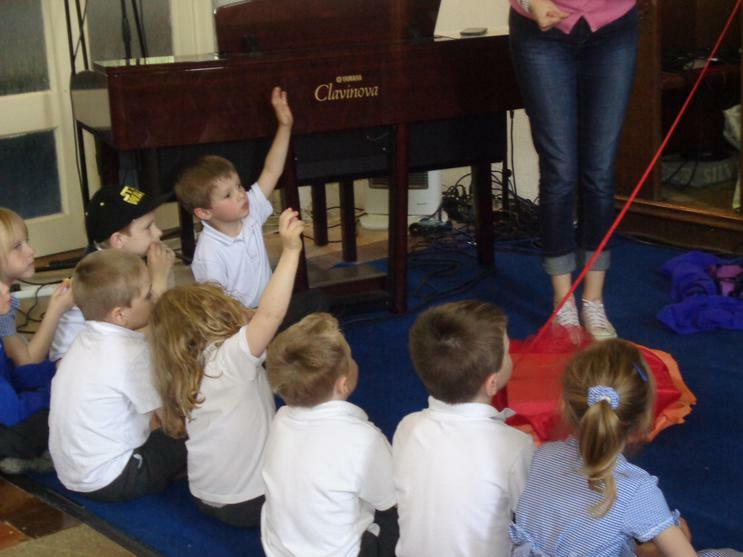 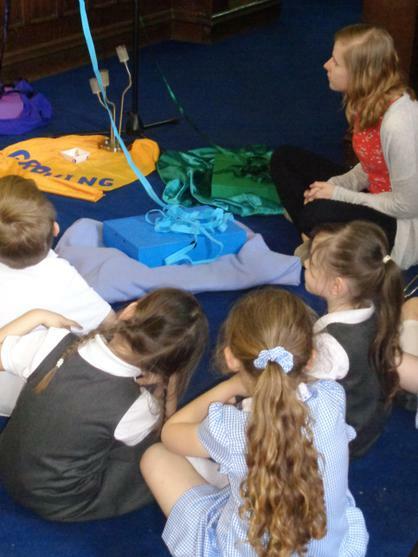 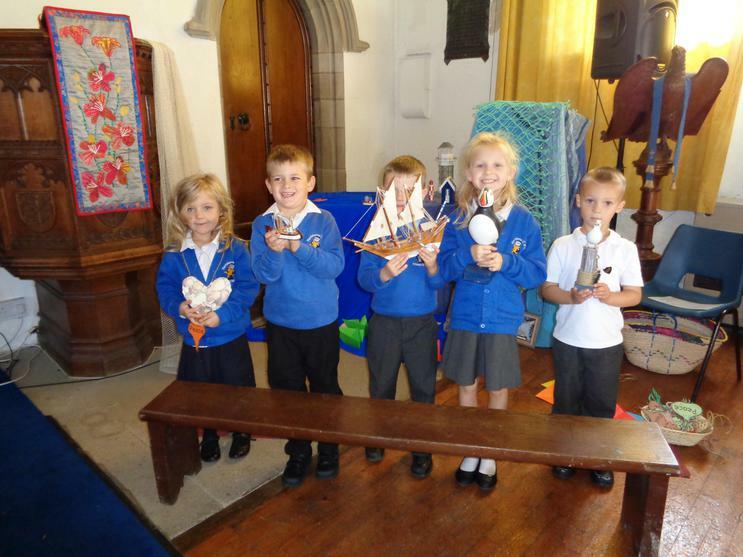 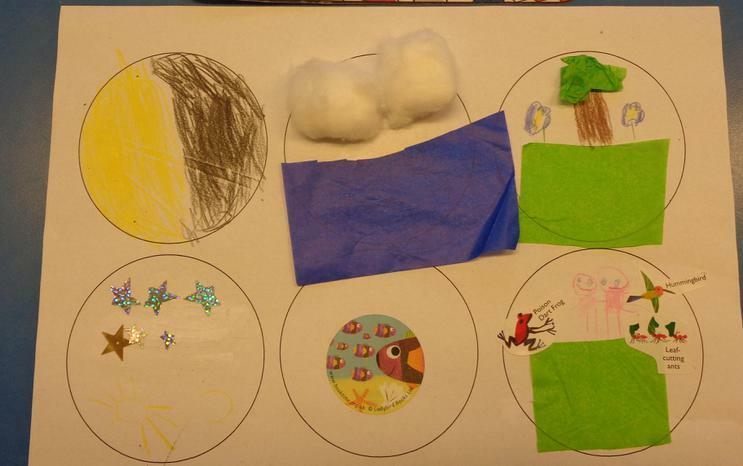 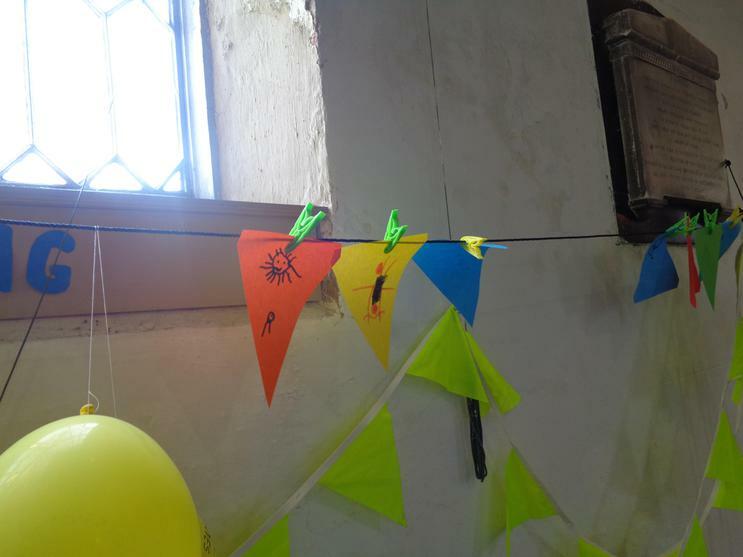 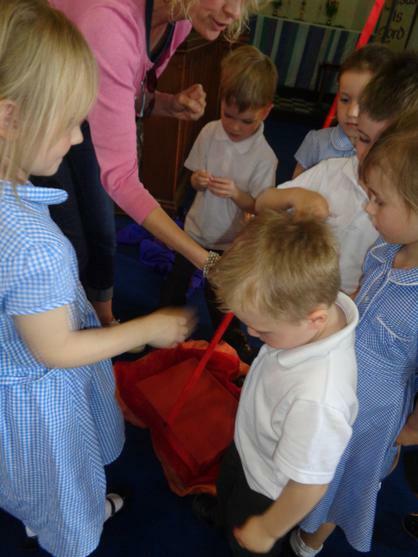 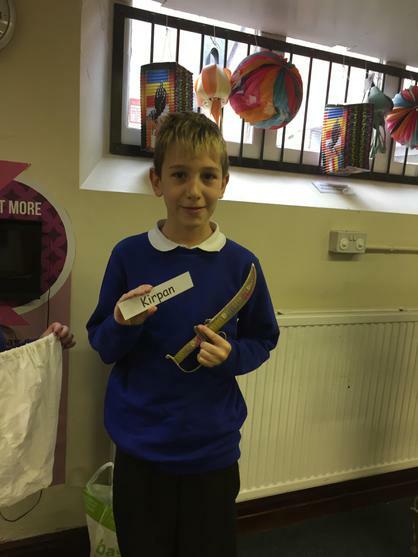 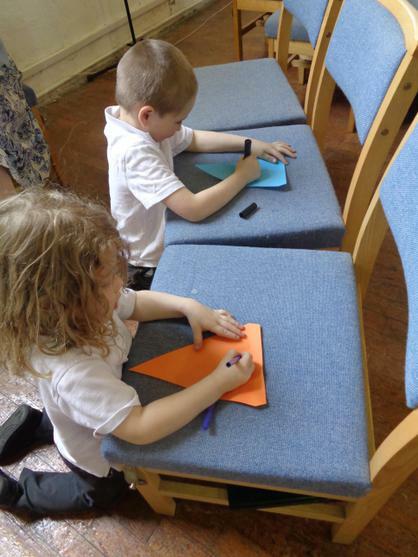 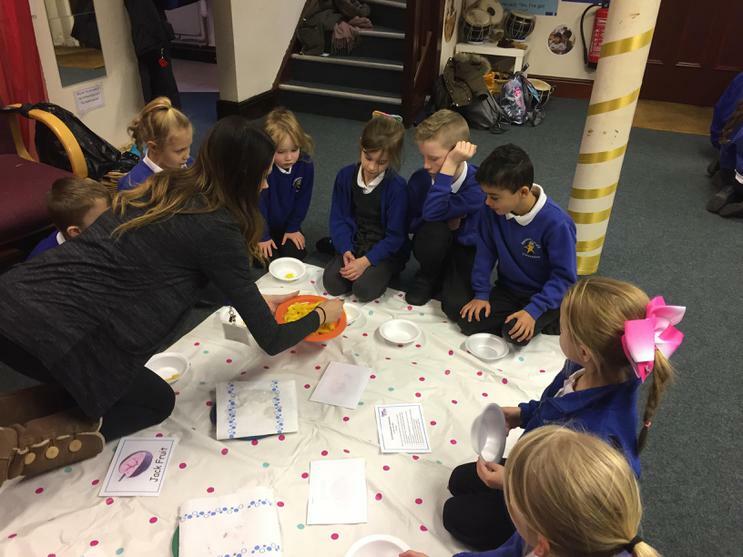 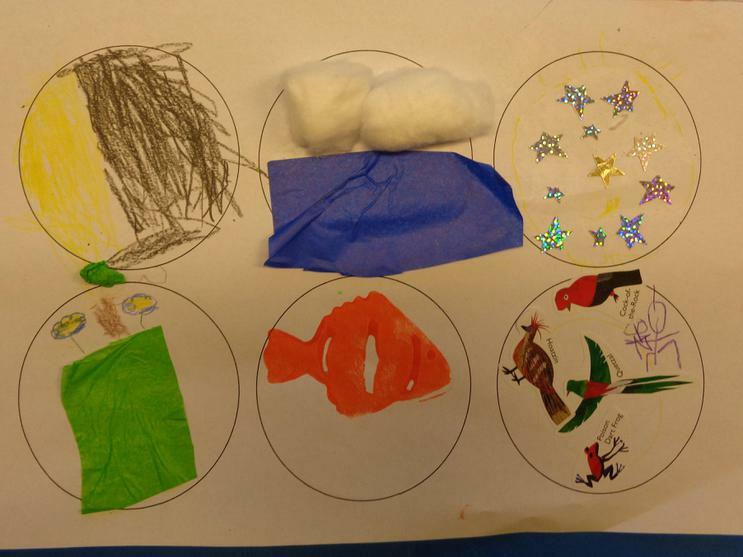 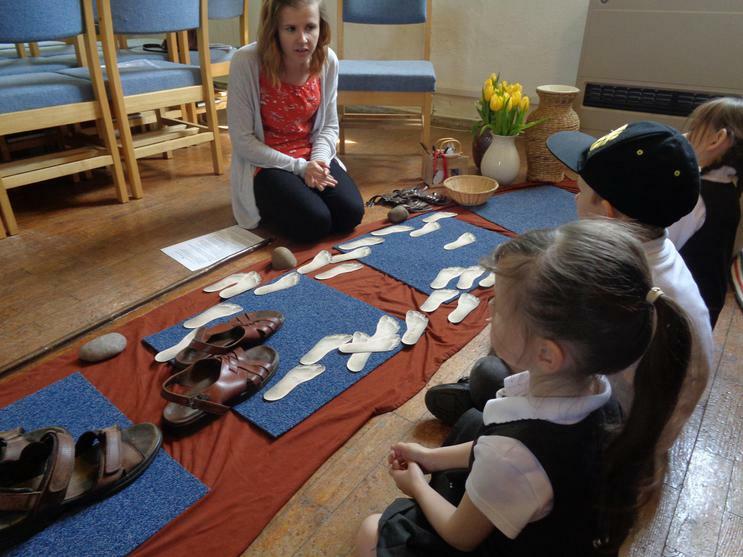 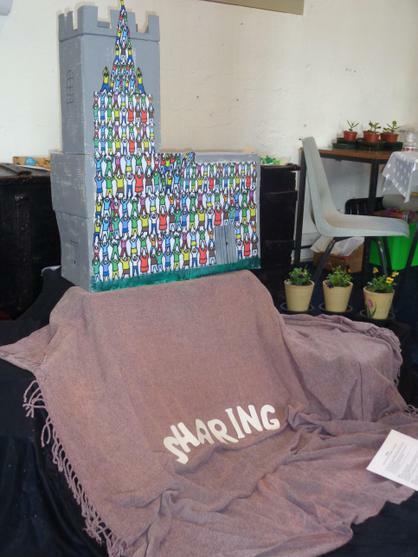 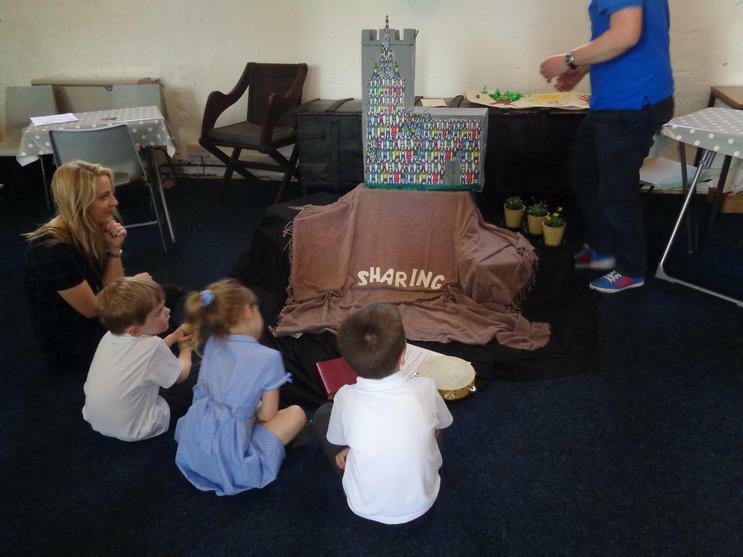 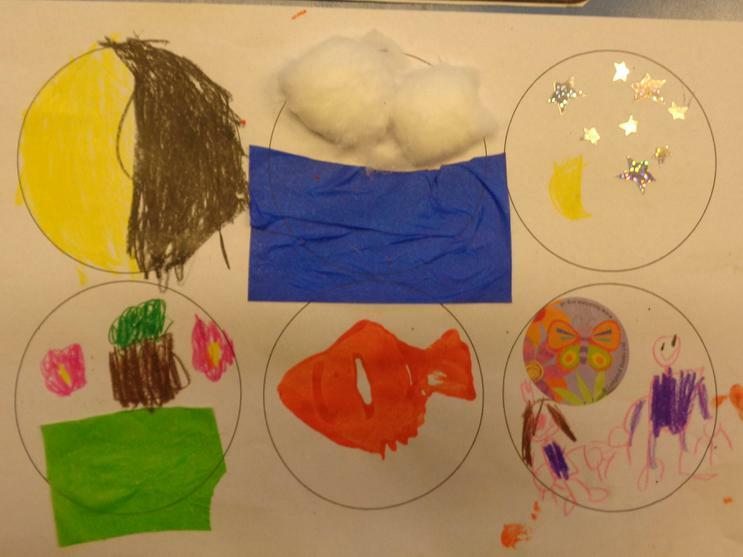 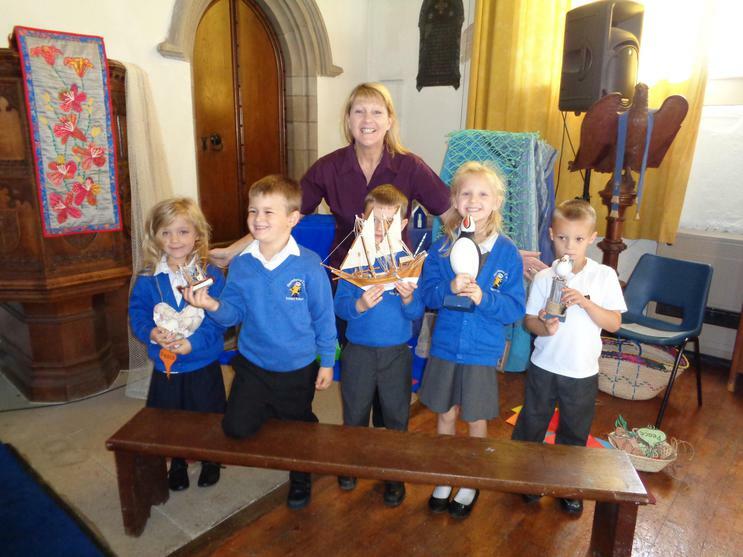 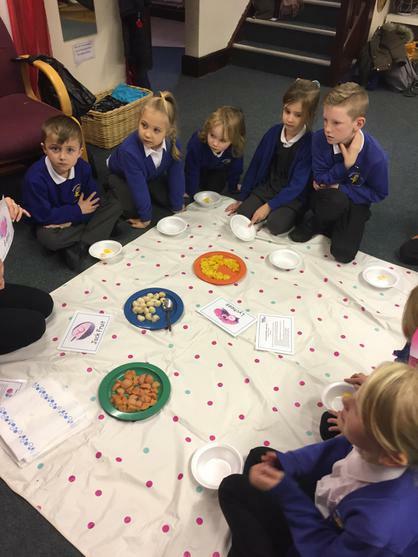 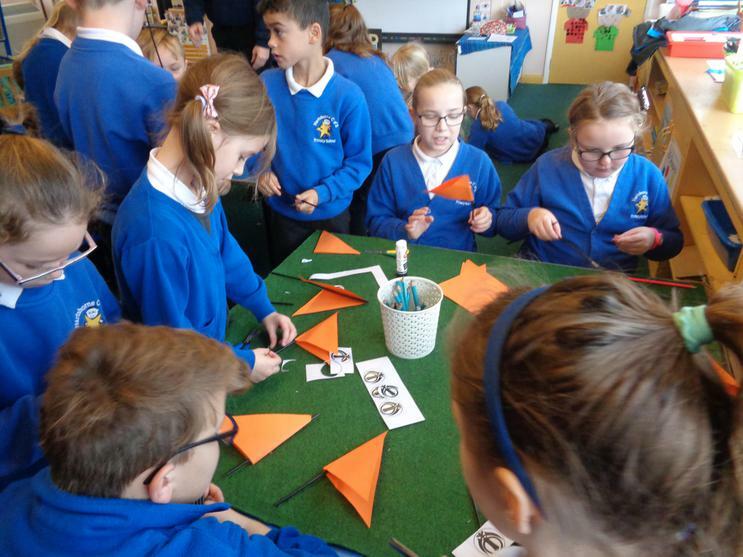 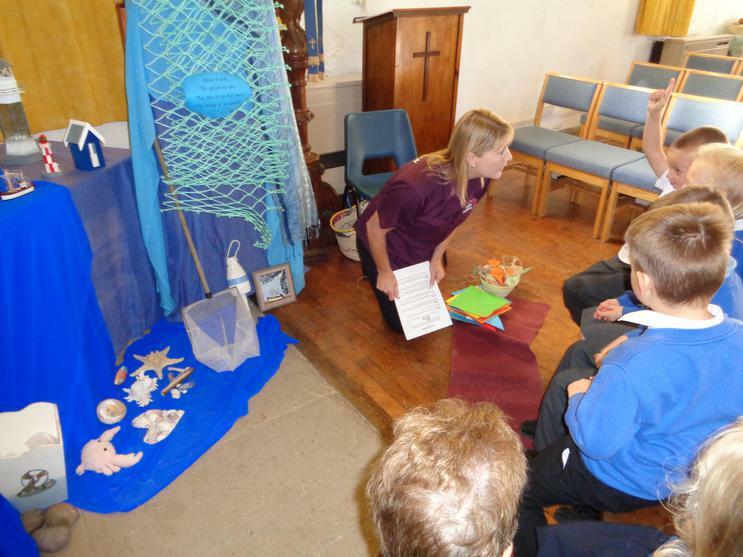 Beech Class - Christian Values Display - Trust Summer 1 - We learnt how the disciples put trust in Jesus through the 'storm on the lake' story and imagined that we were in the boat too. 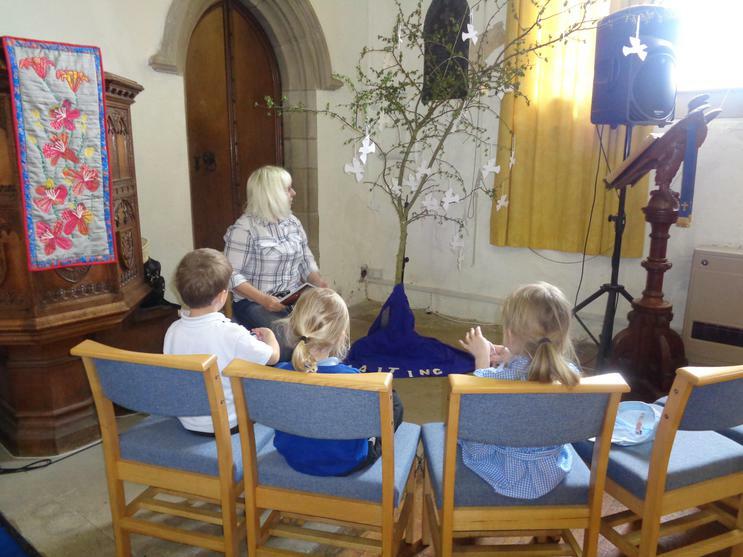 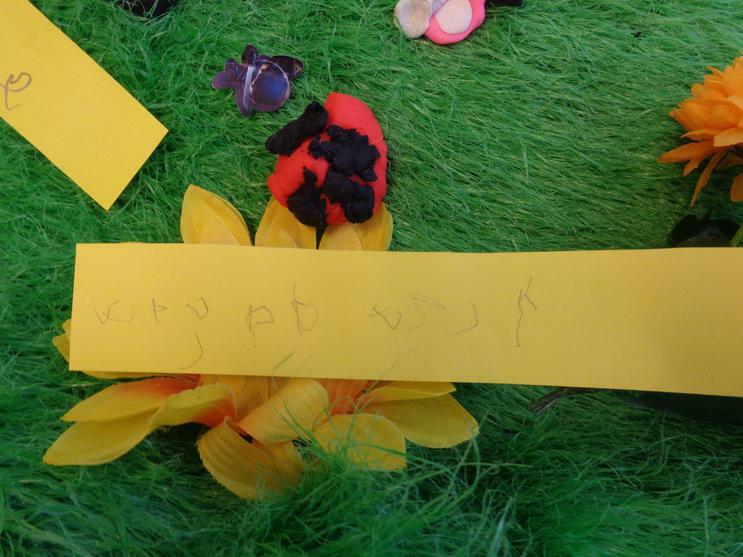 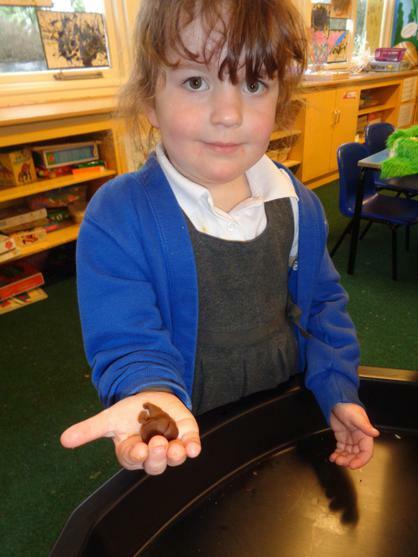 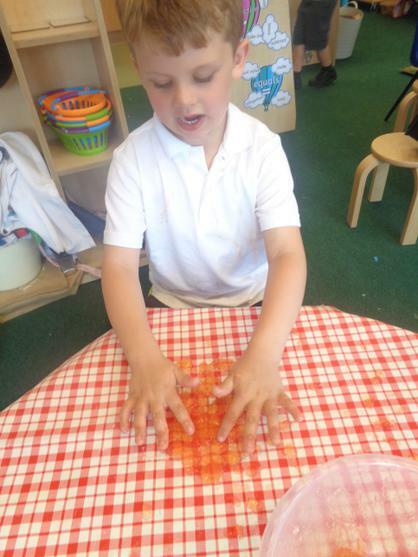 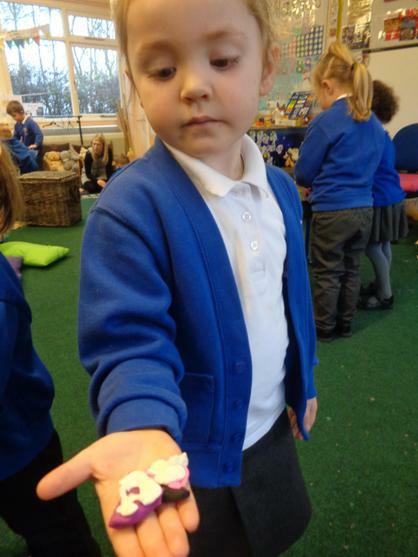 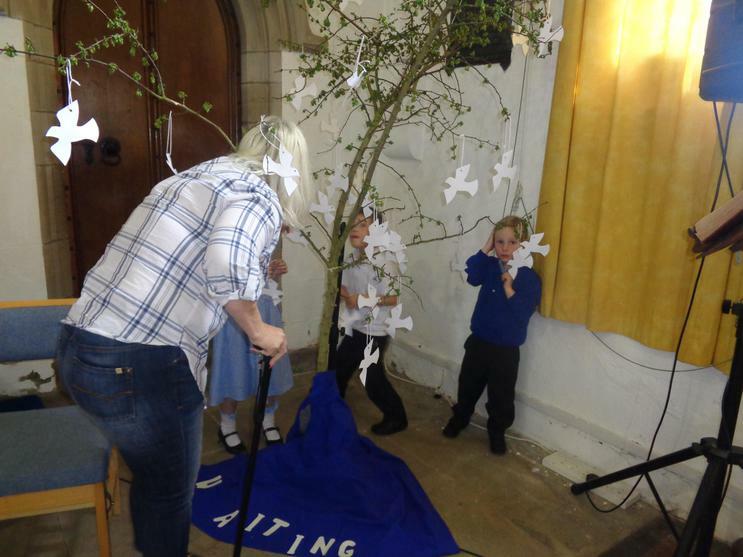 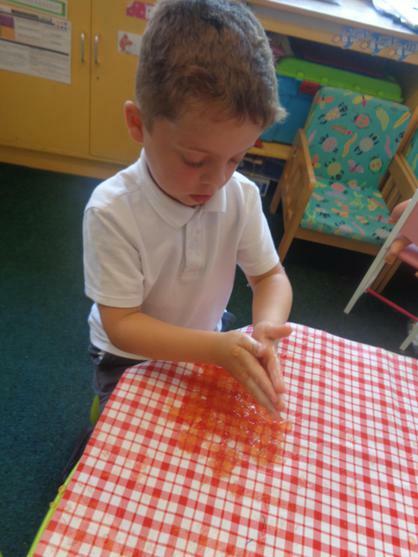 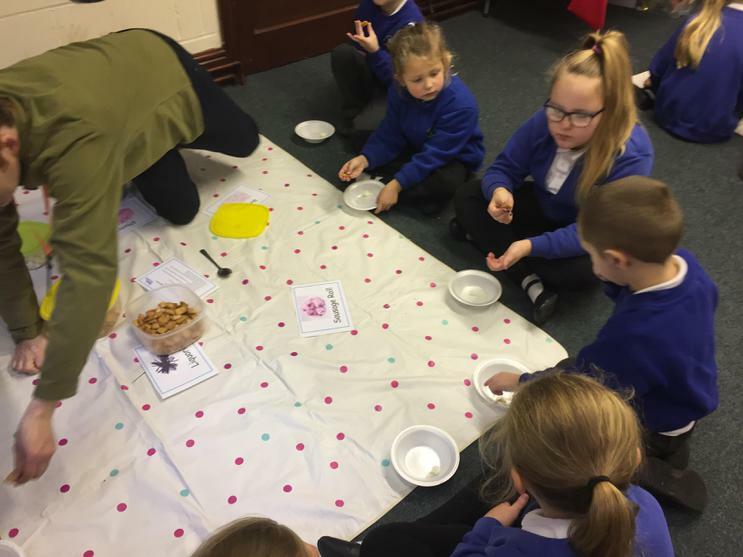 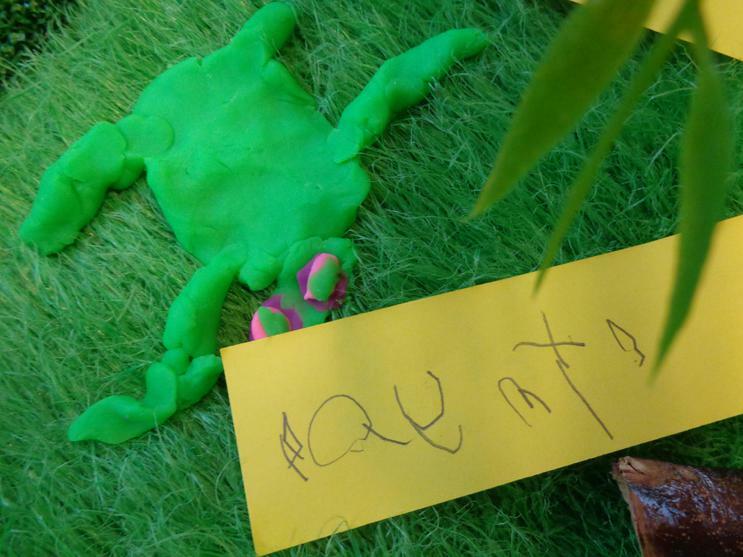 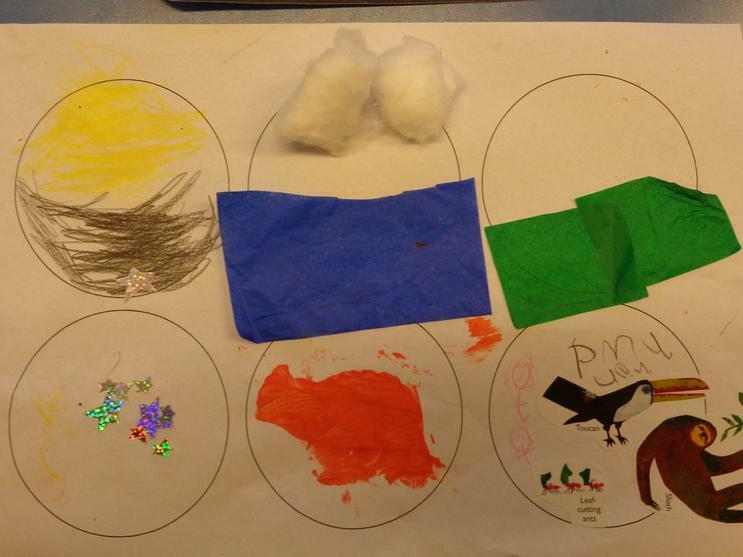 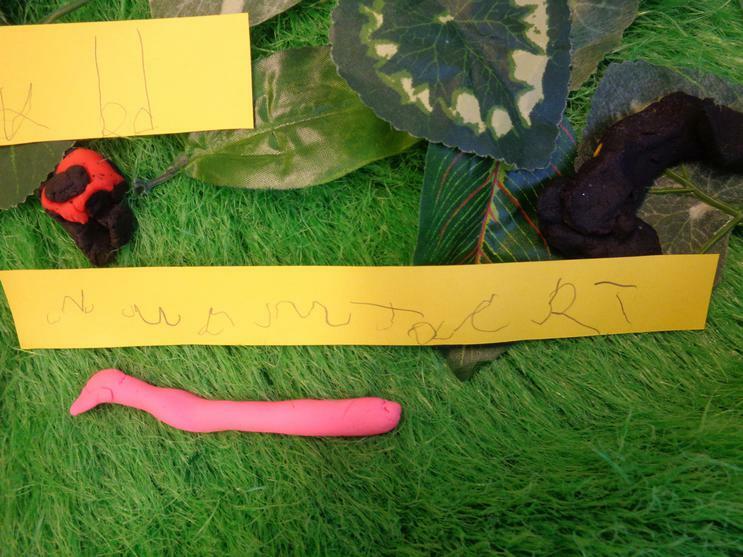 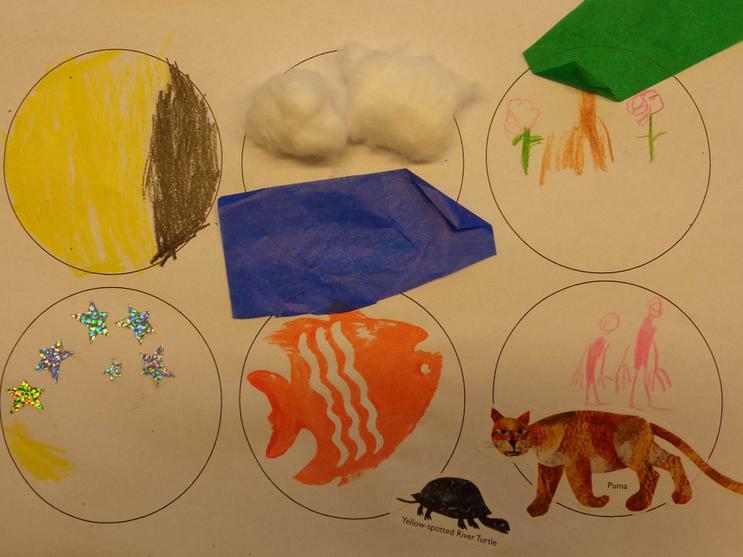 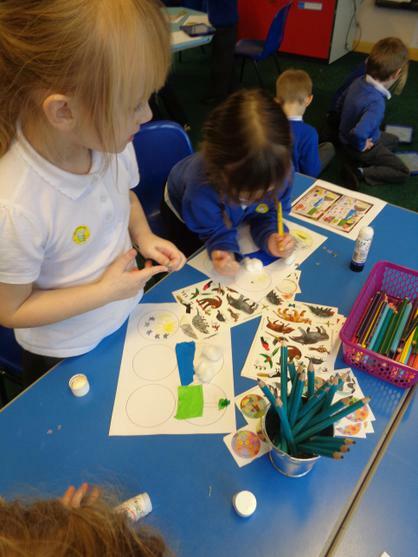 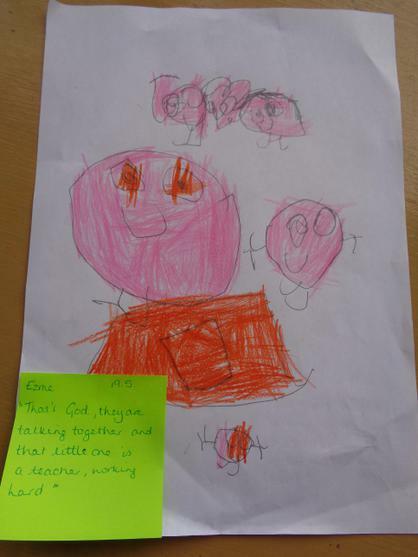 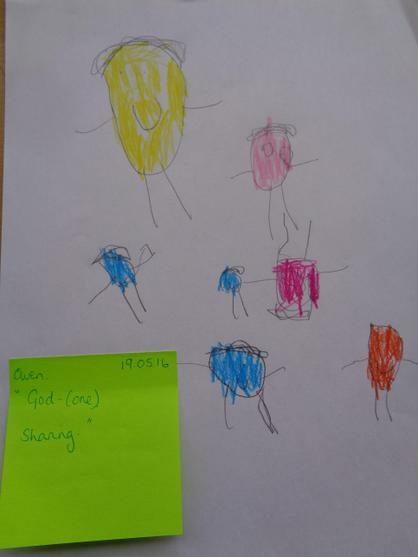 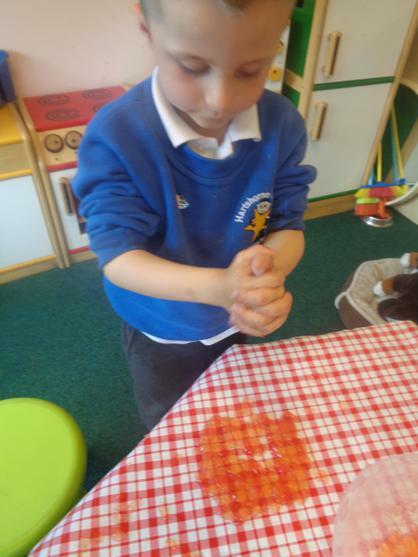 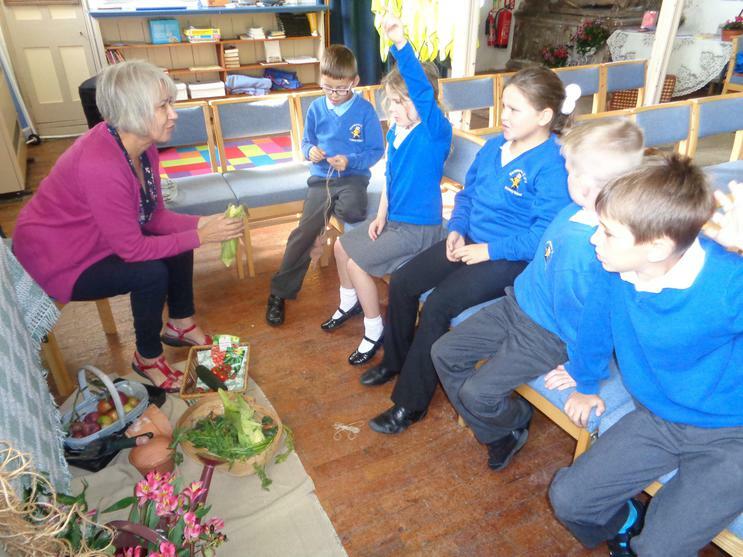 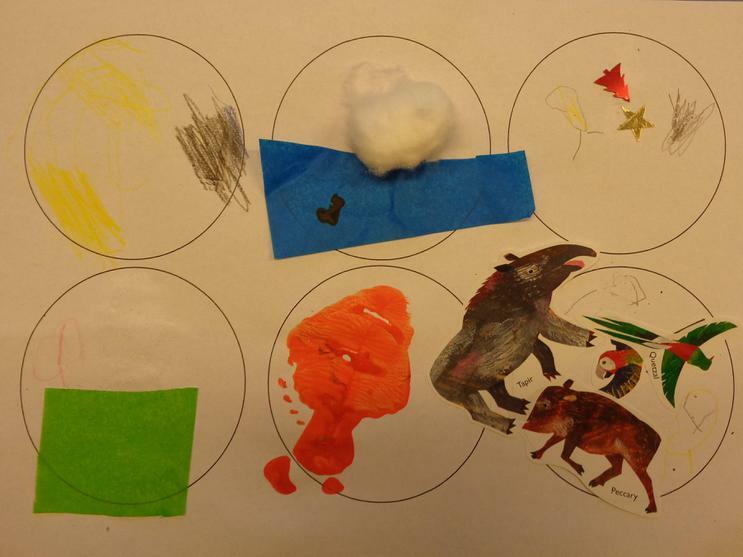 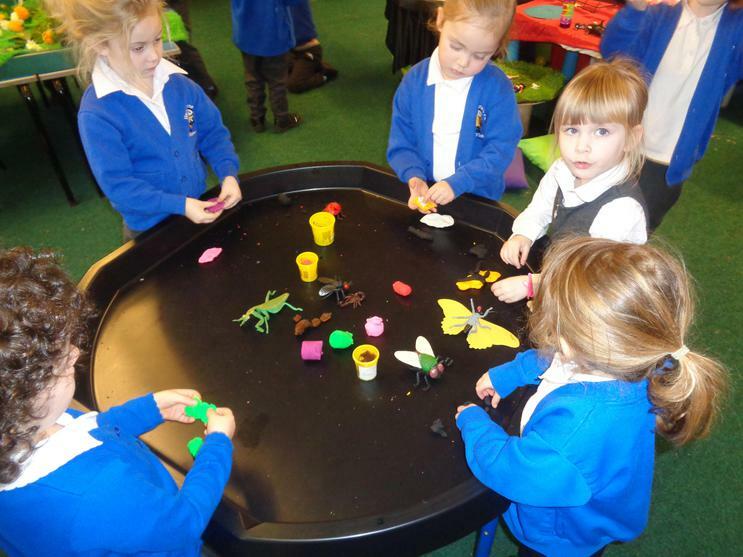 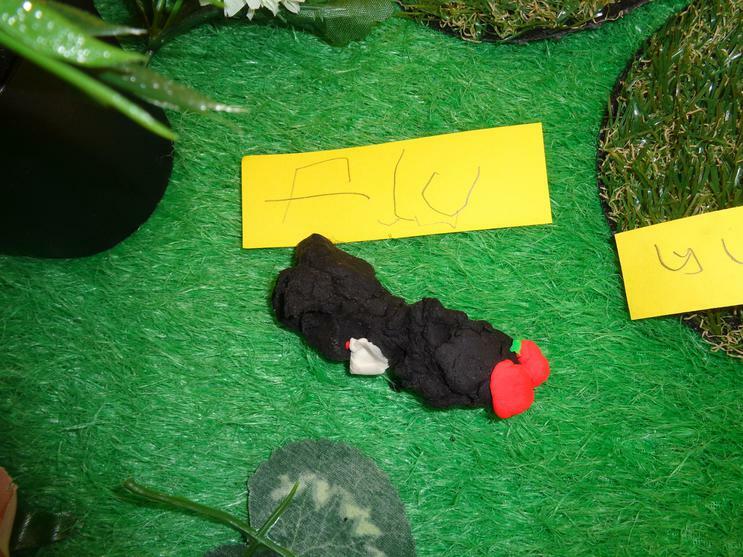 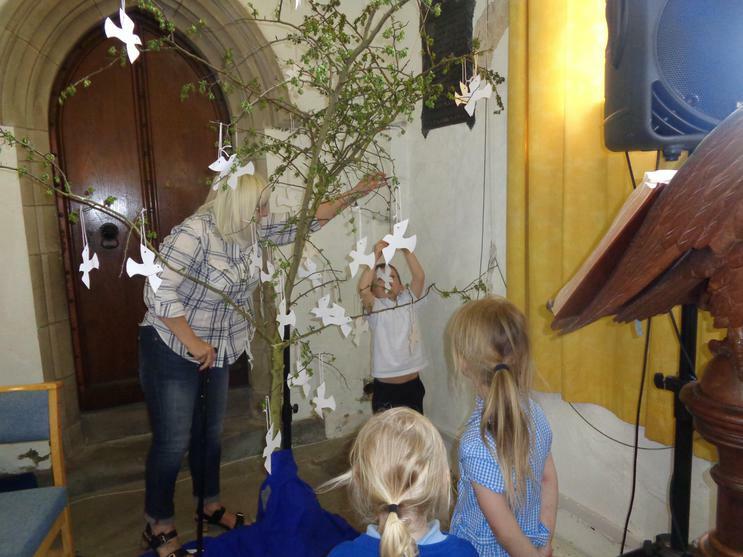 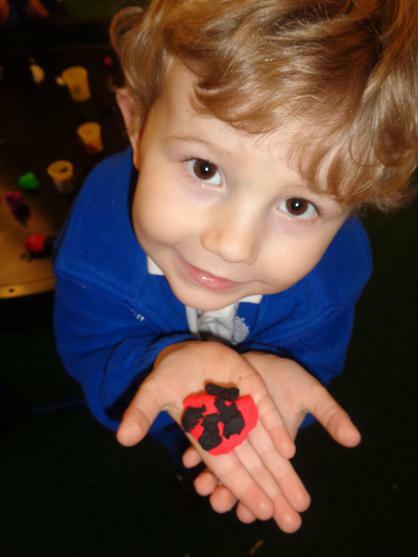 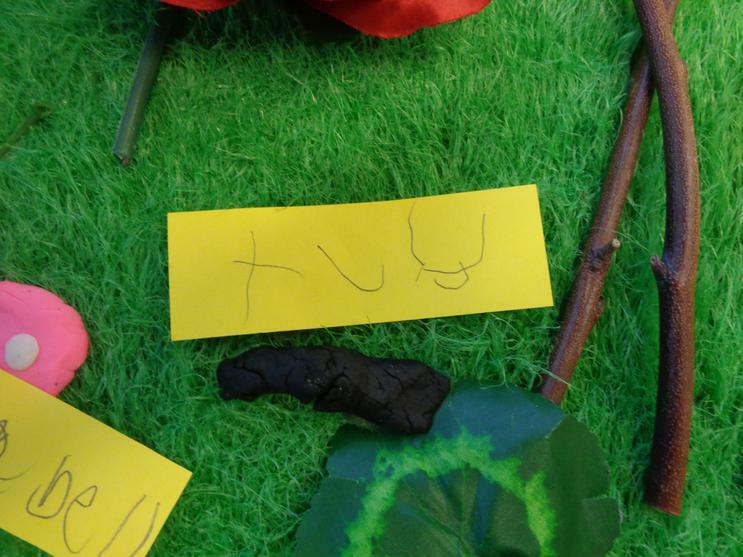 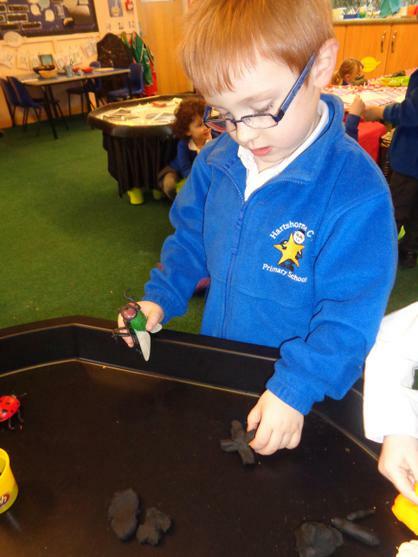 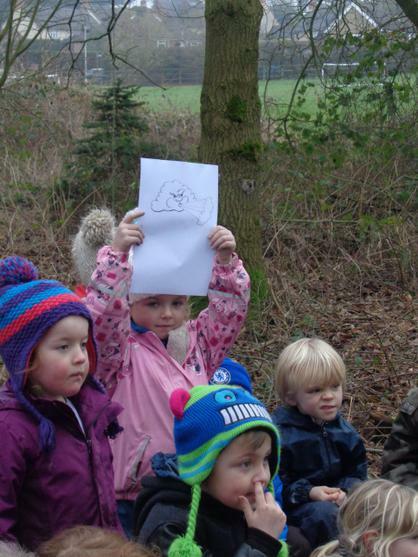 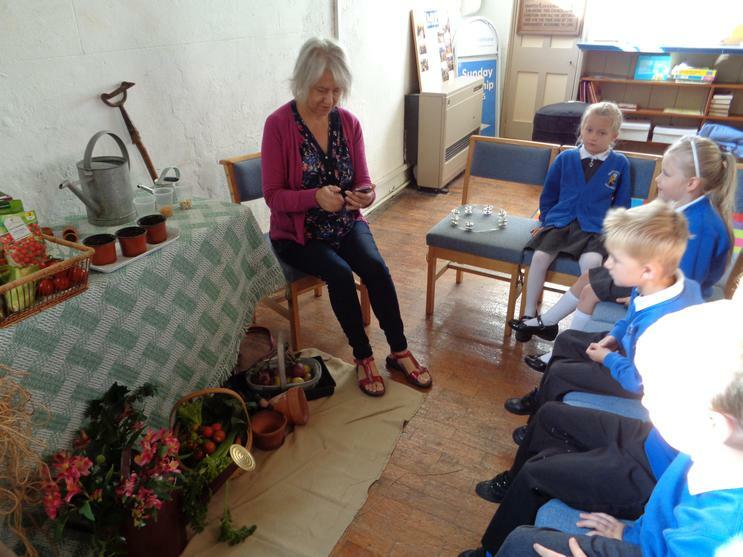 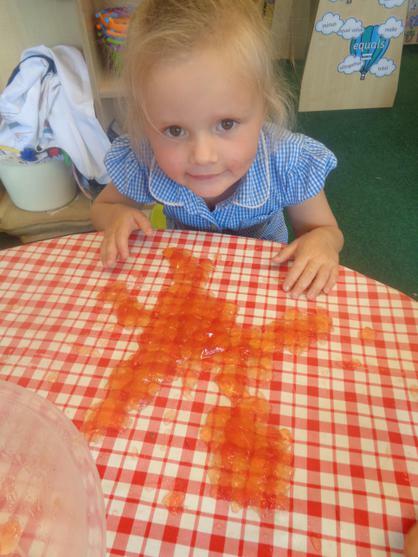 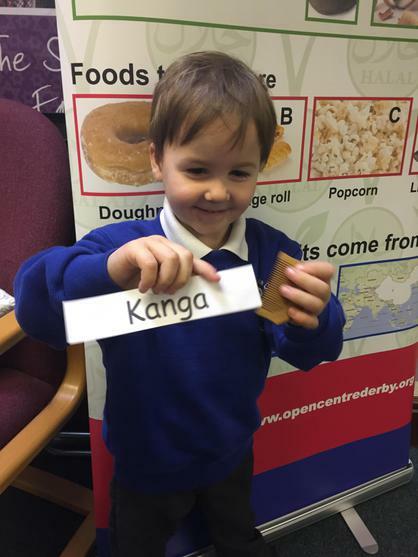 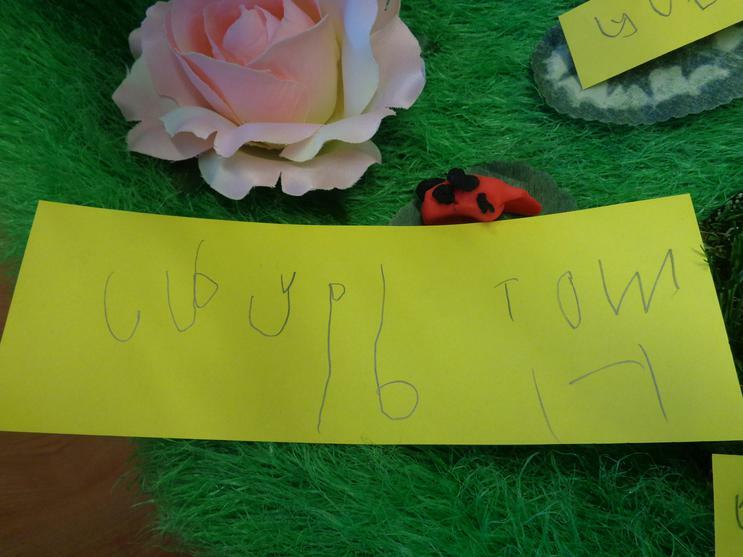 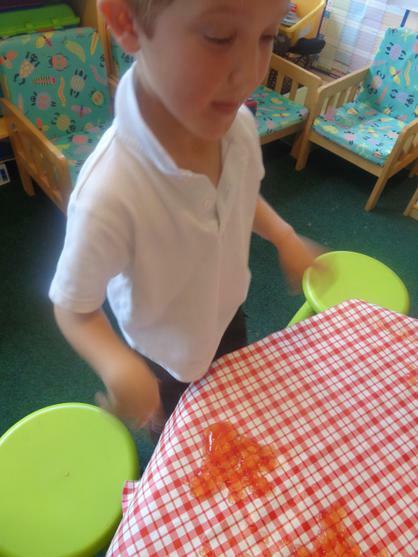 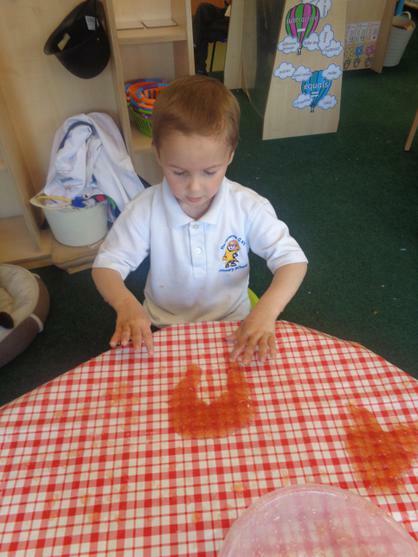 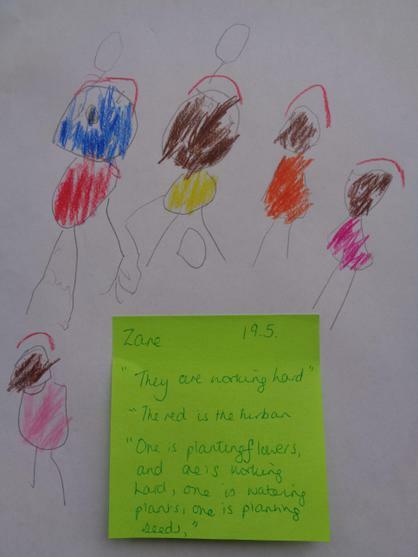 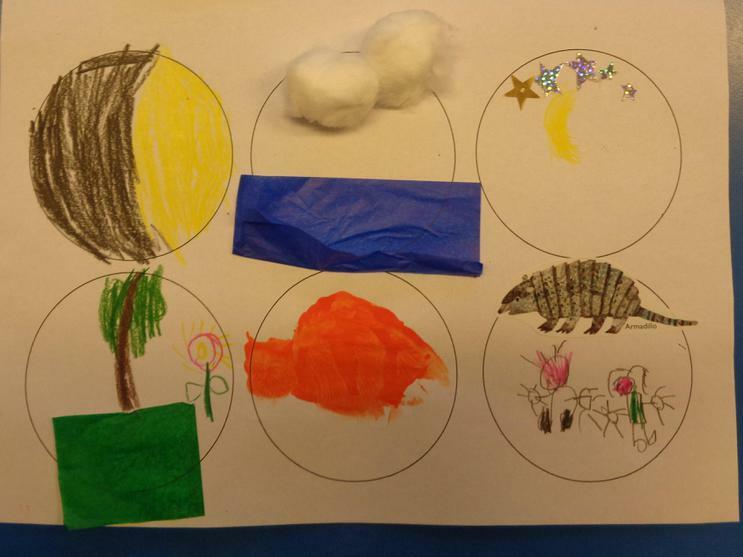 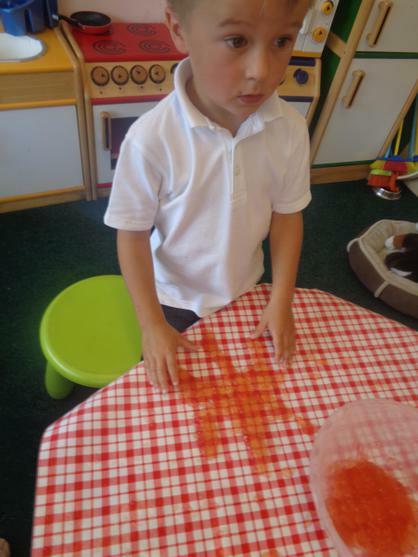 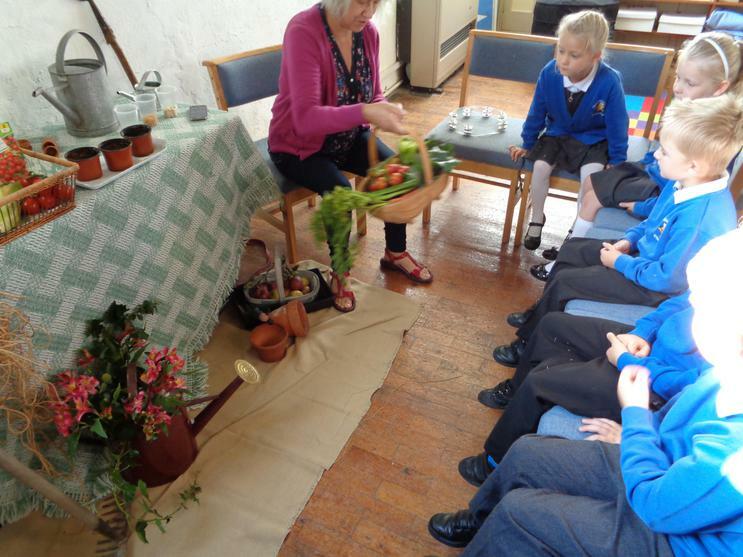 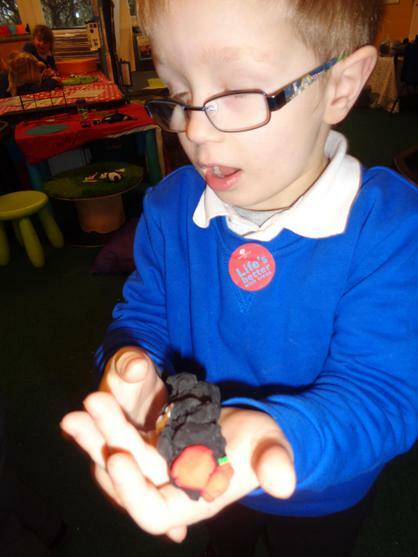 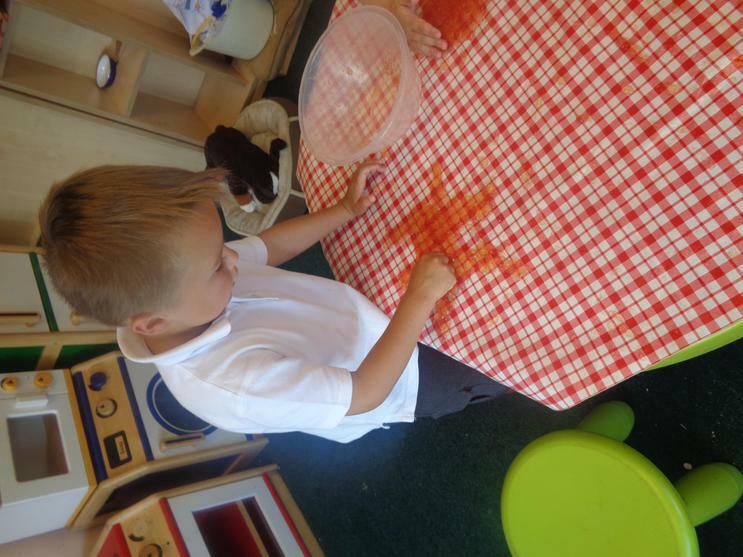 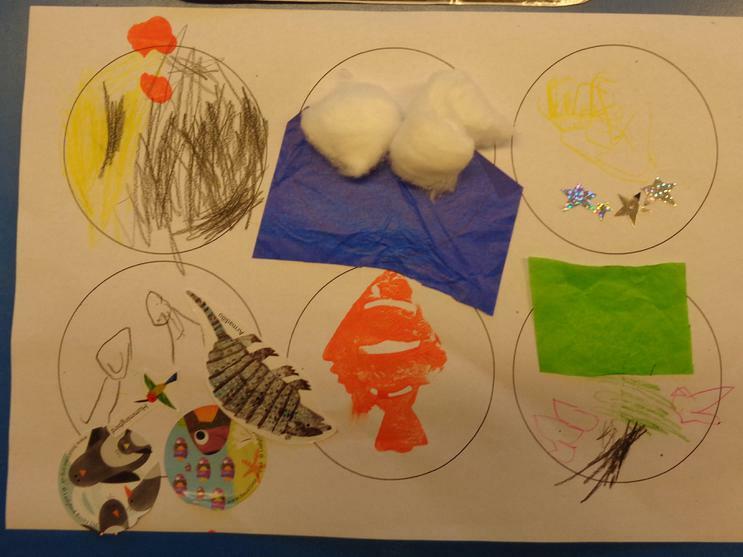 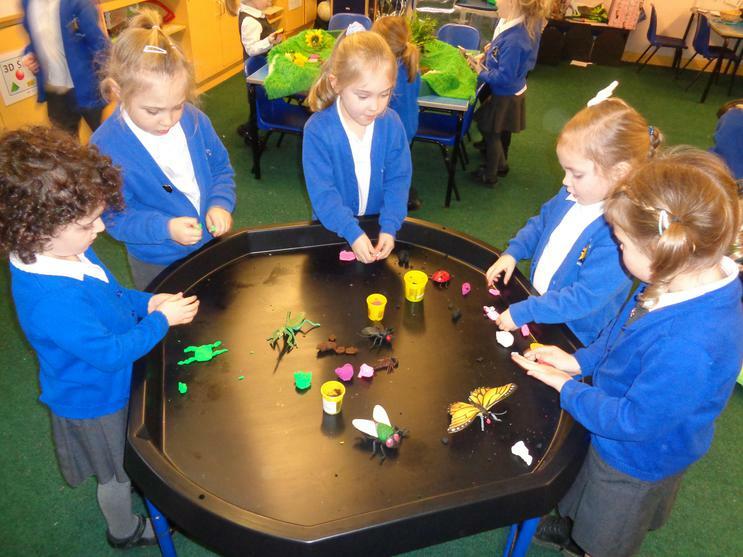 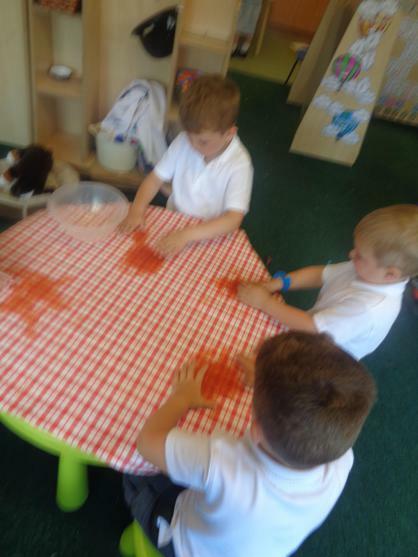 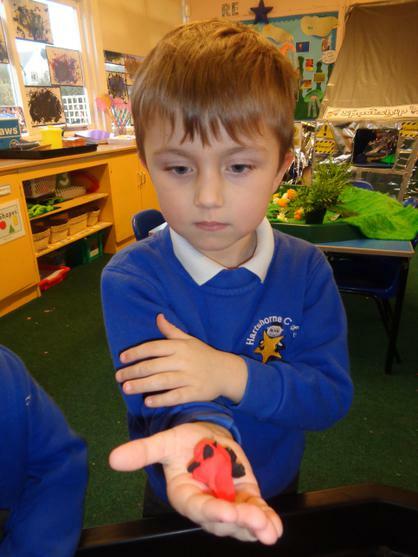 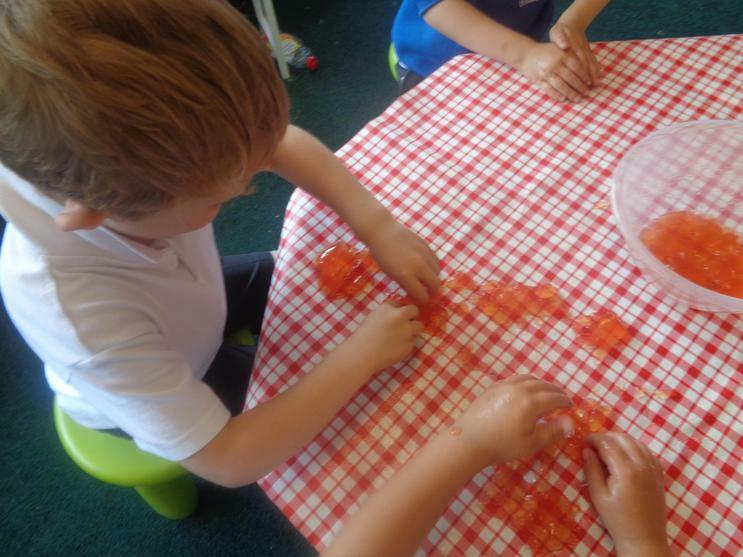 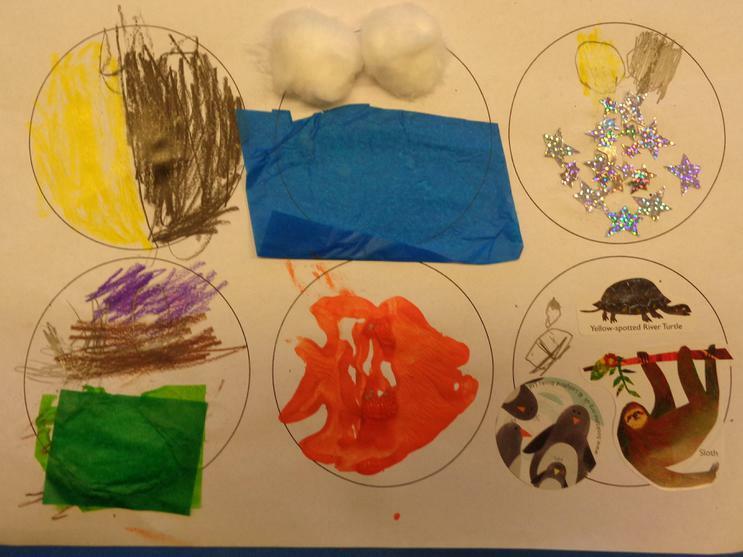 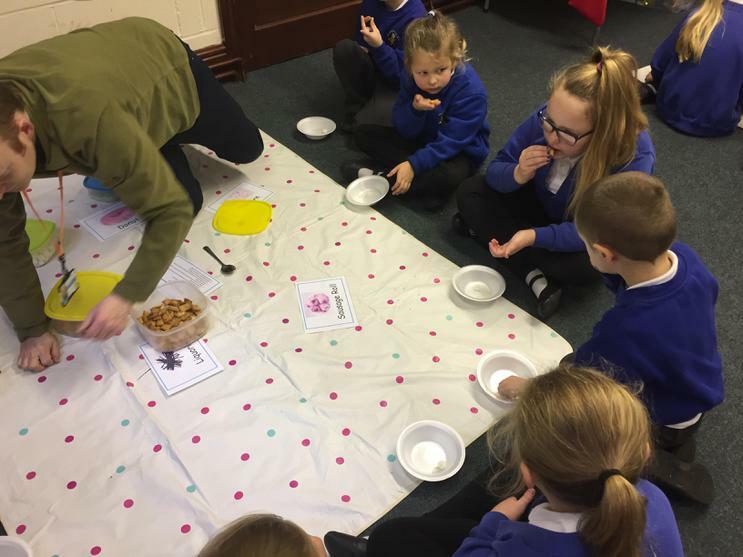 The children discovered about how God had asked Adam to name all the living things he had made, including all the smallest bugs. 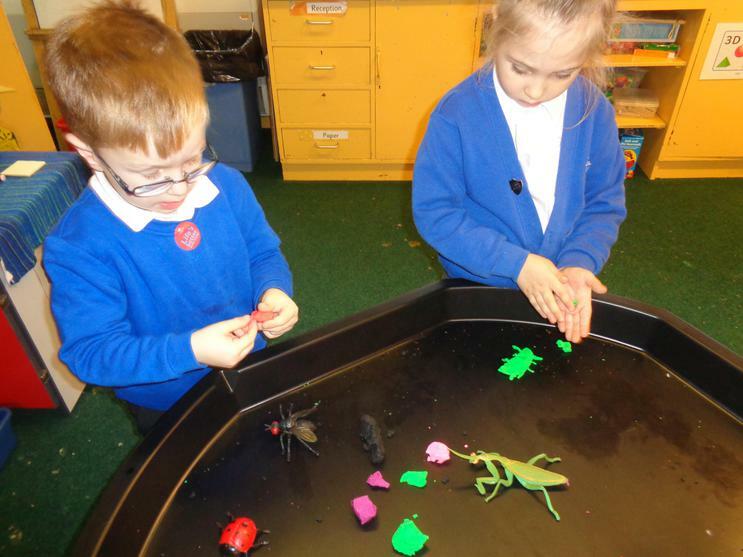 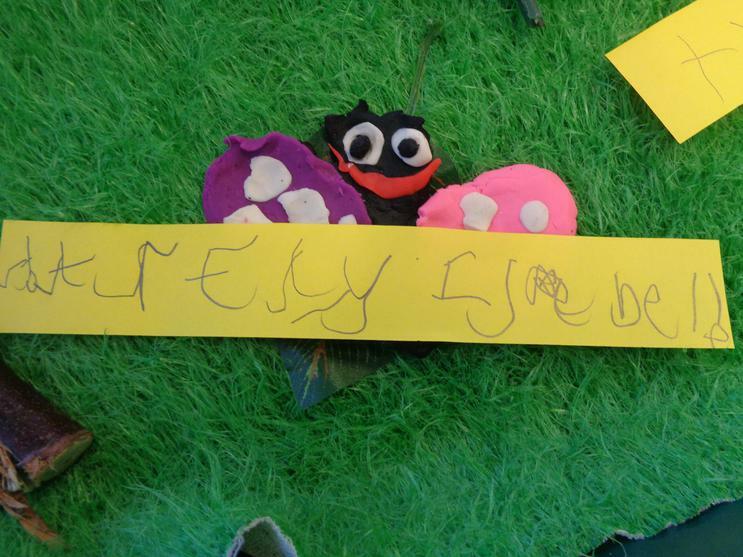 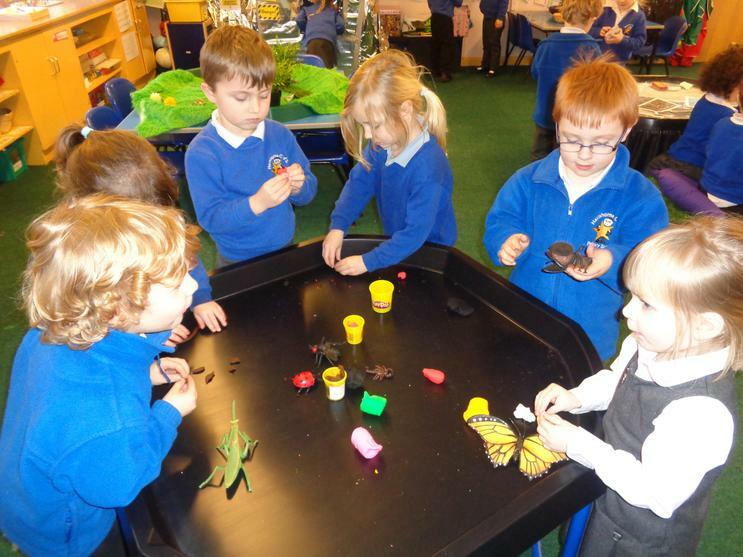 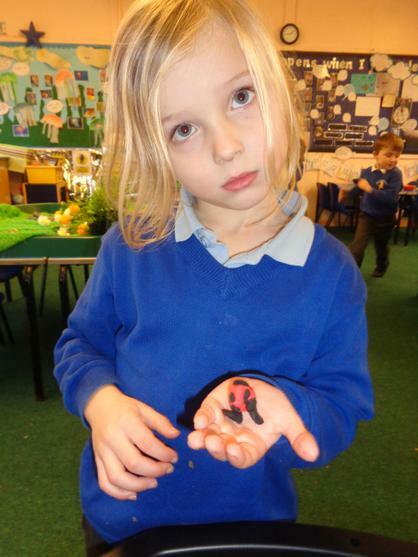 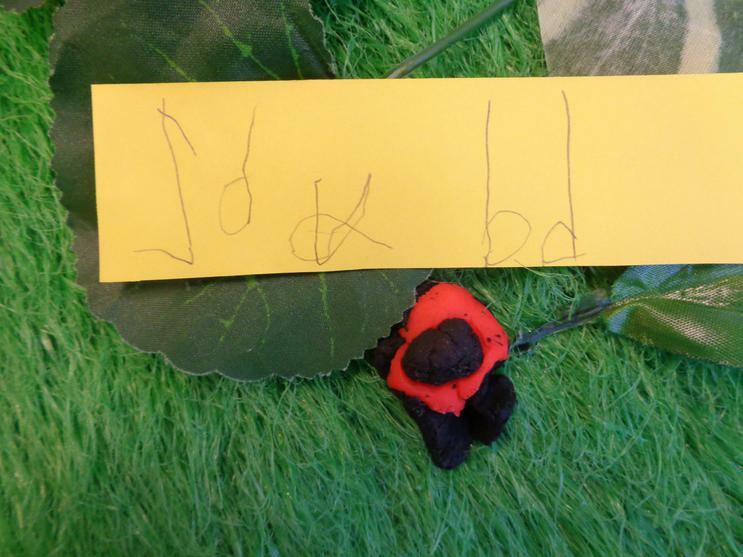 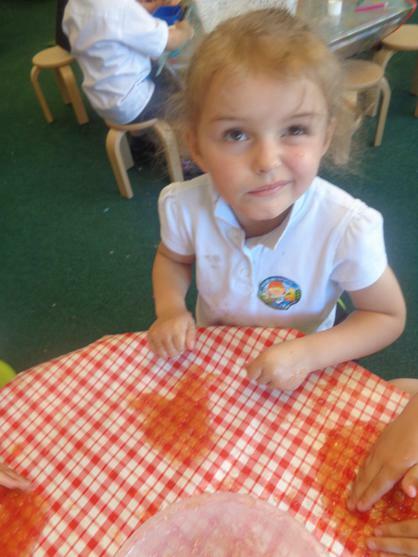 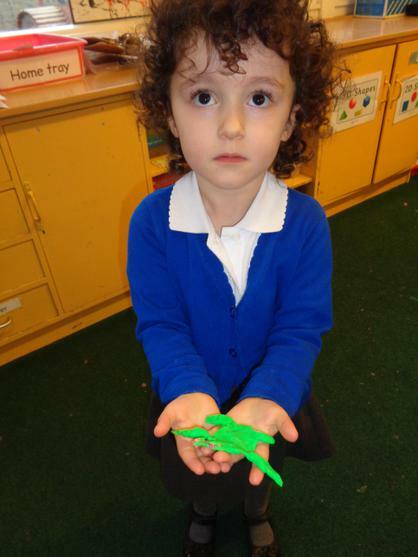 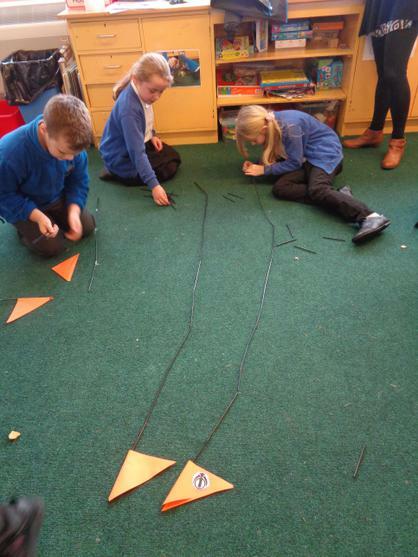 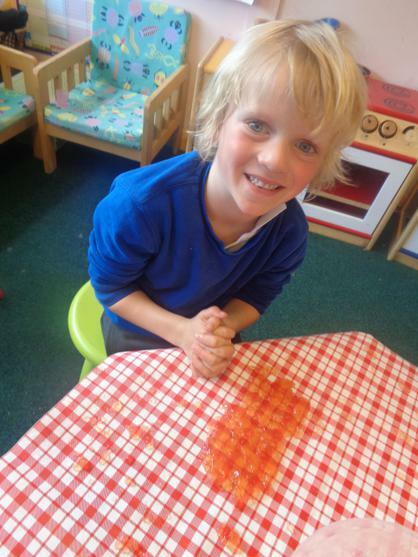 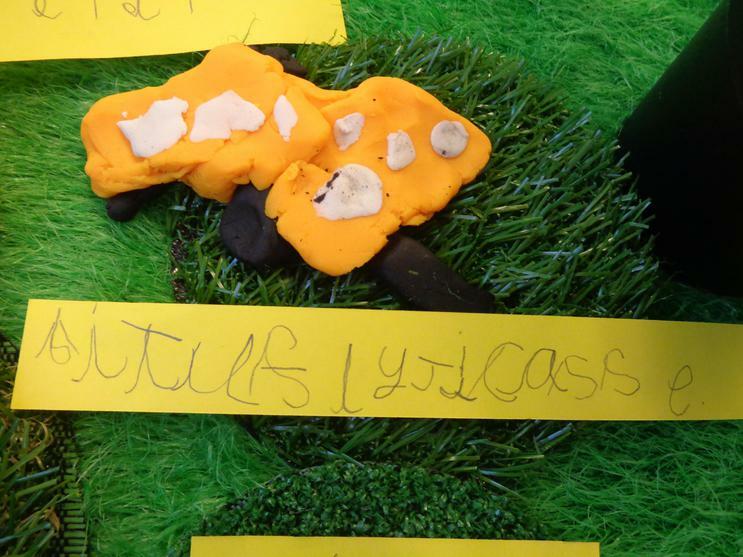 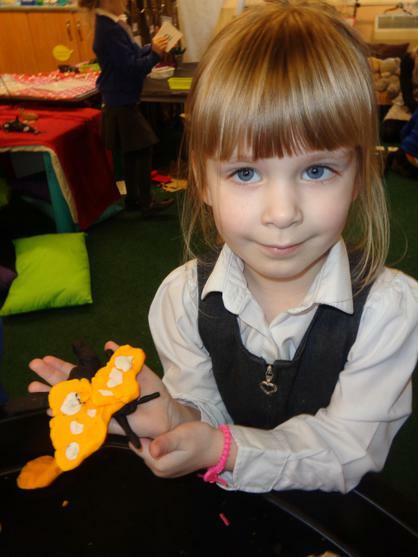 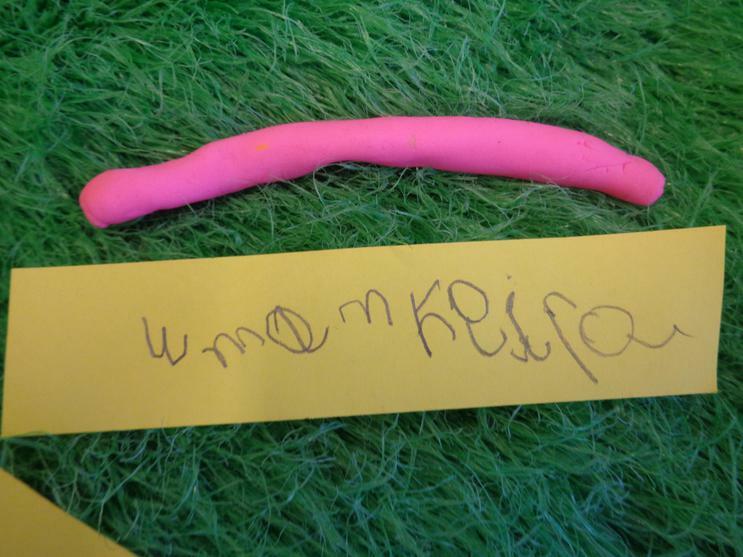 Beech class created their own bugs and insects and then named them just like Adam had done. 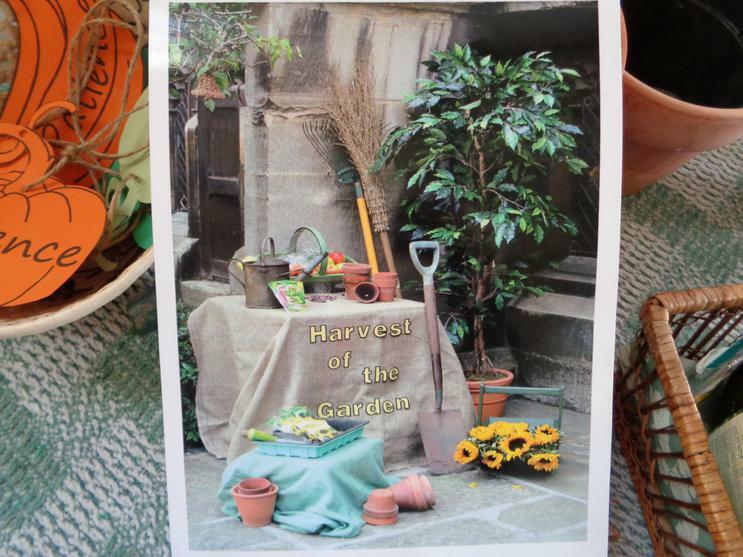 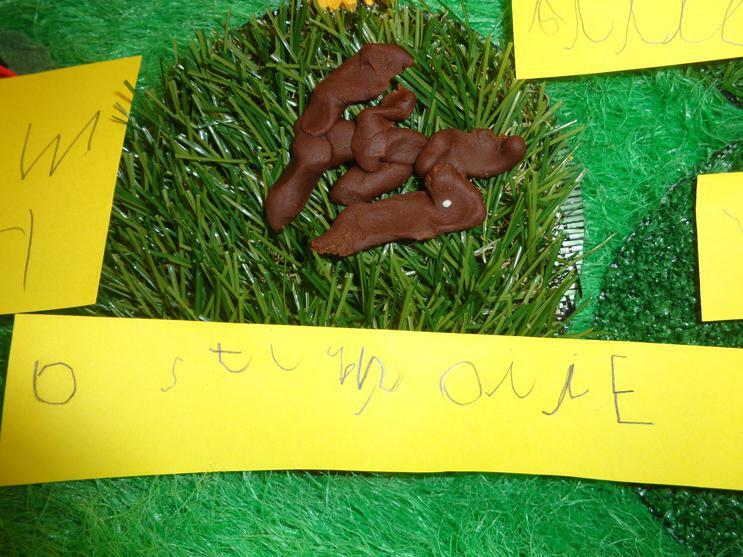 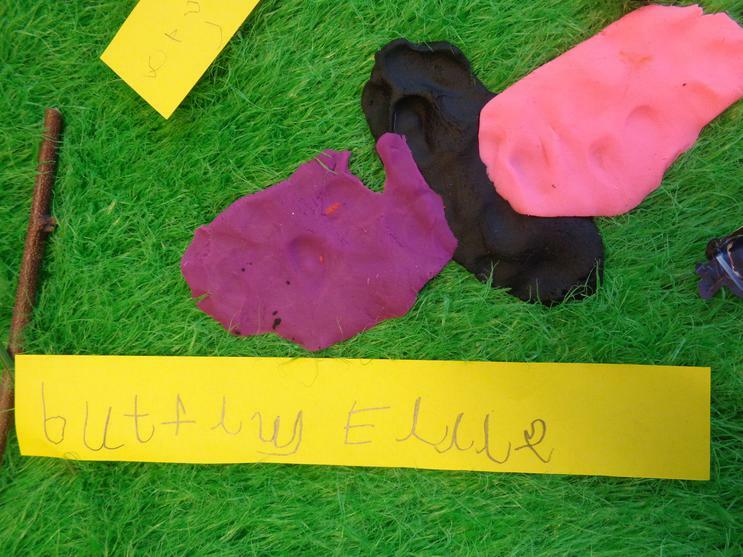 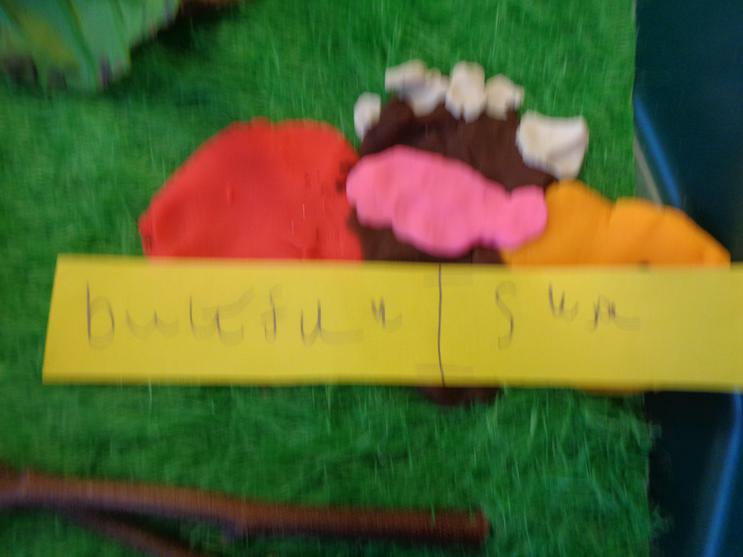 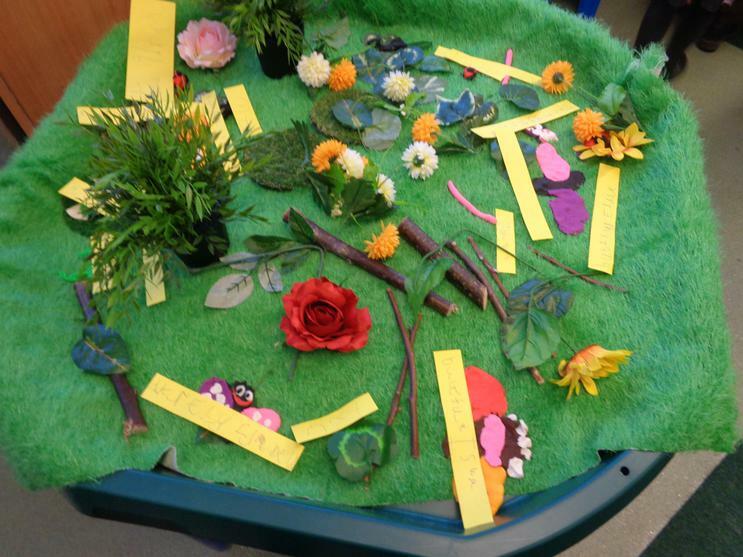 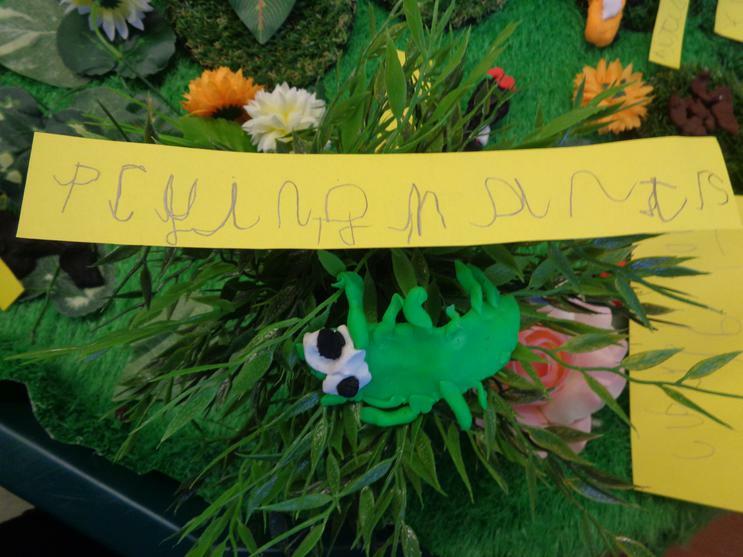 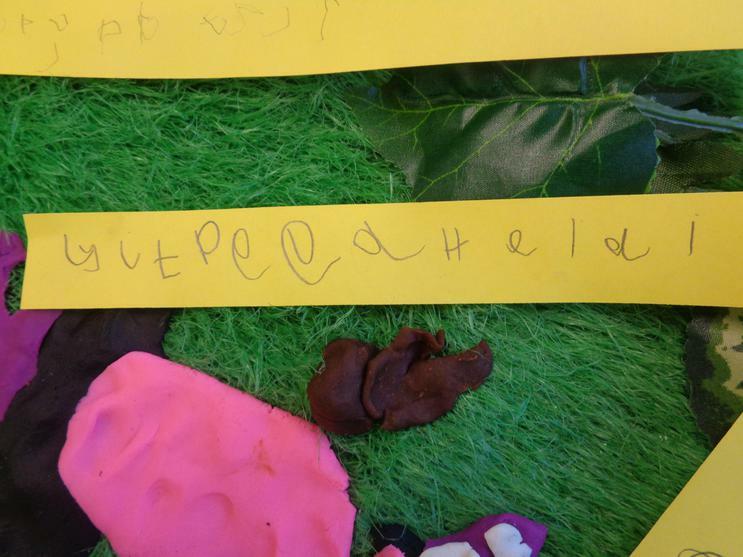 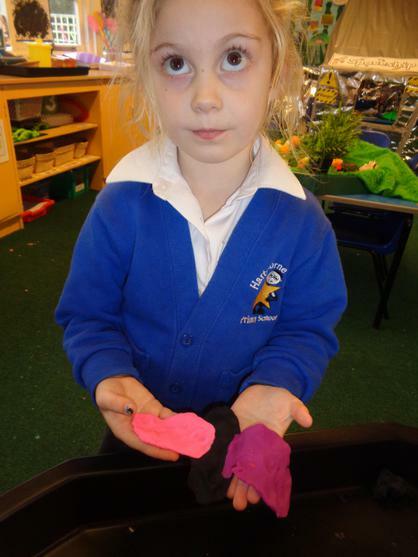 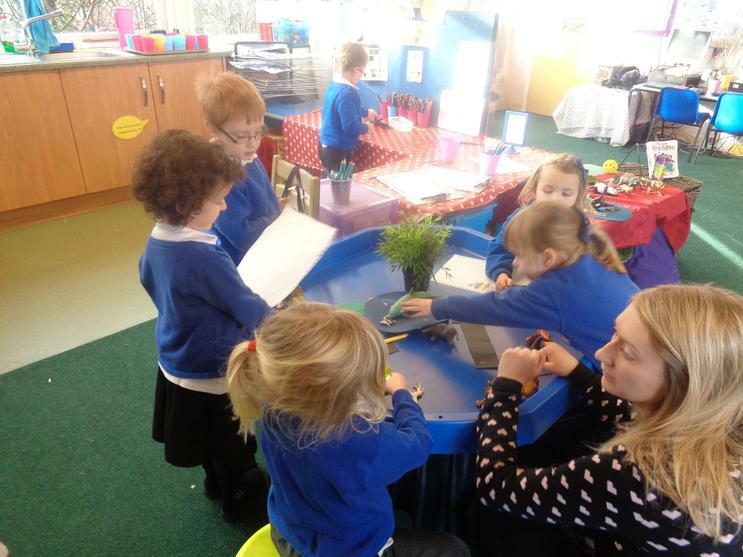 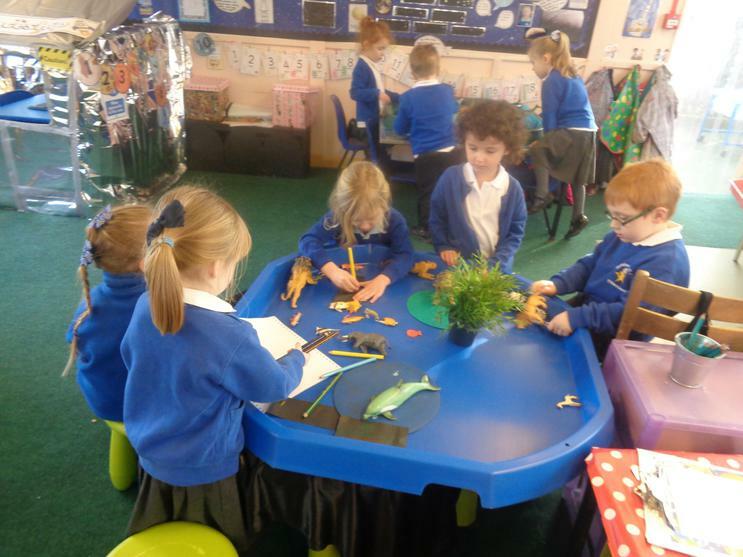 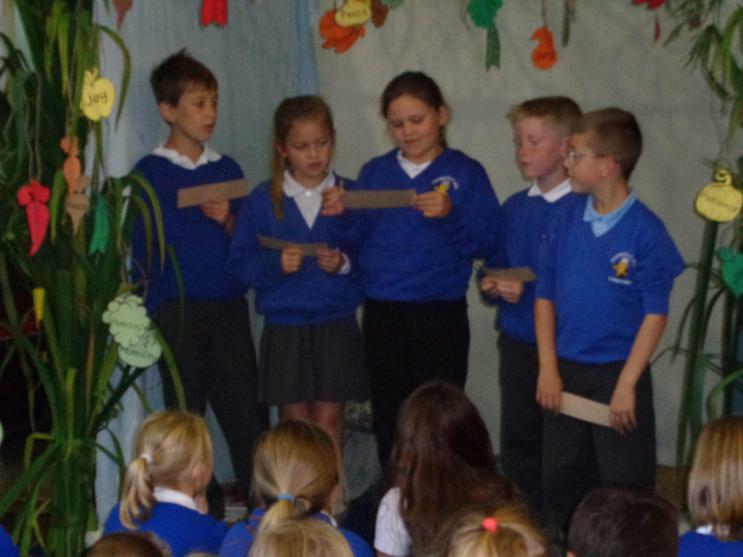 The children worked together to make their own Garden of Eden to put all of their wonderful creations in. 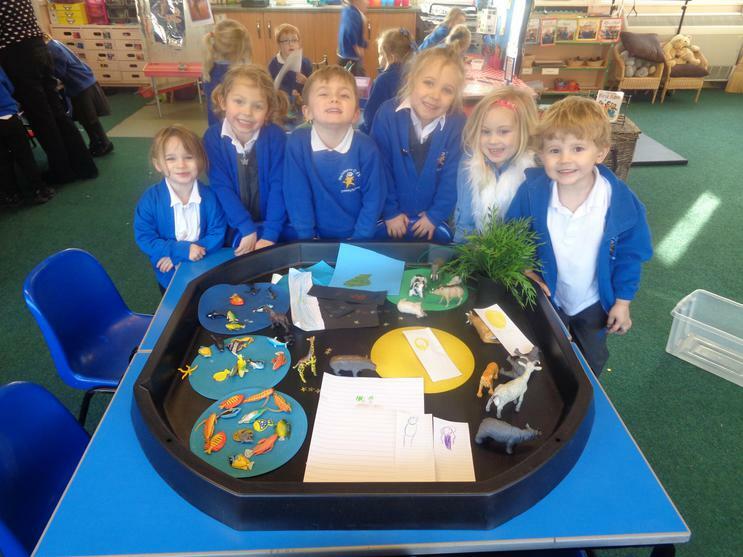 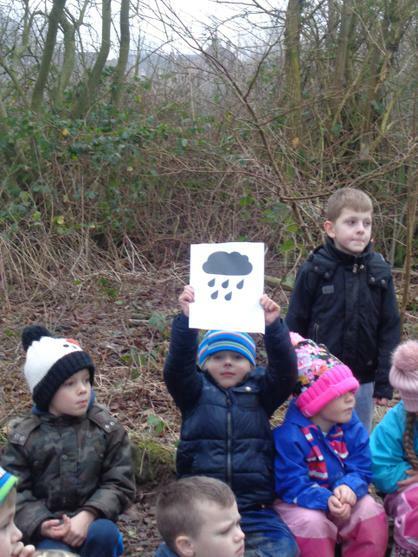 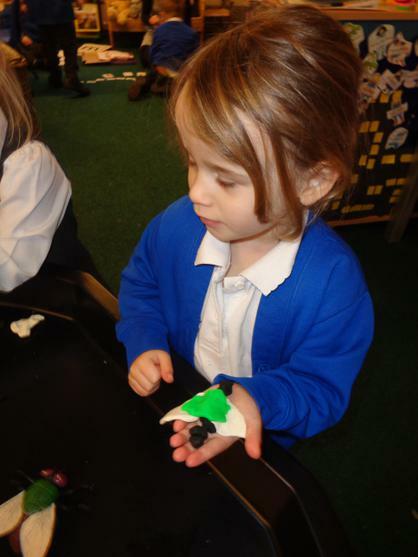 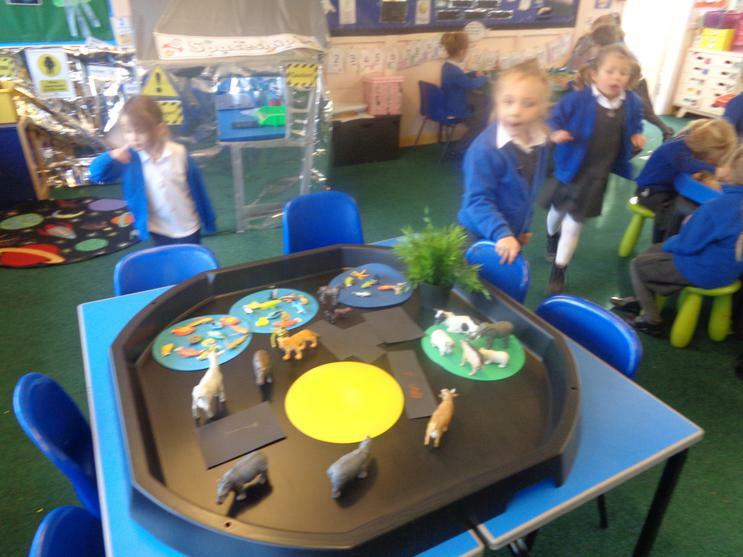 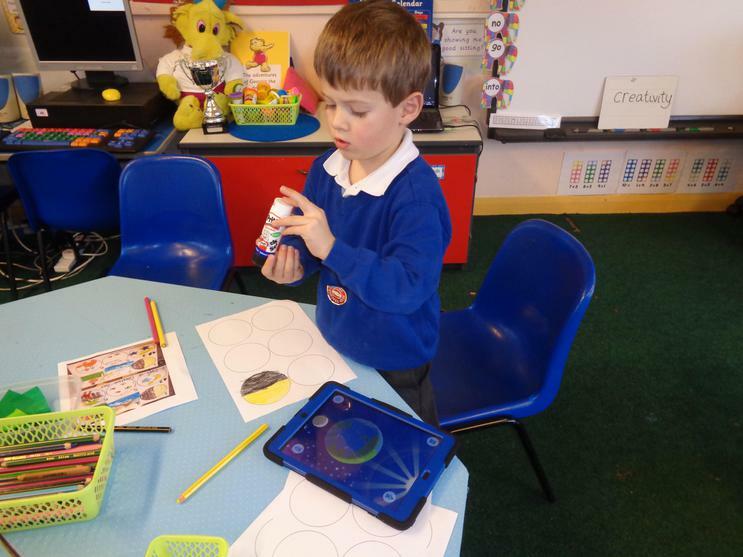 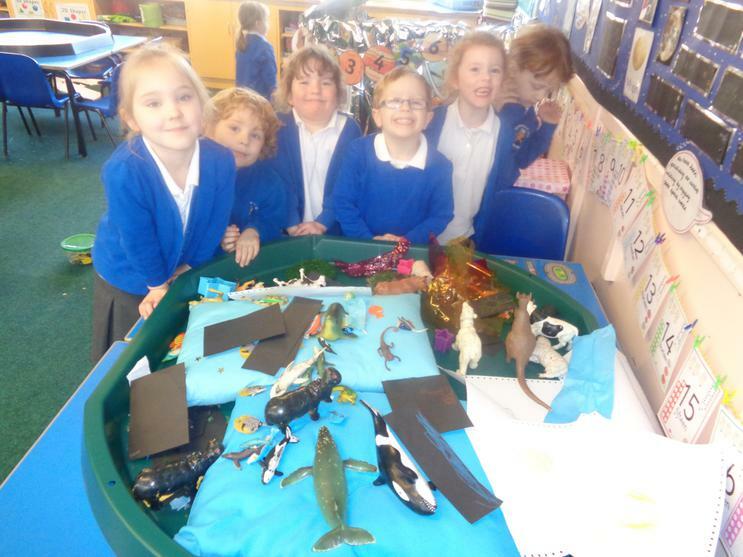 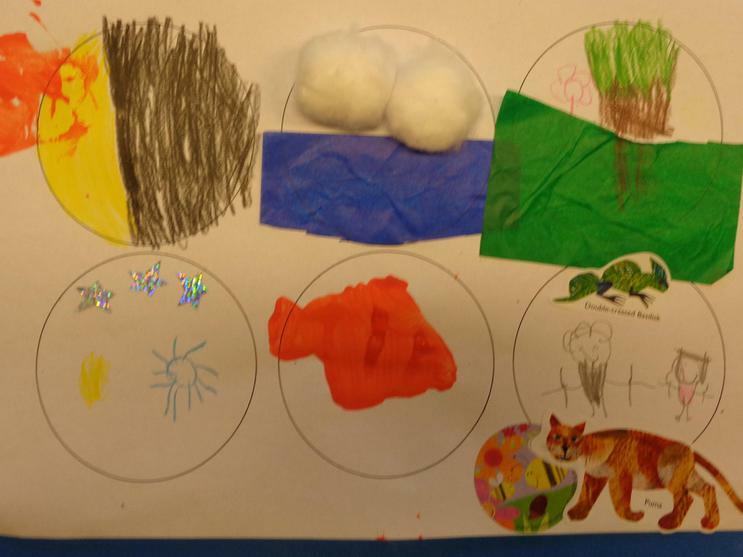 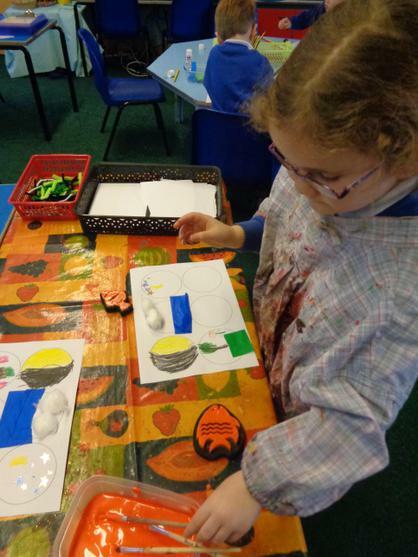 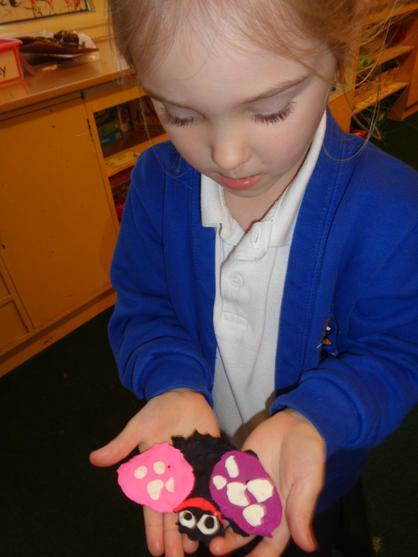 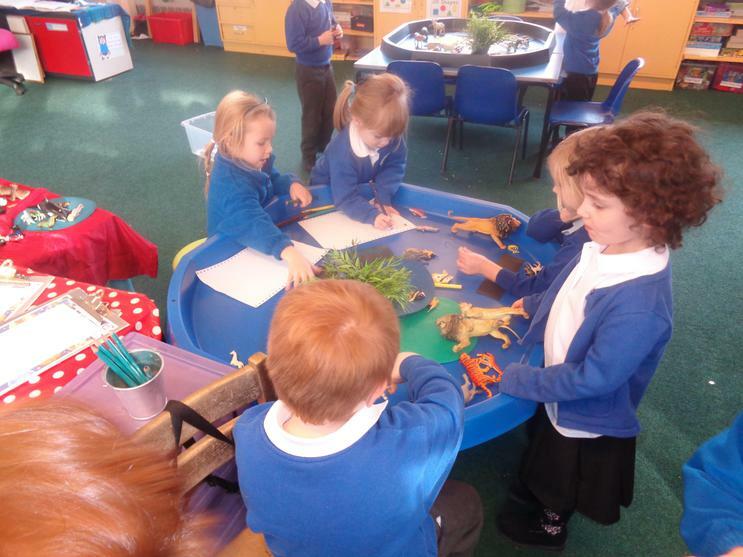 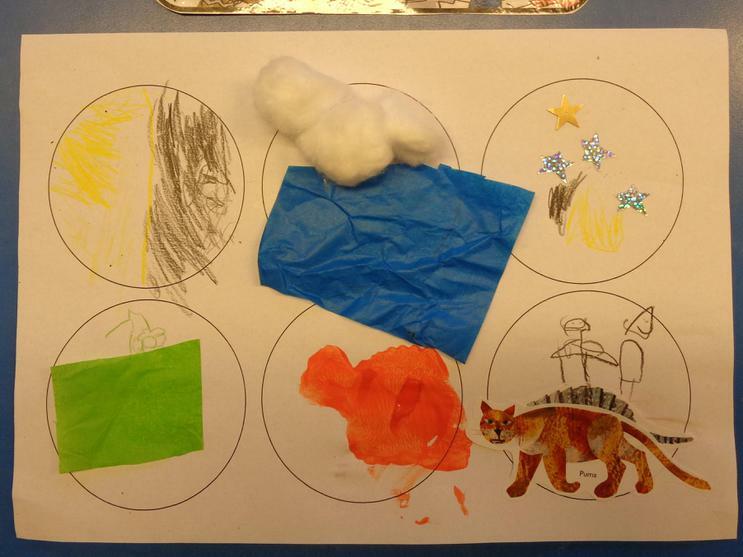 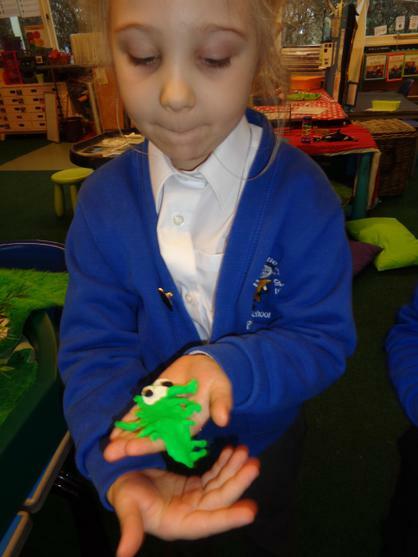 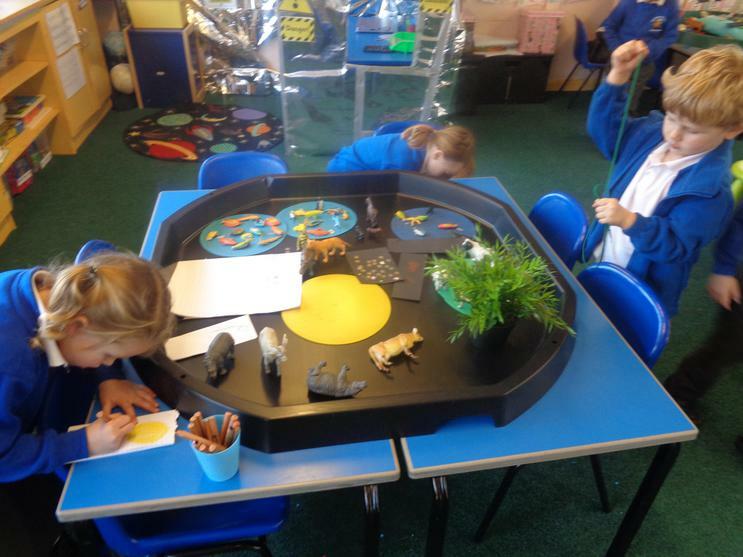 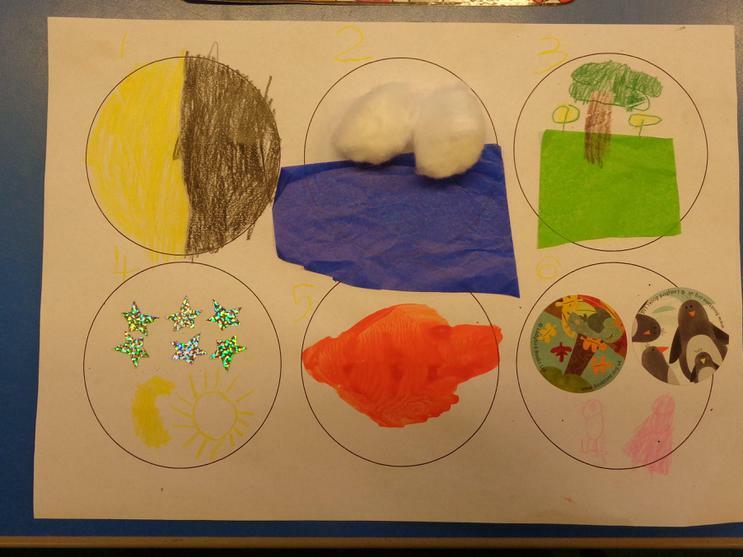 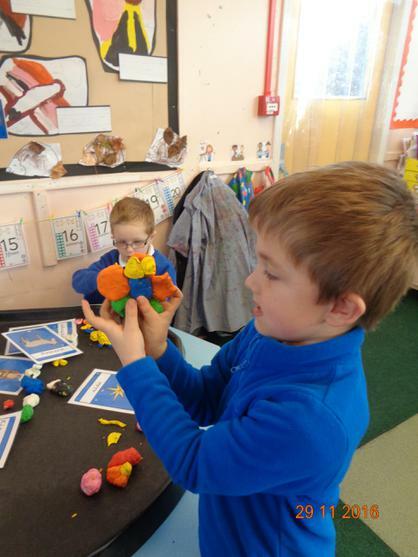 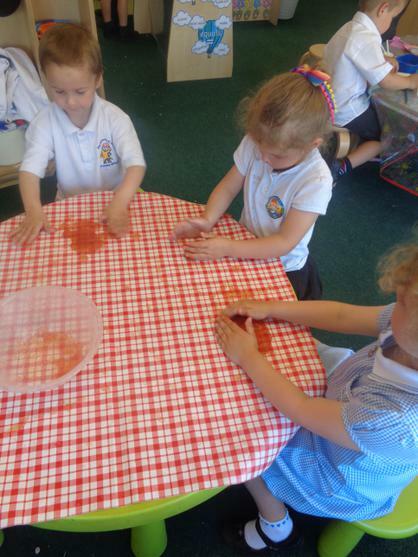 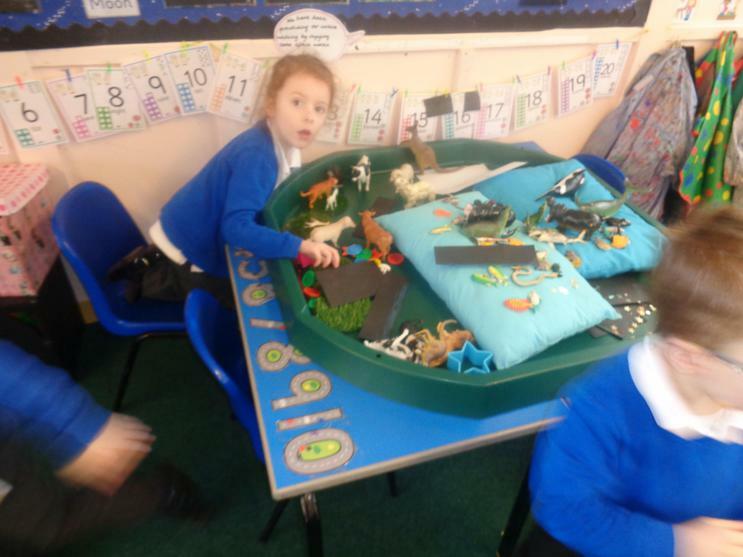 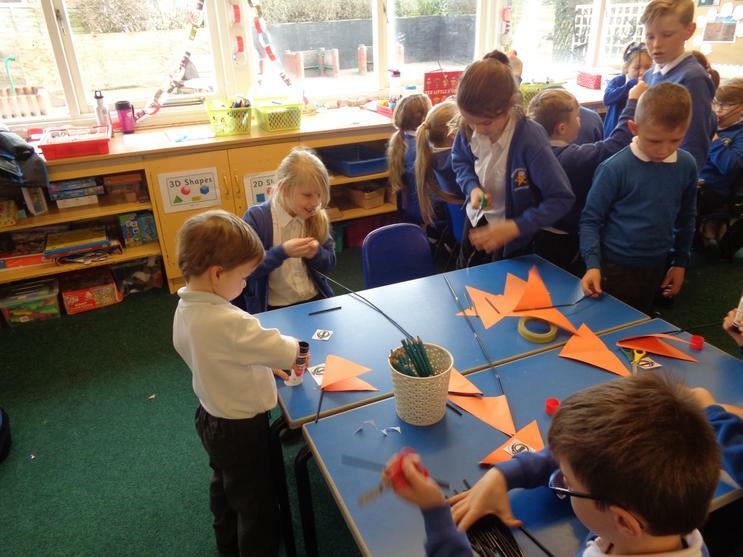 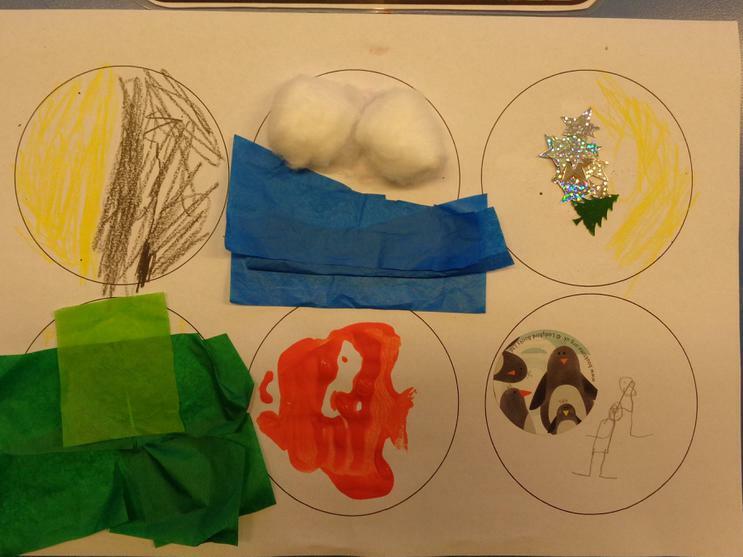 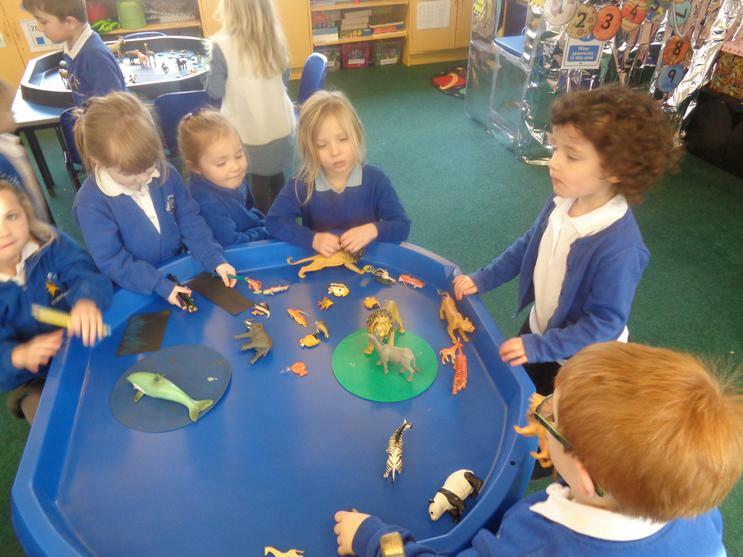 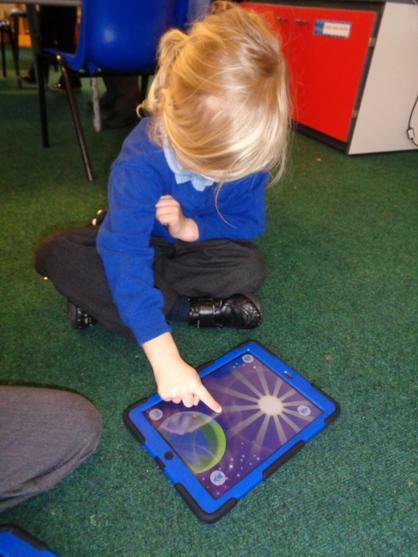 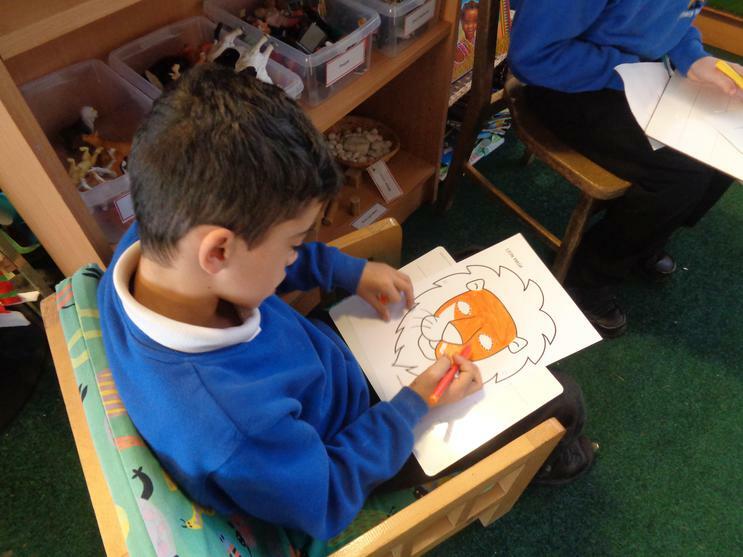 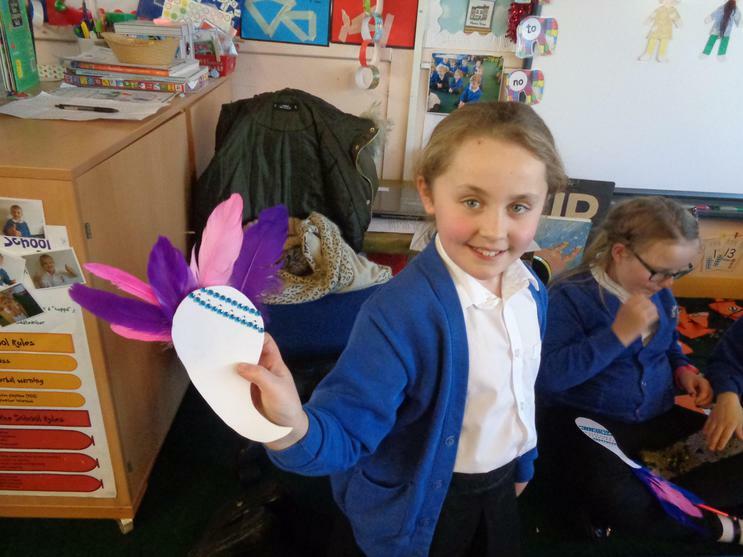 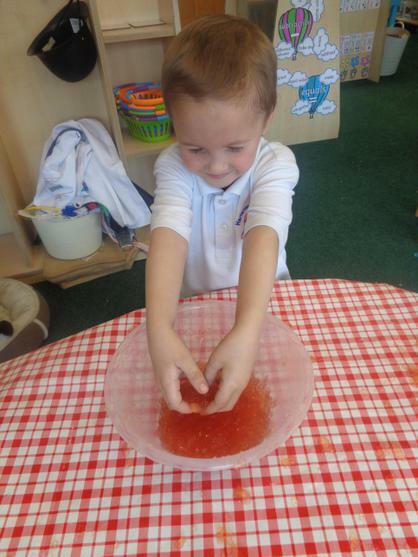 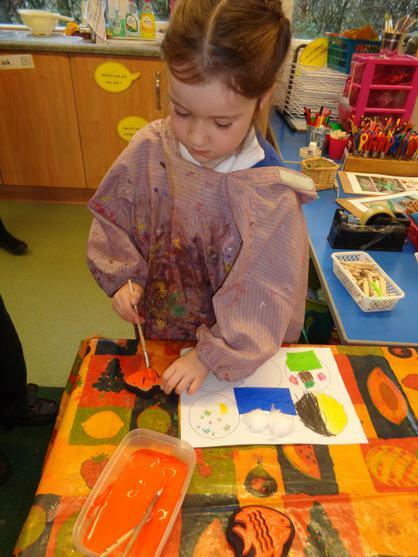 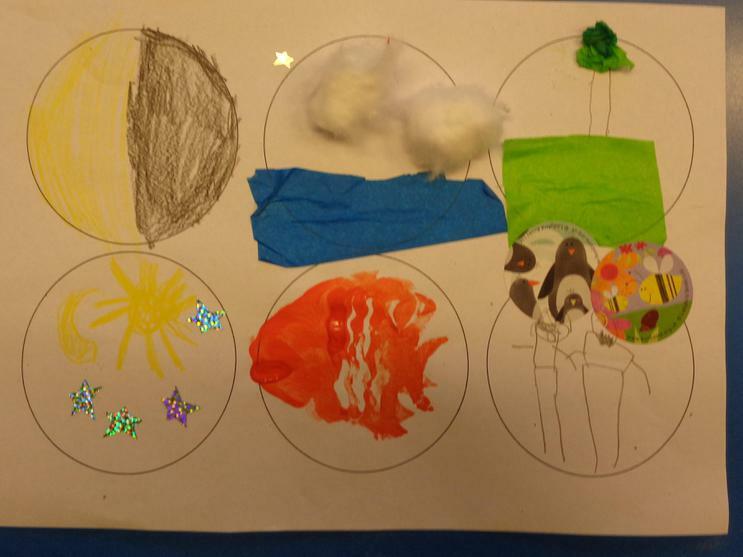 Beech class have been learning the Story of Creation. 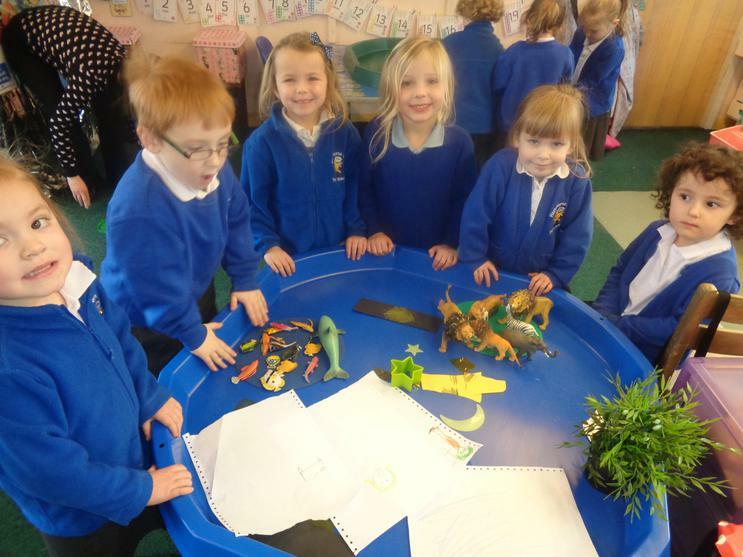 They then worked together in groups to recreate God's creation of all living things by finding, making and drawing each day's creations. 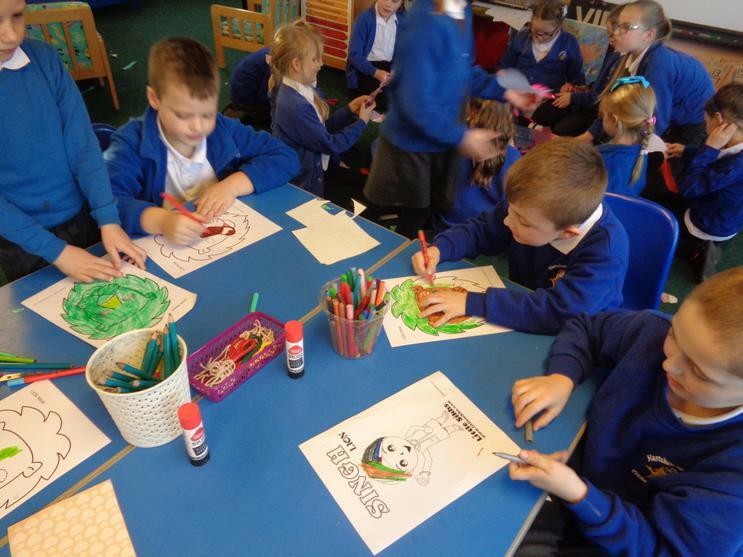 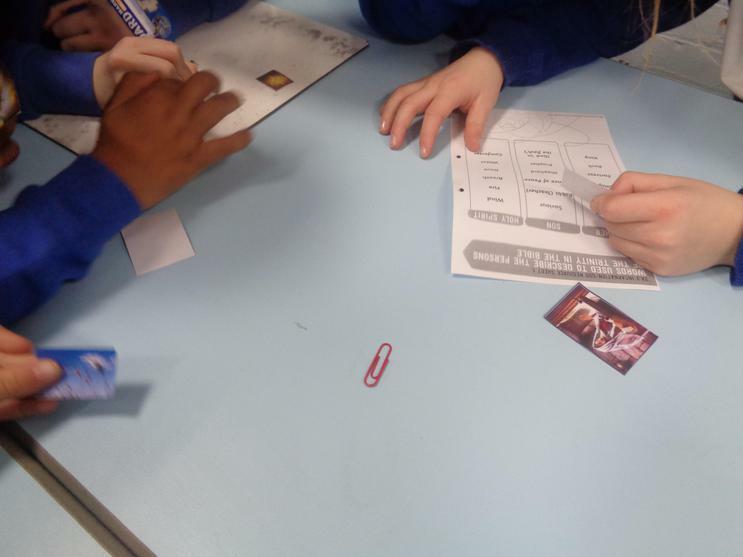 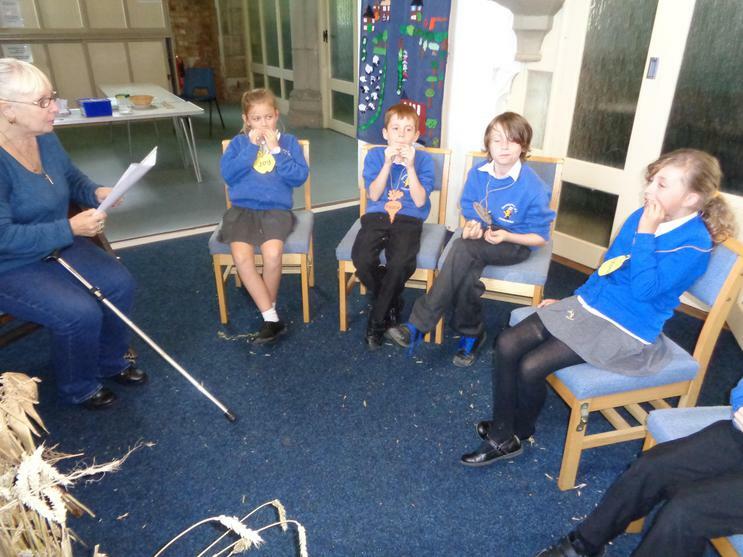 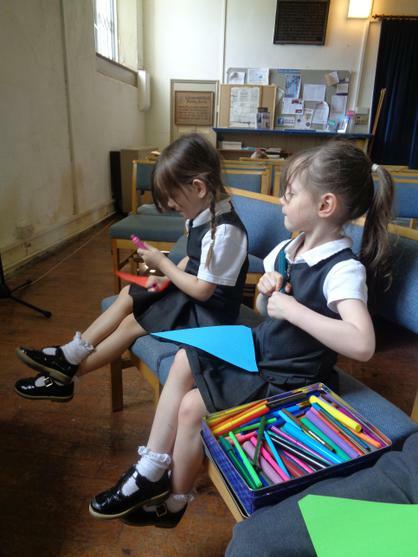 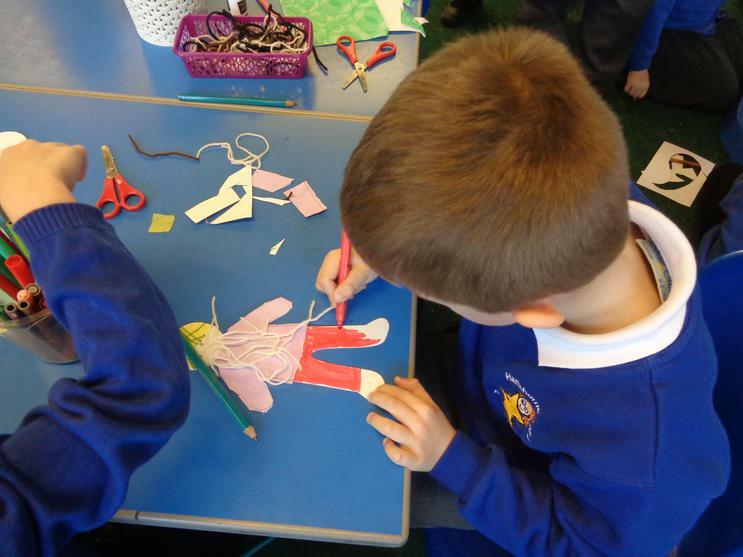 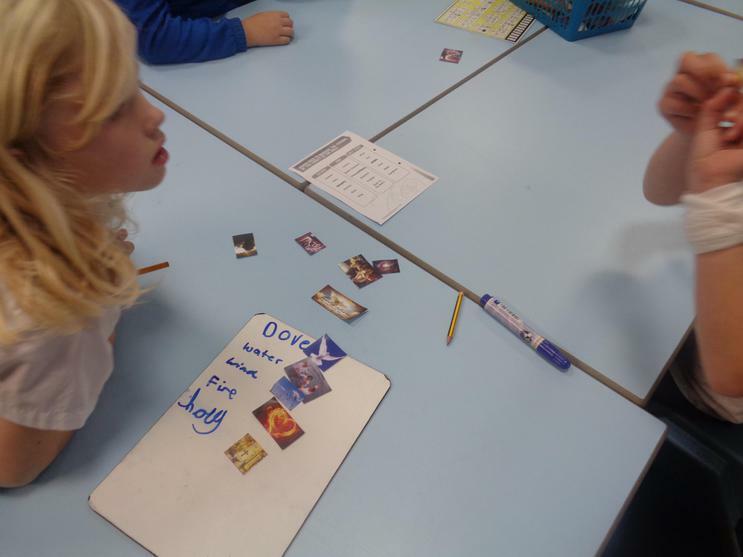 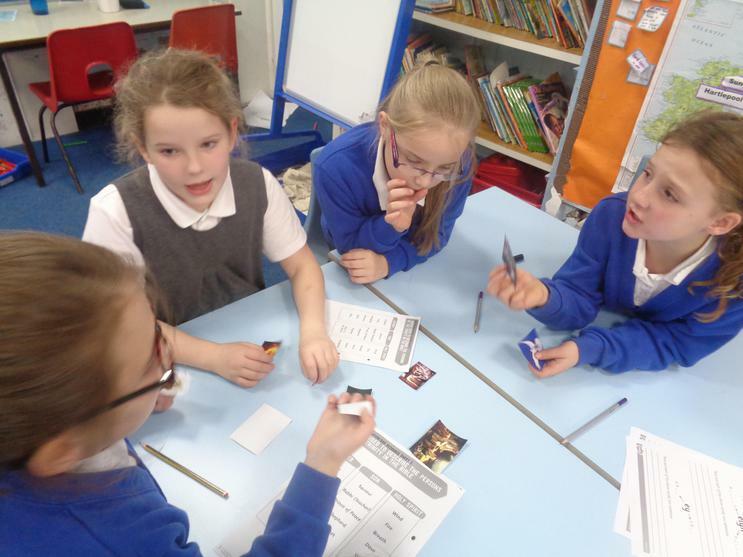 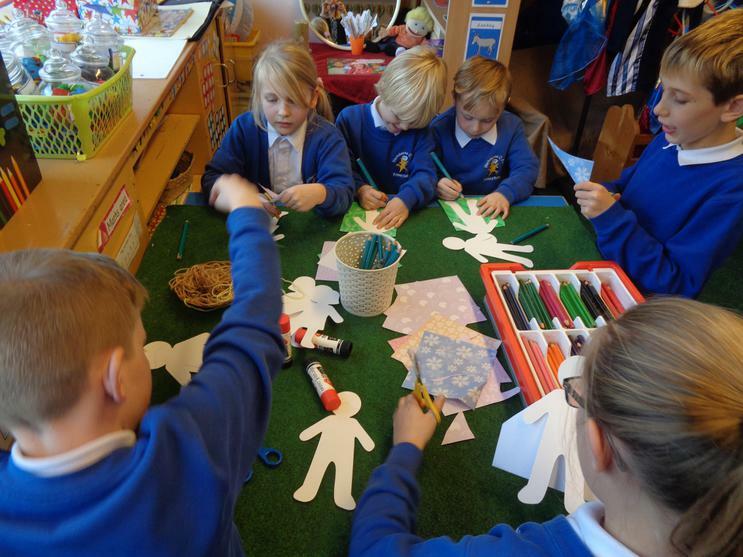 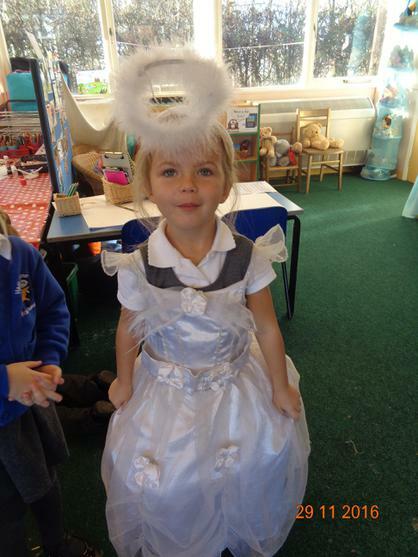 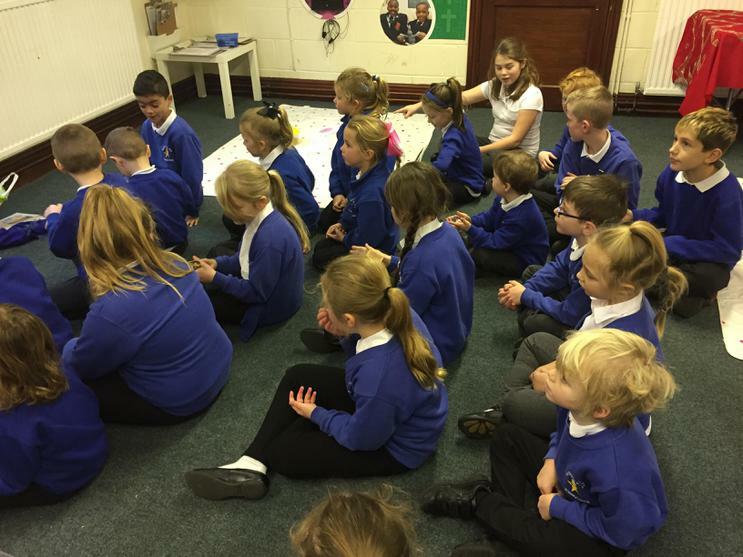 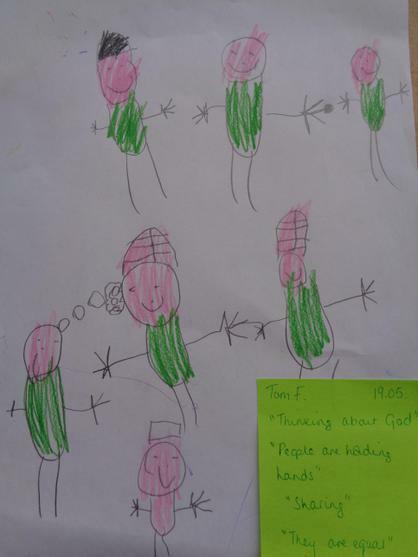 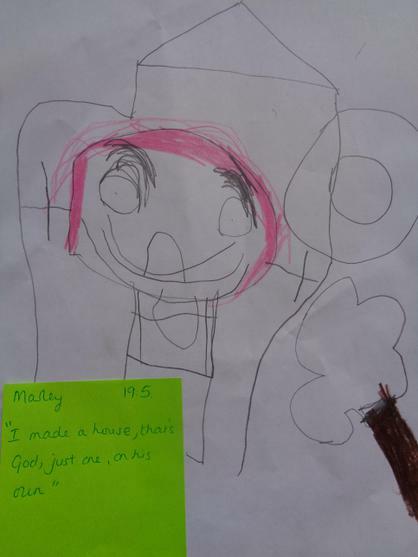 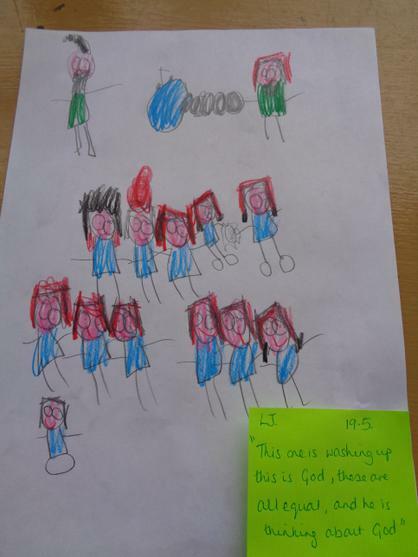 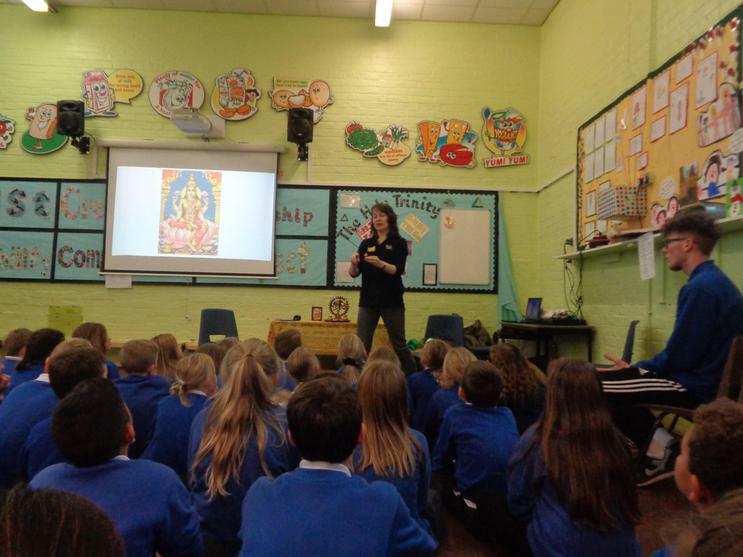 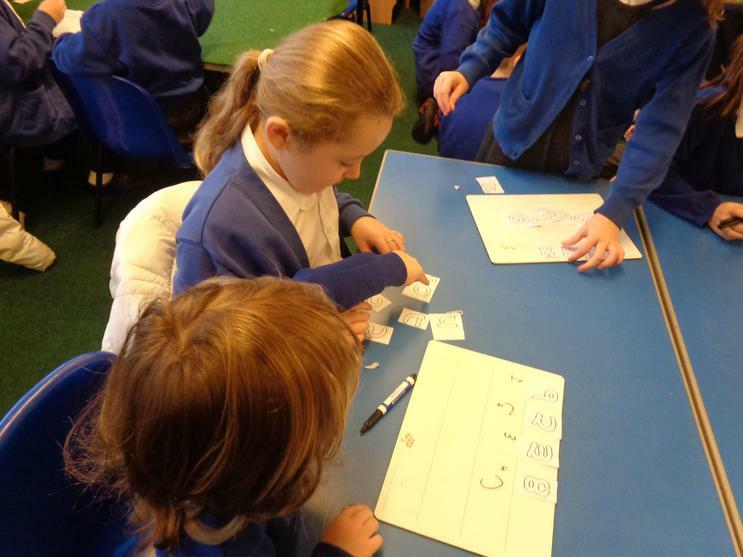 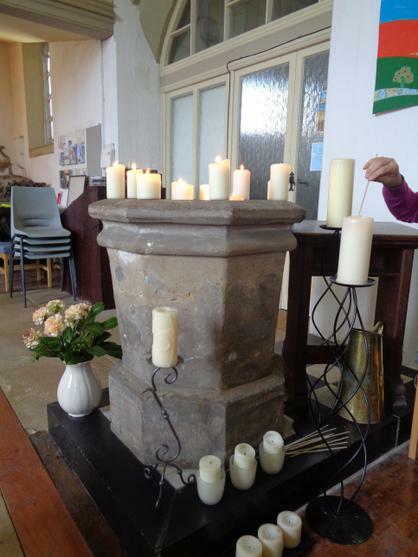 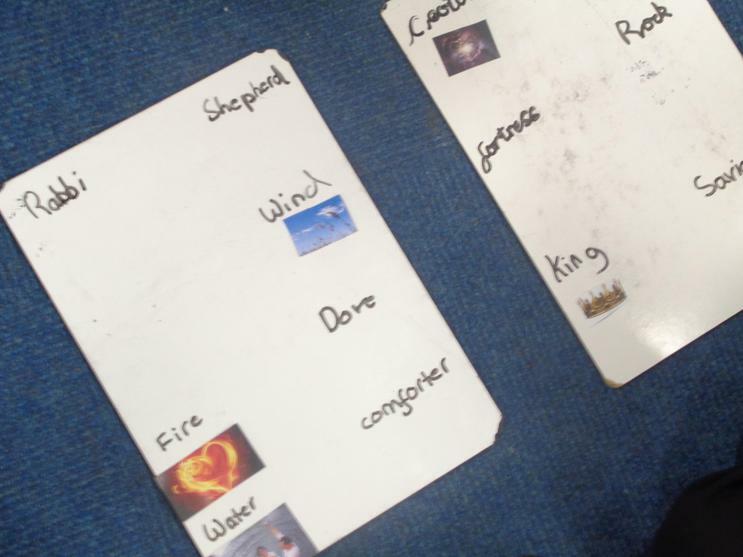 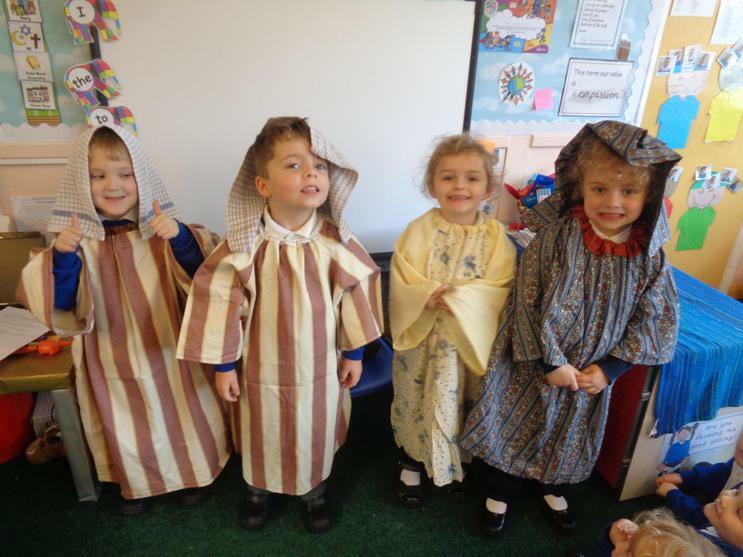 Oak Class - Oak class have been studying the topic of Incarnation. 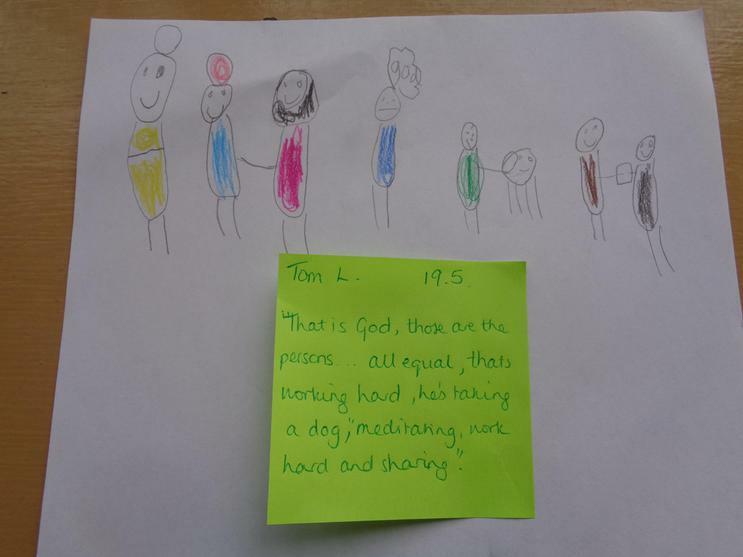 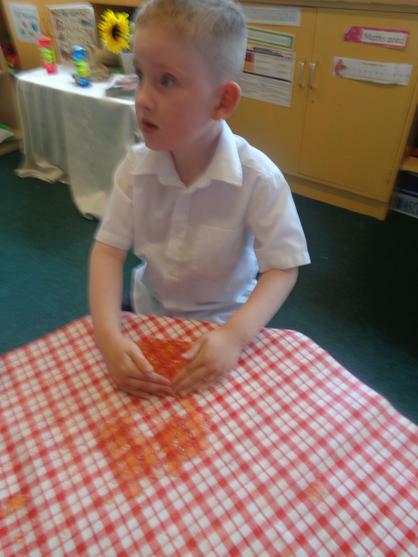 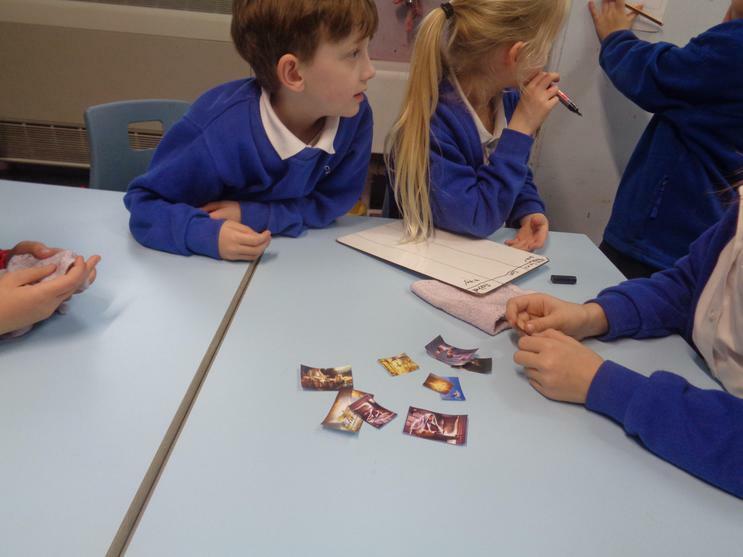 They were asked to sort out pictures which represented the different parts of the Holy Trinity - the Father, the Son and the Holy Spirit. 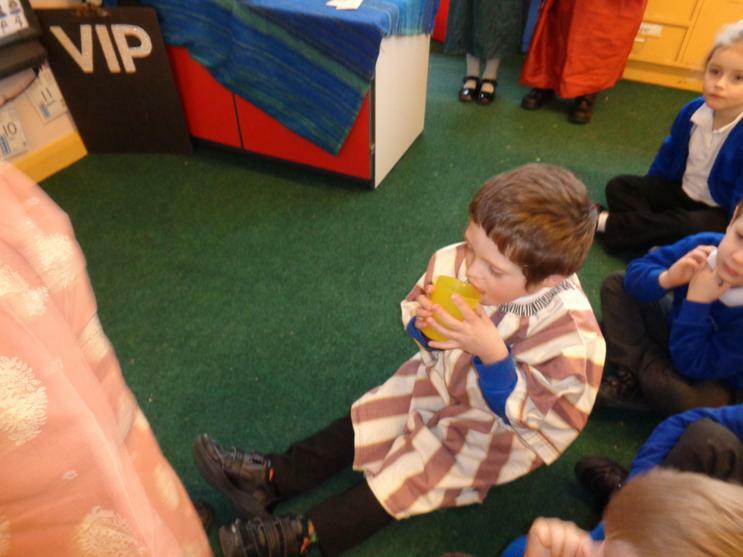 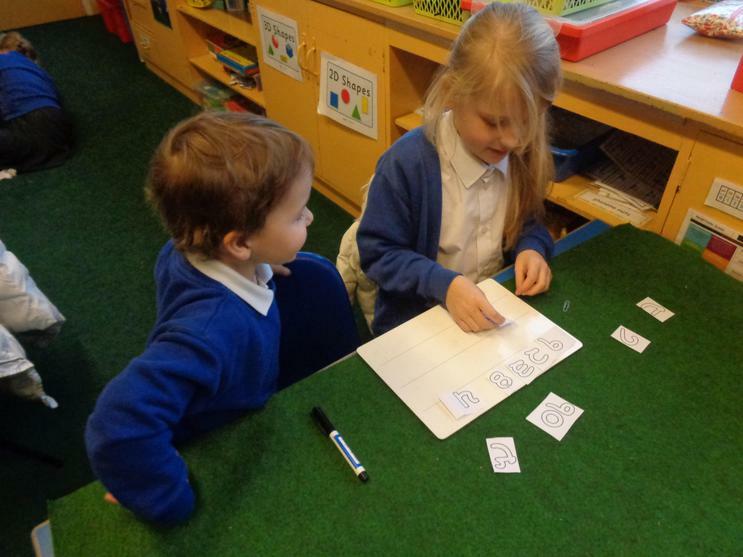 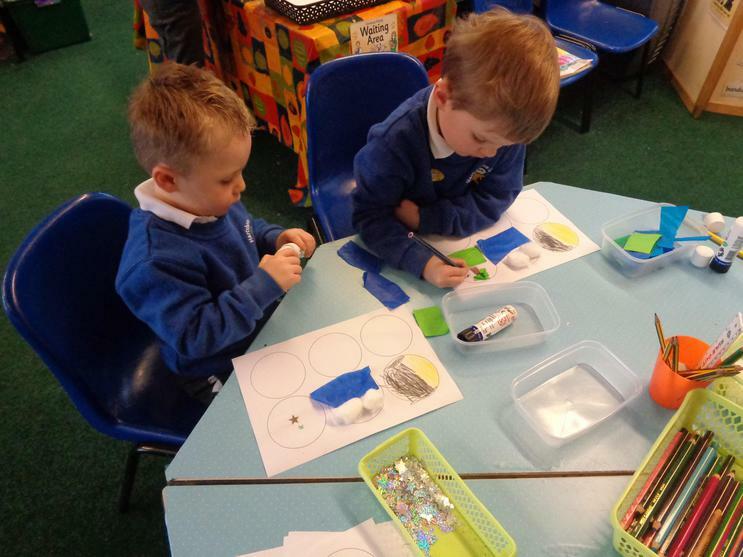 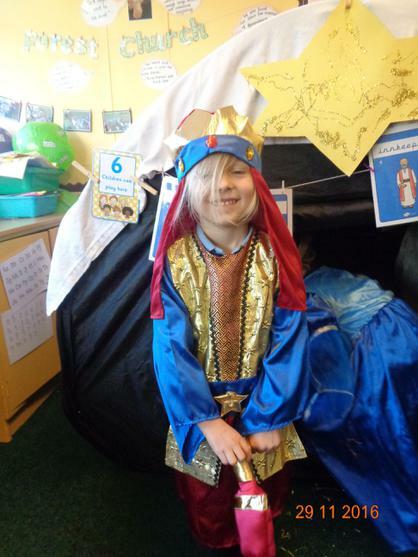 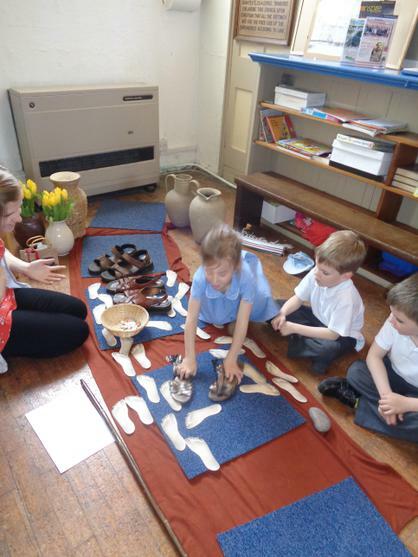 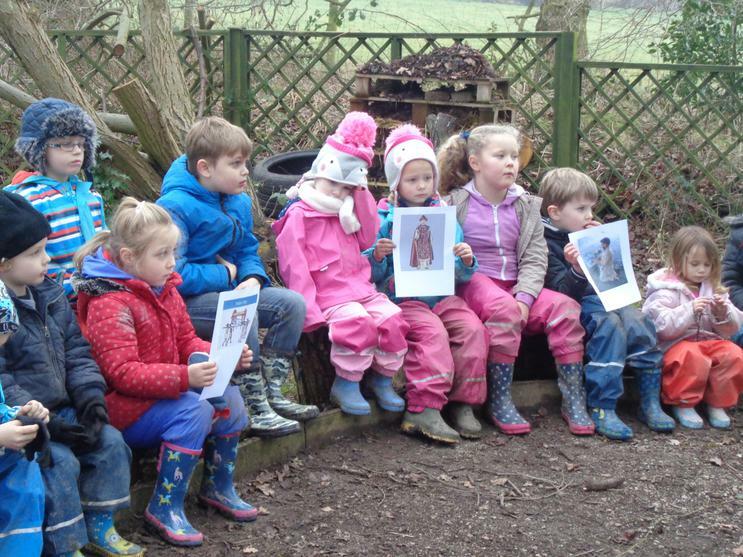 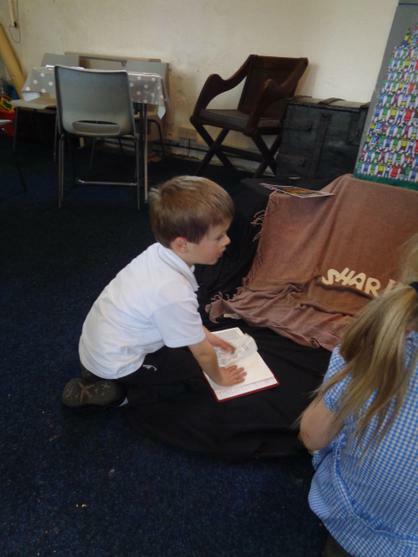 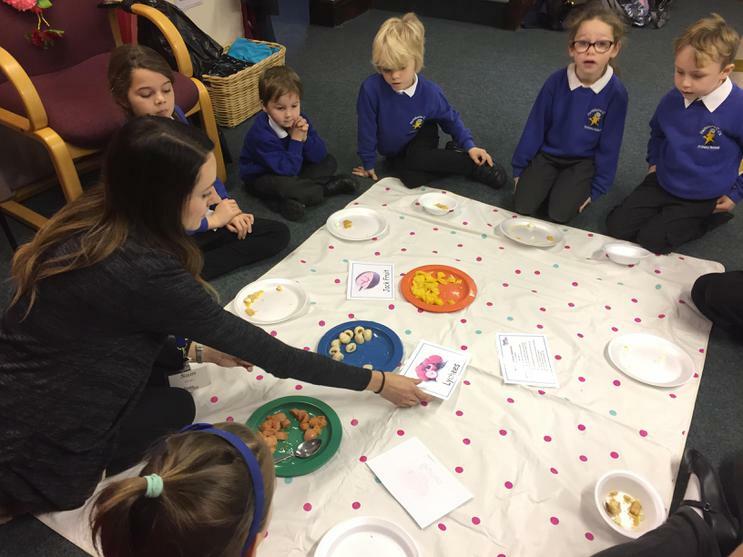 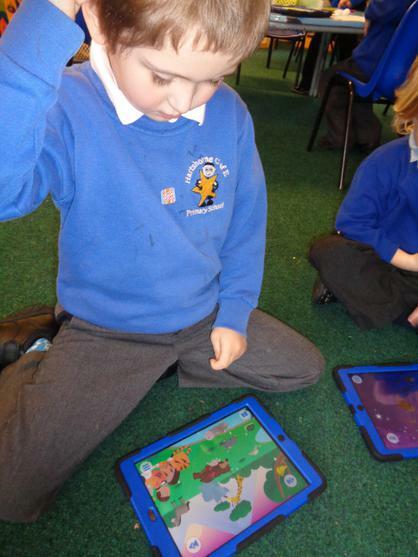 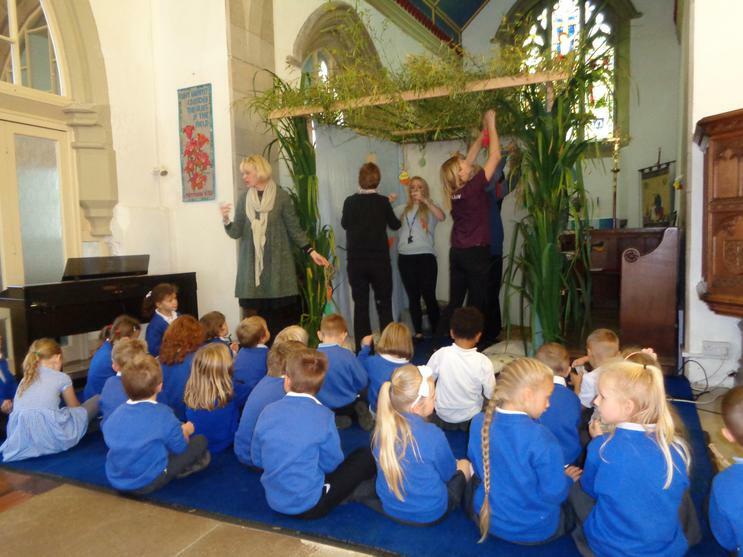 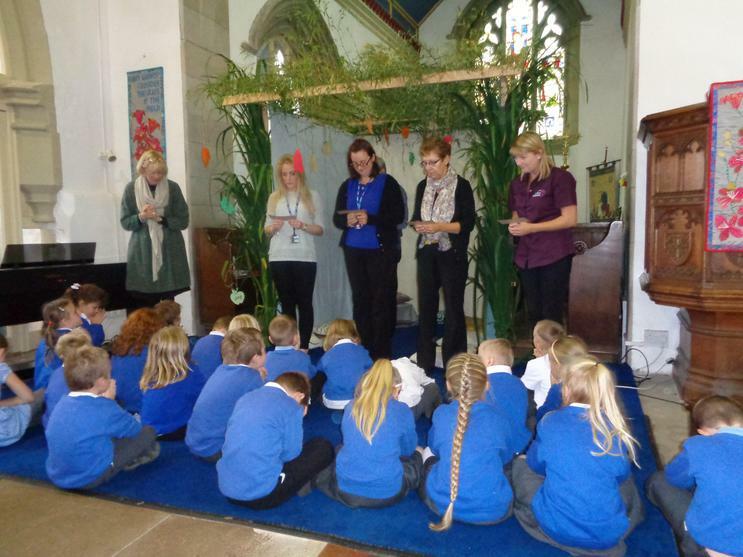 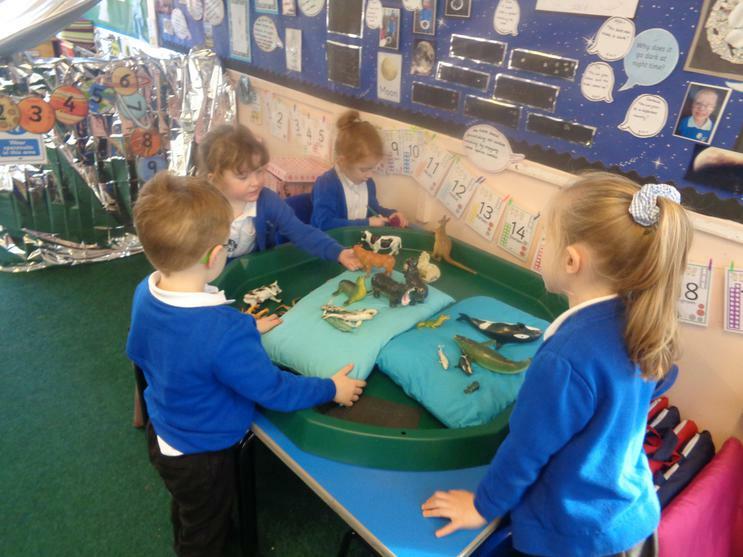 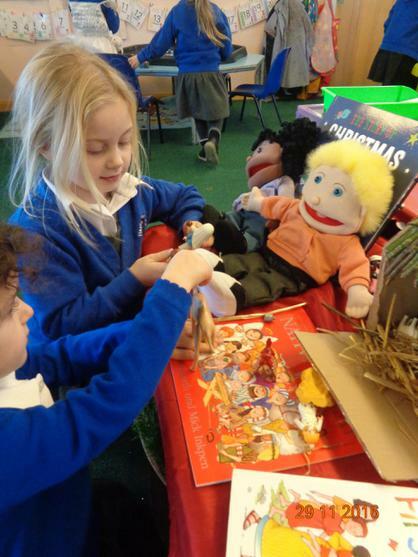 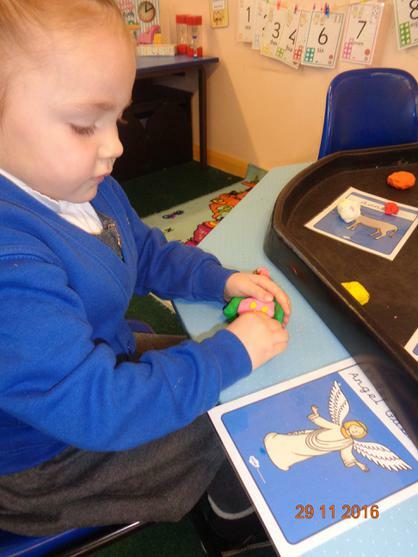 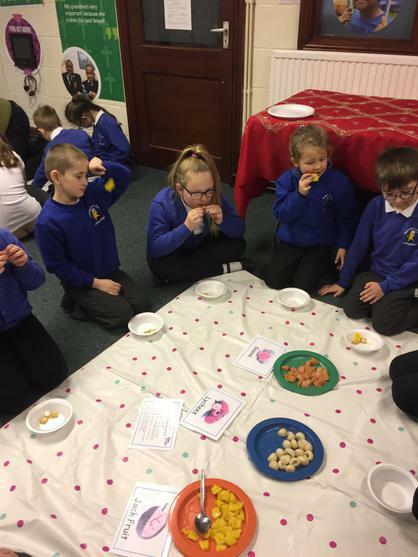 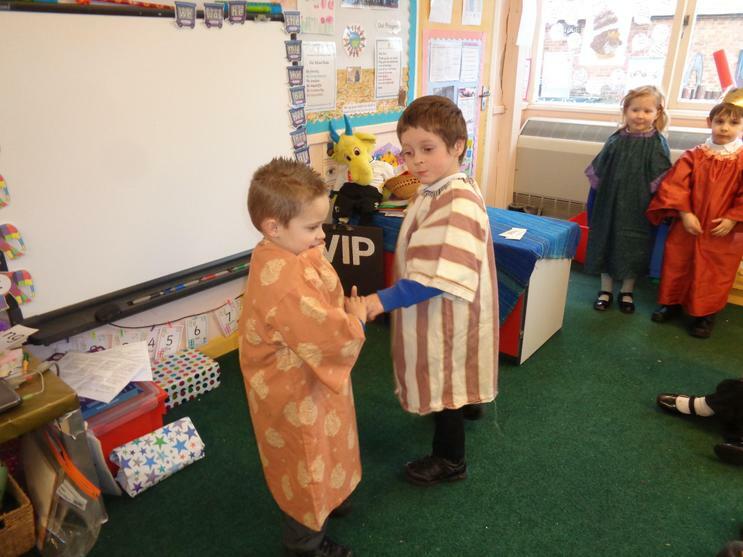 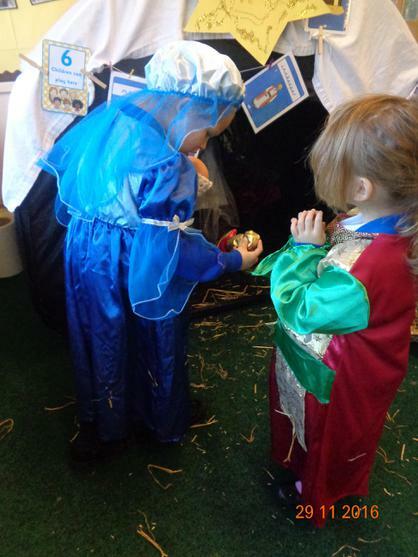 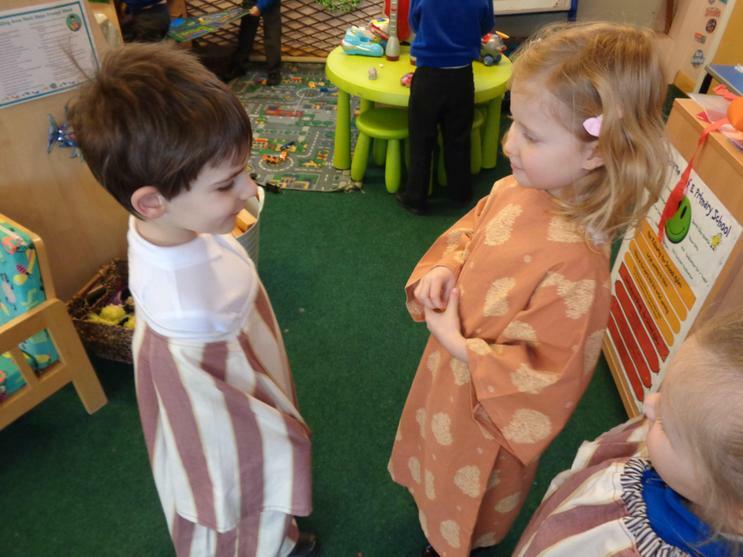 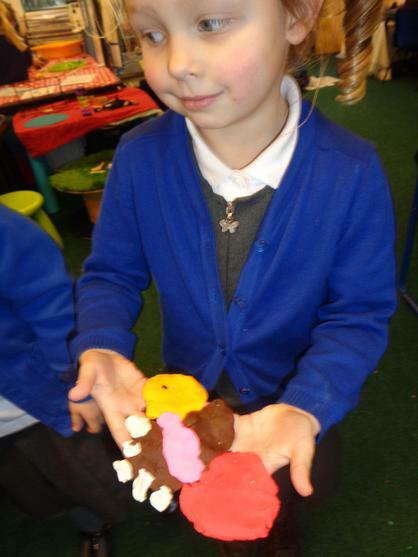 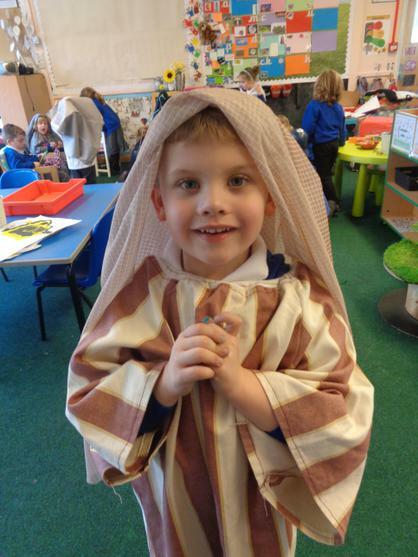 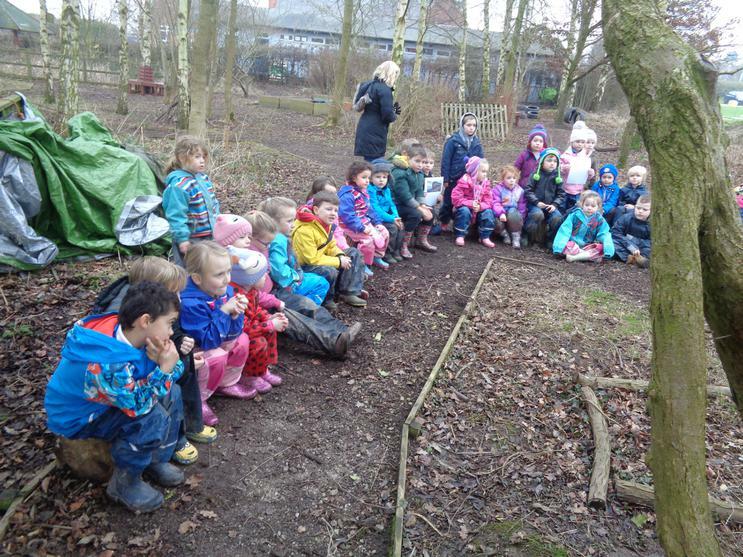 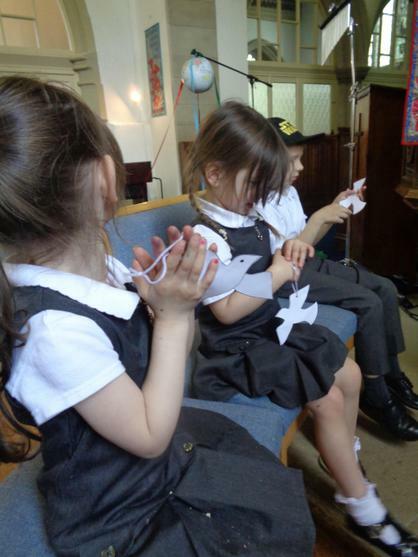 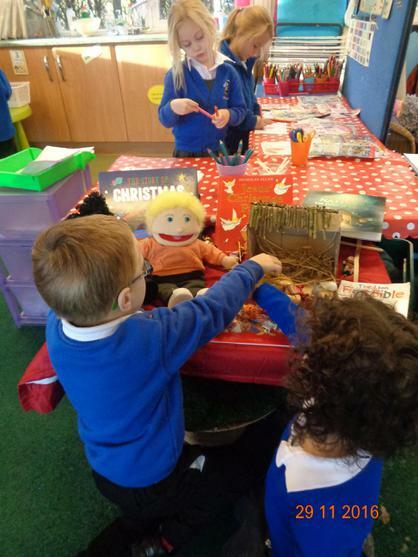 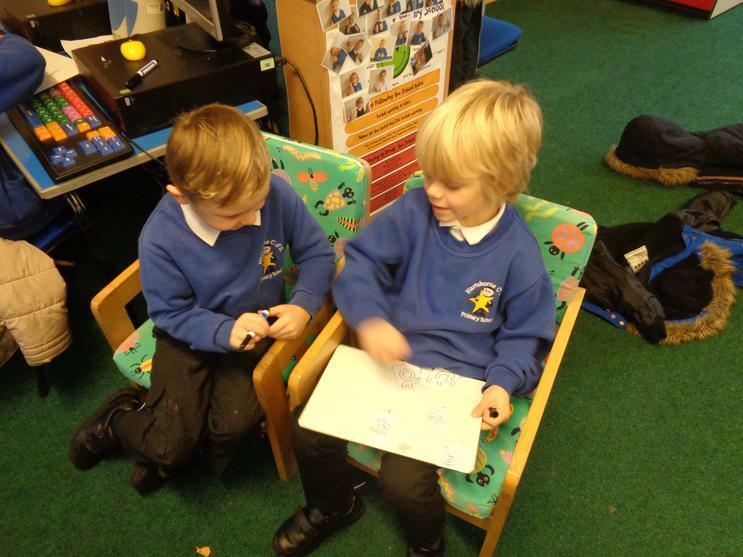 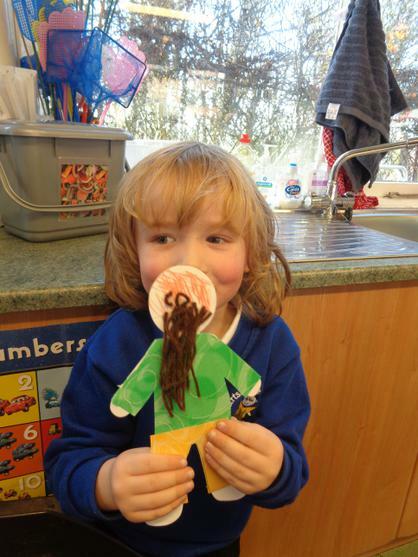 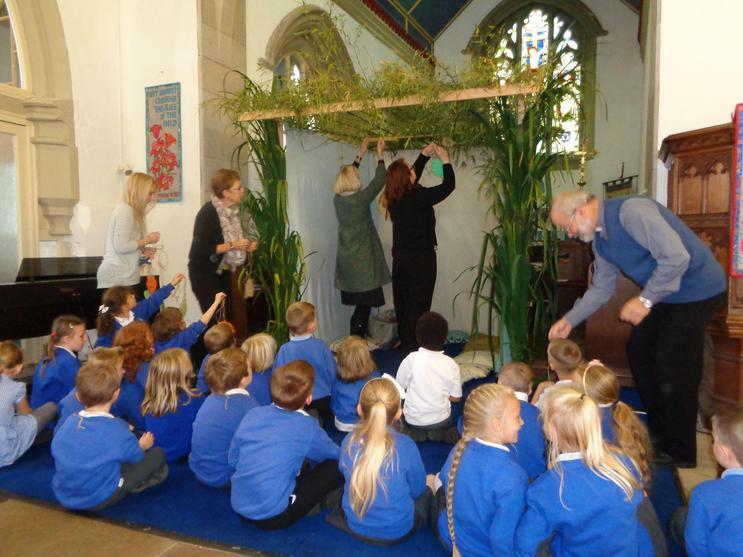 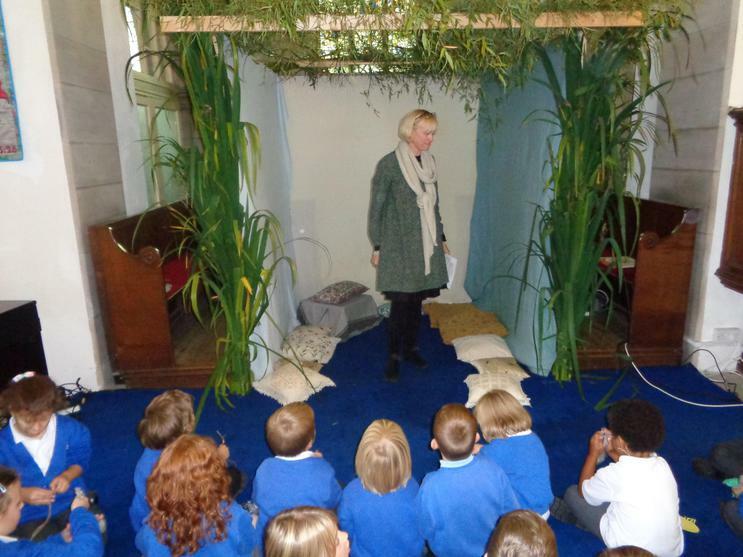 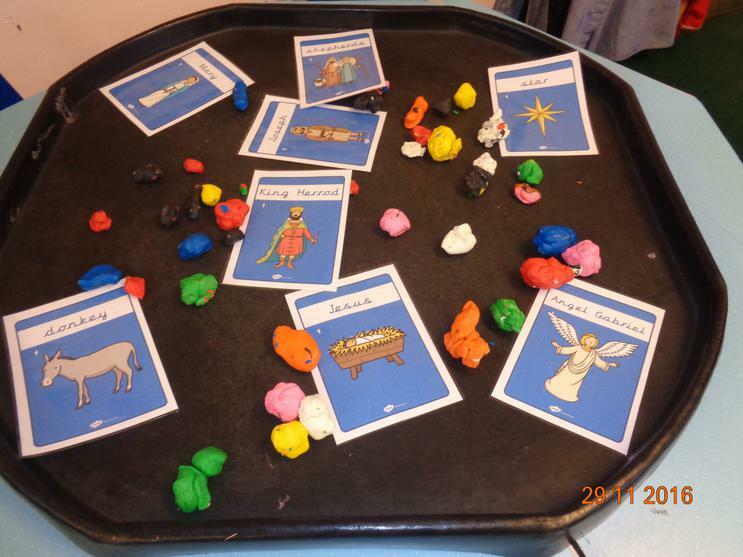 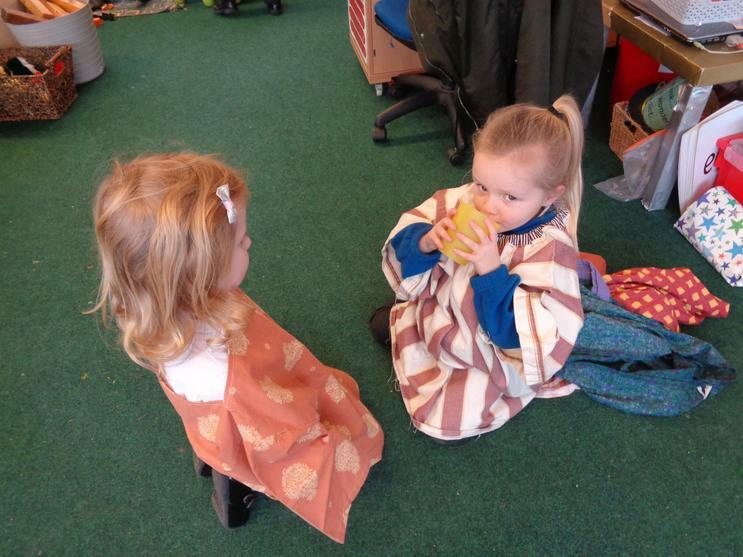 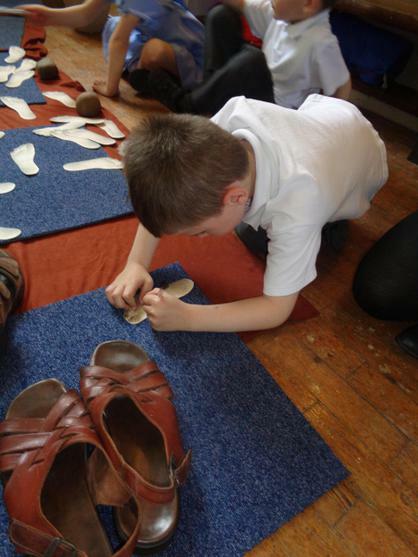 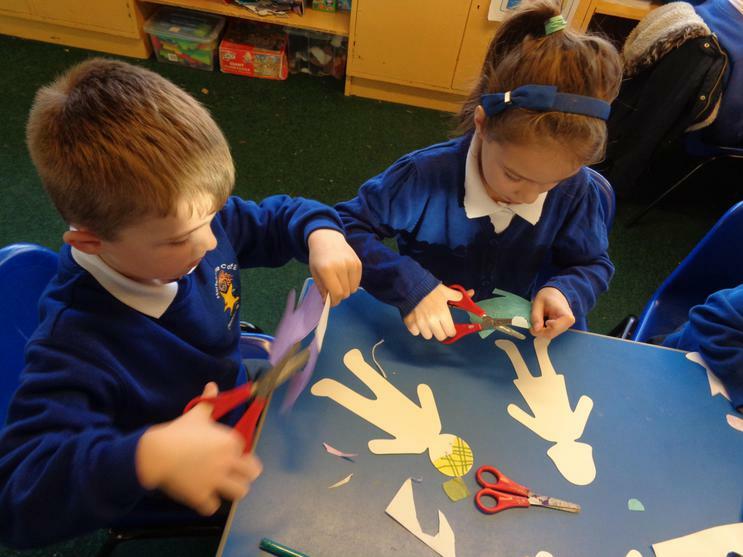 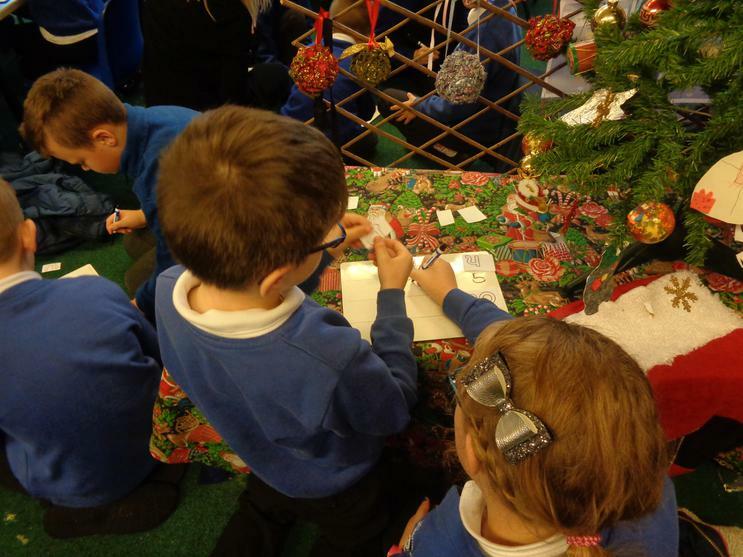 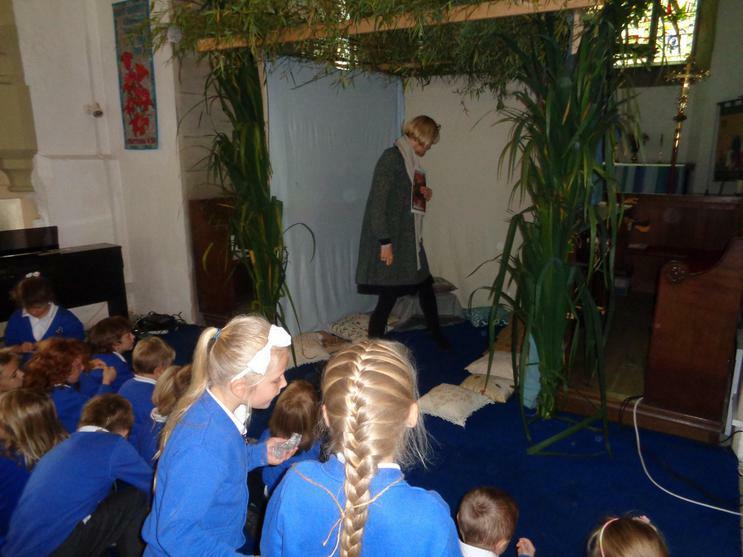 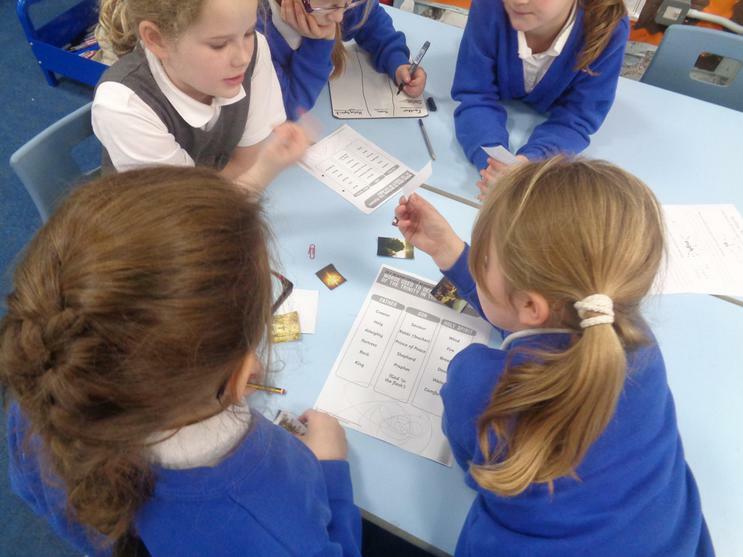 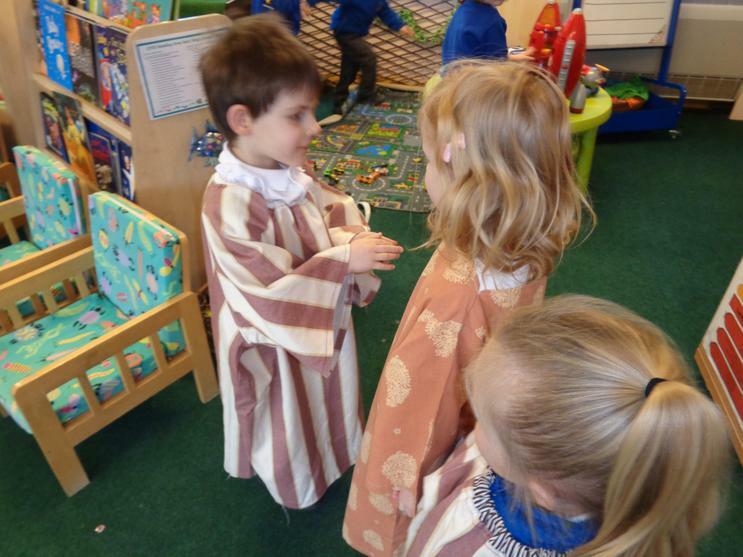 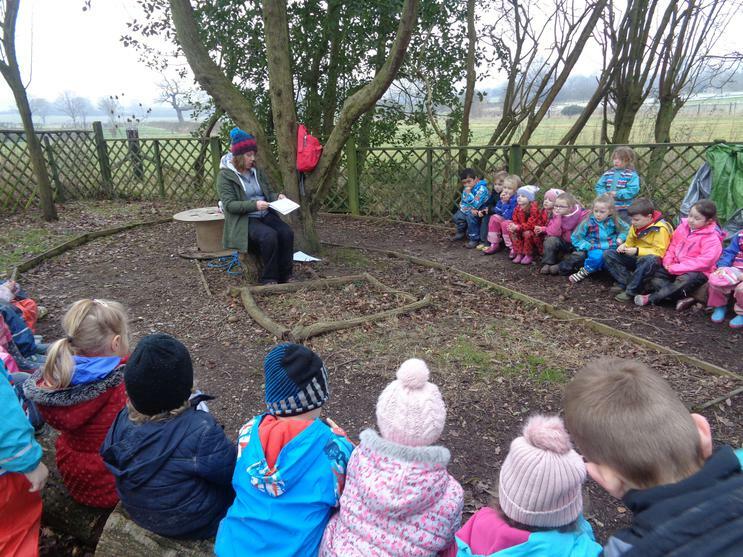 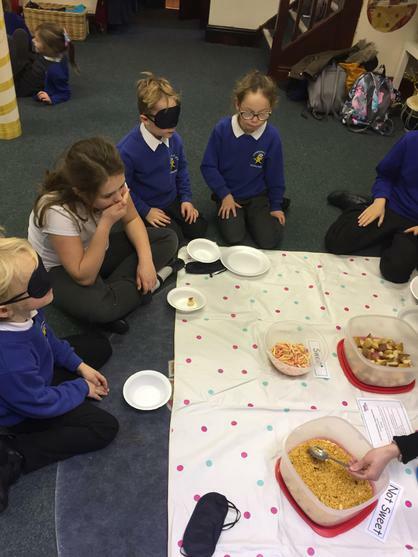 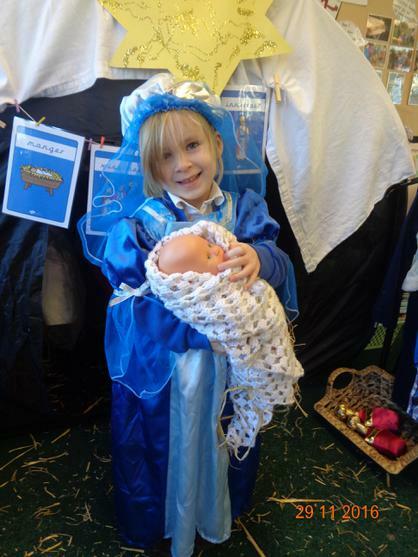 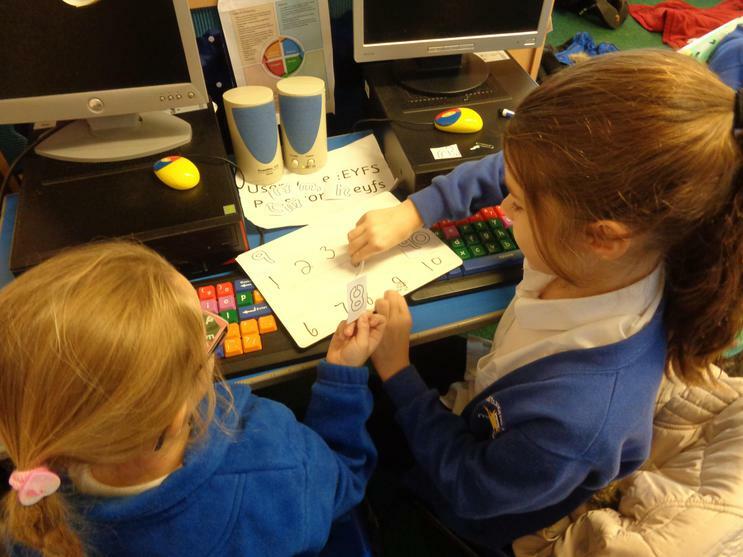 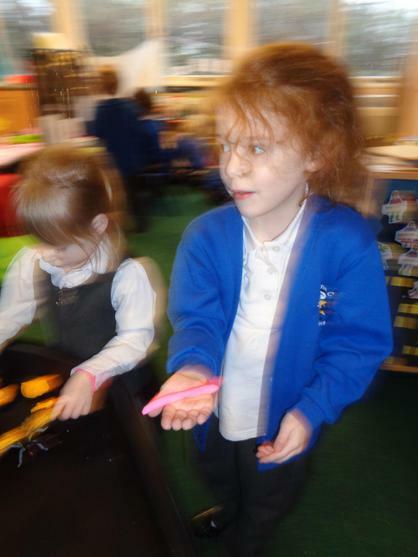 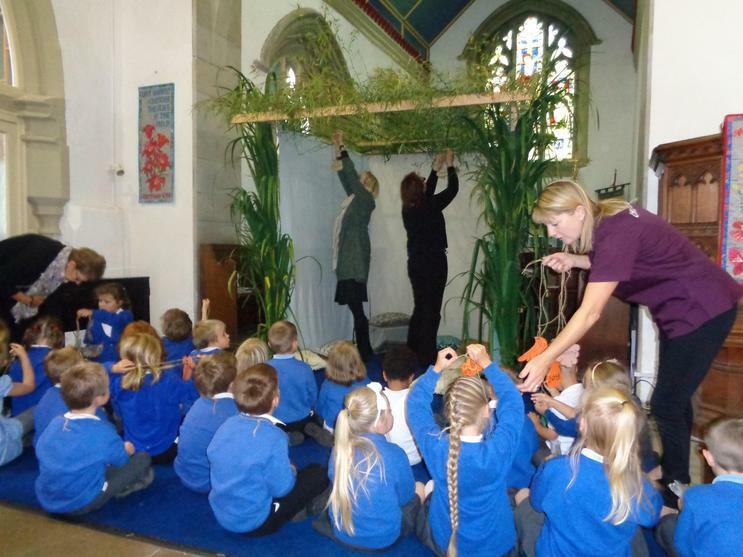 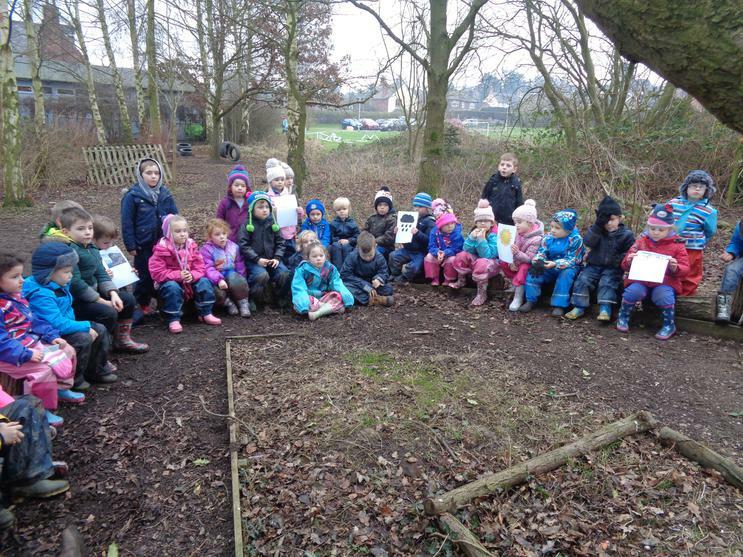 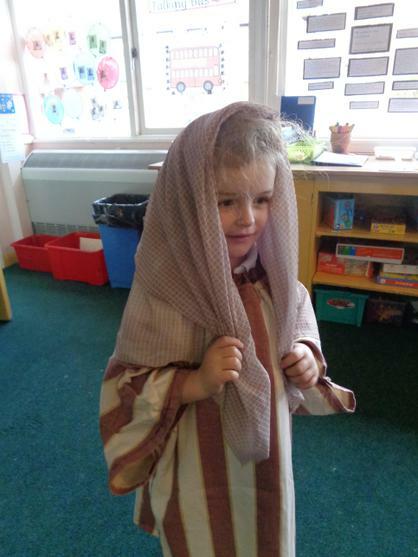 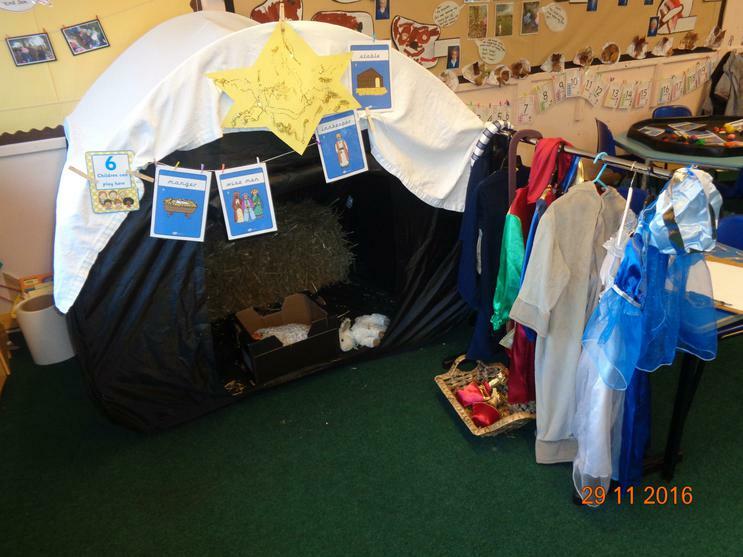 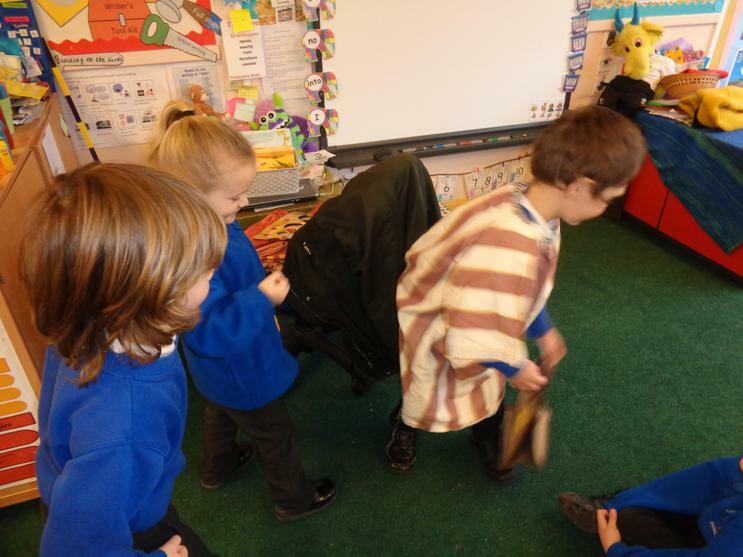 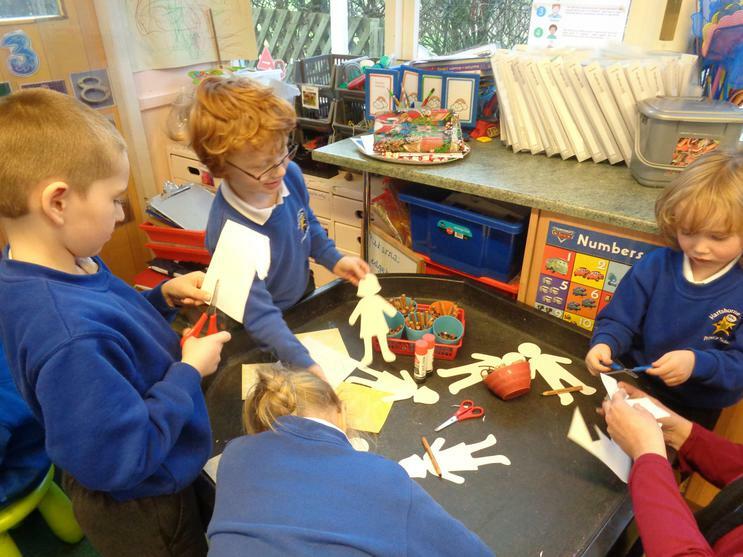 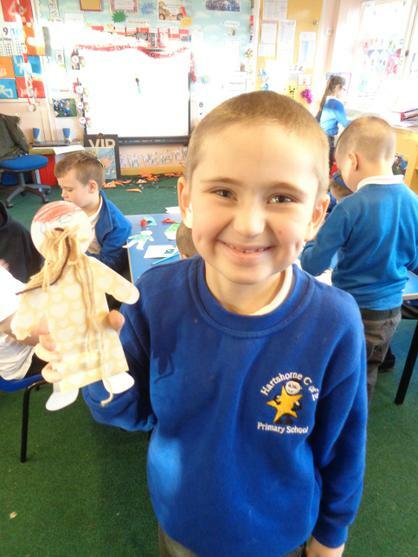 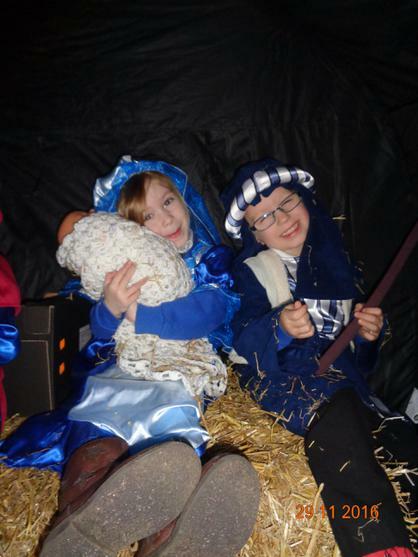 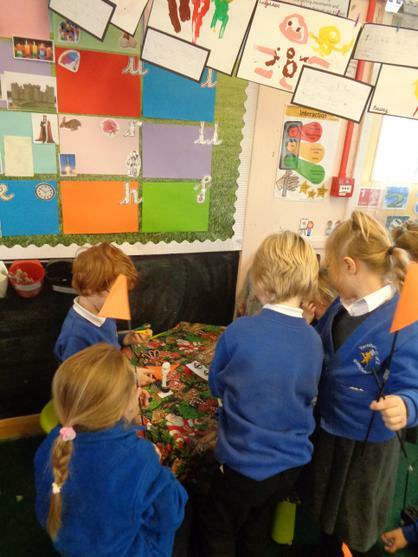 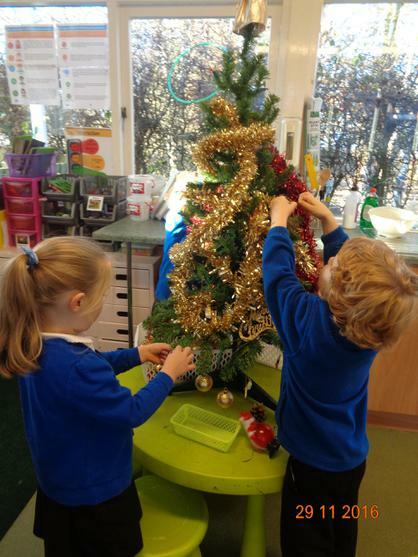 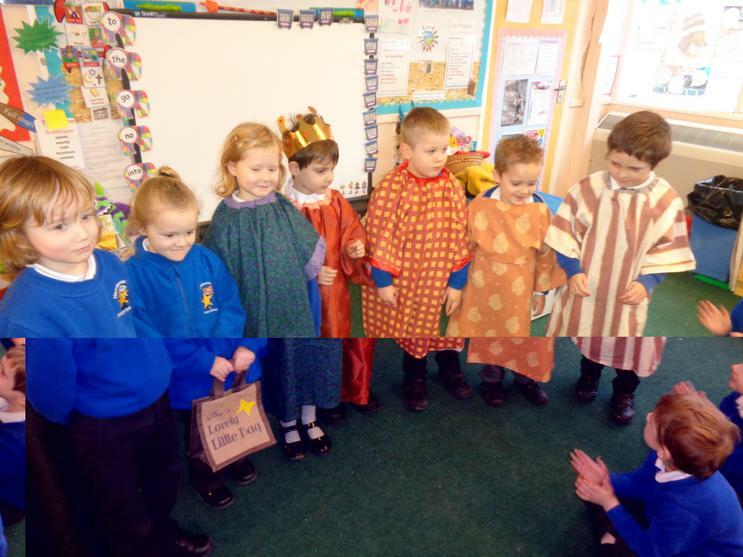 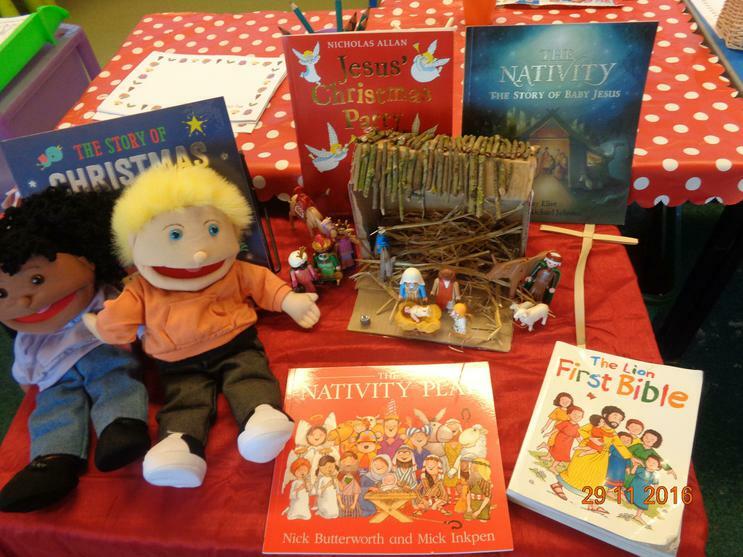 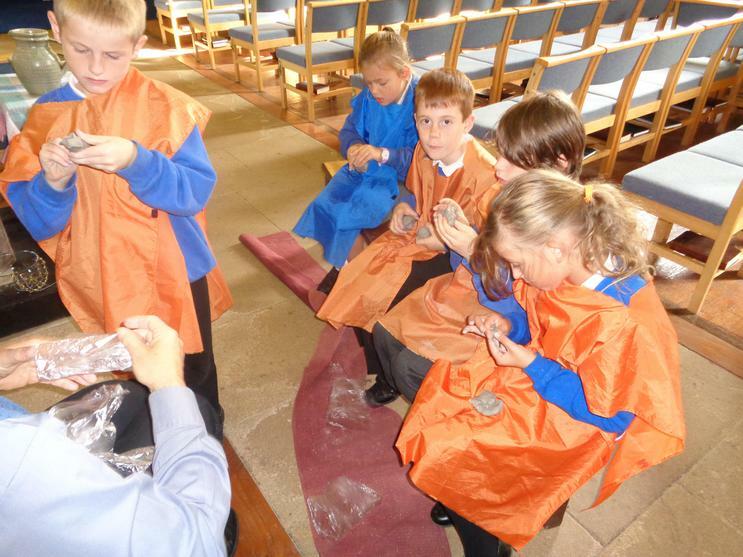 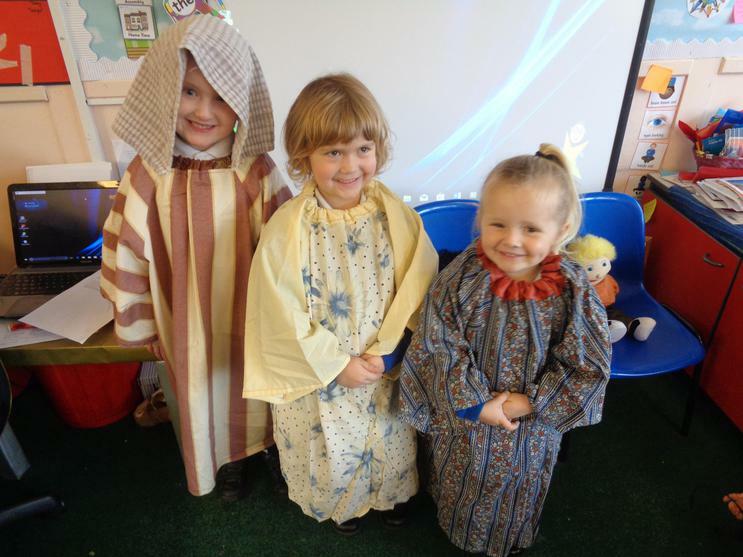 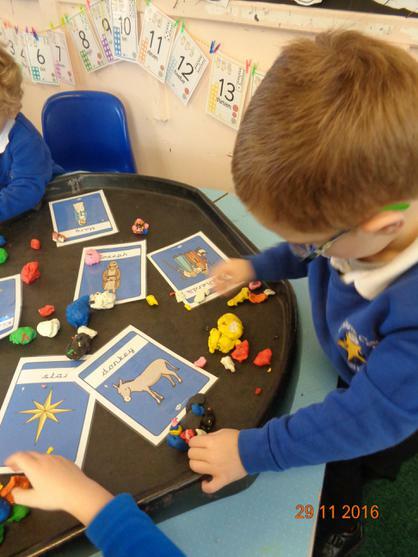 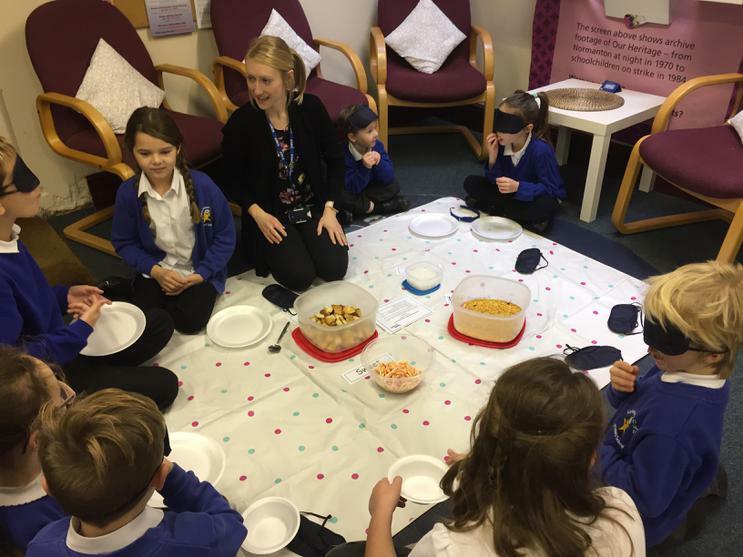 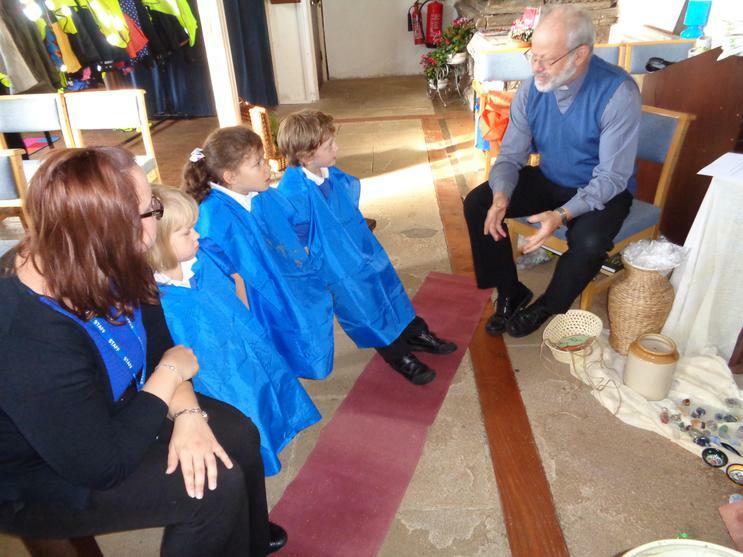 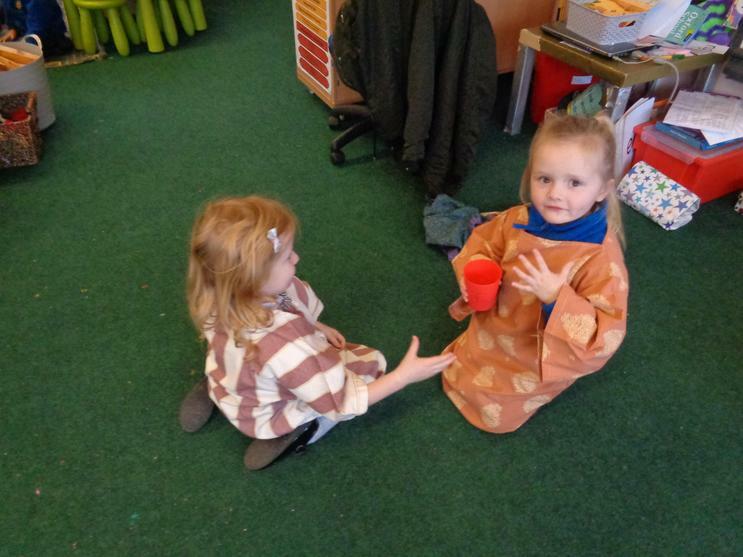 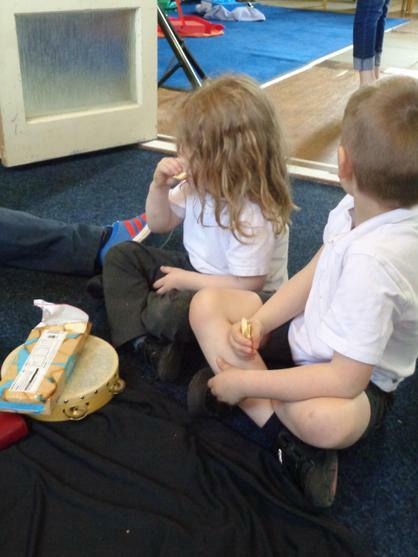 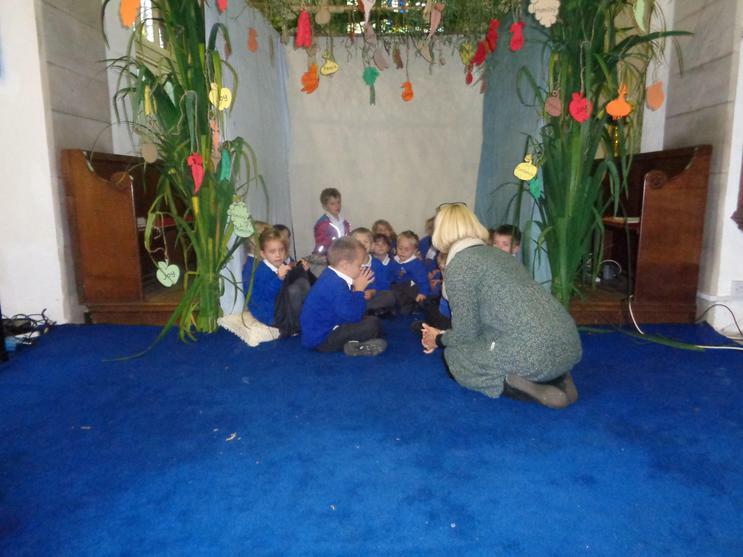 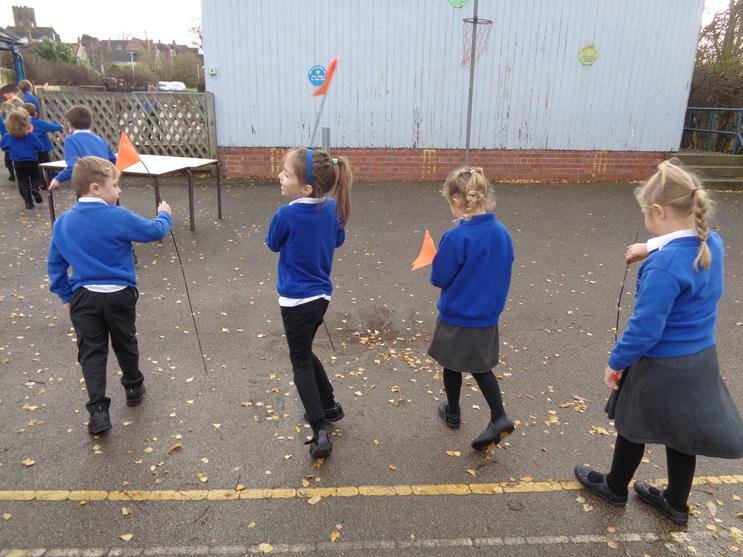 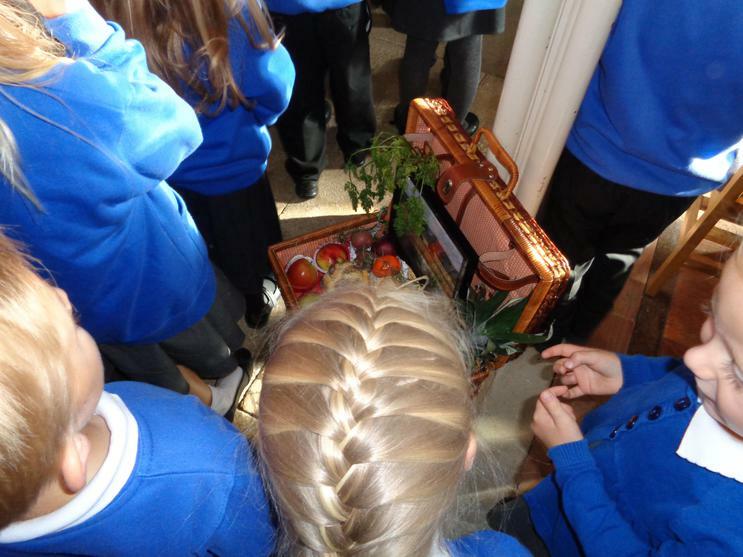 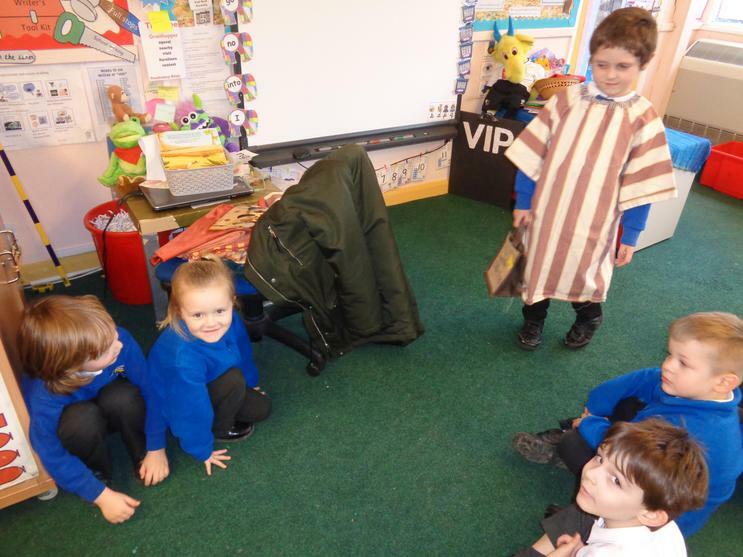 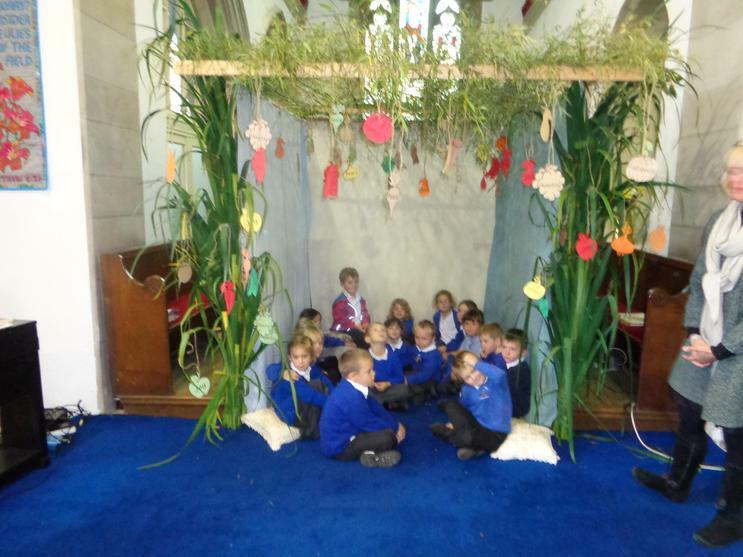 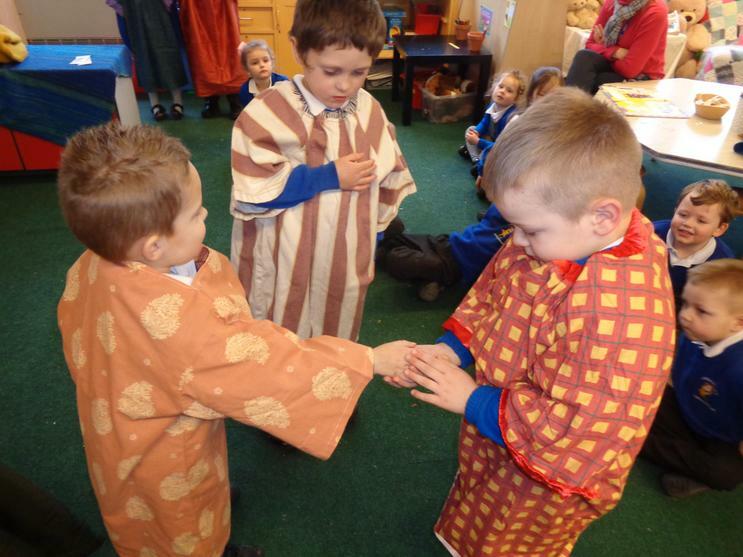 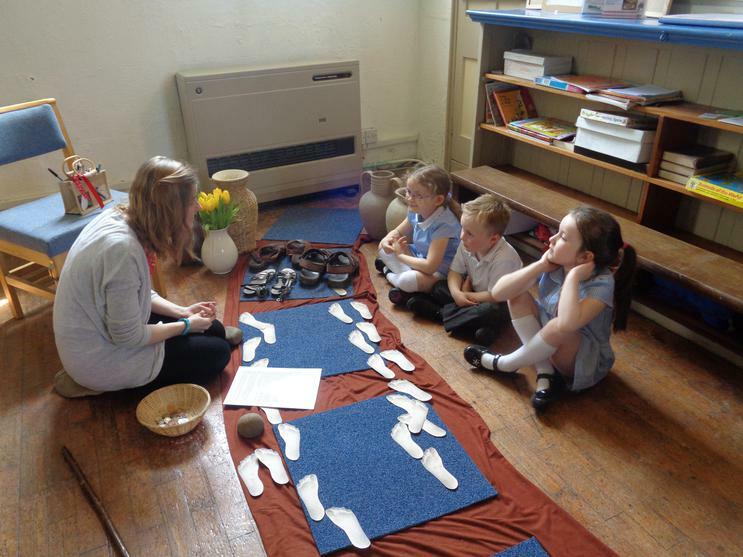 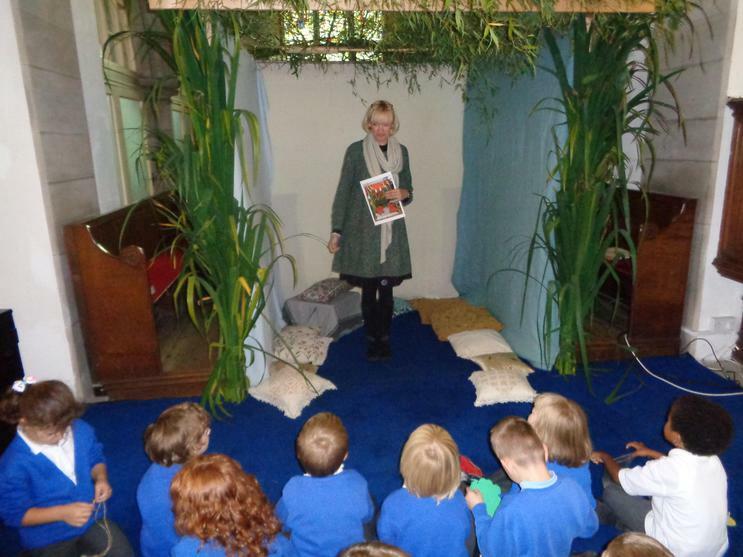 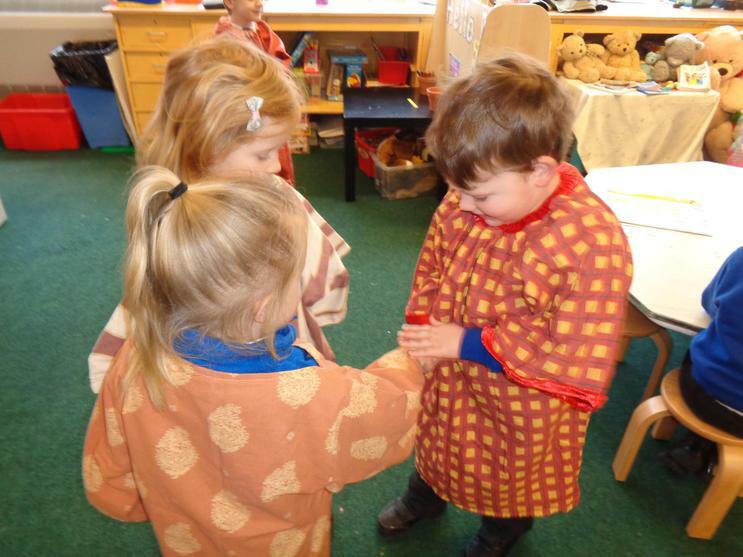 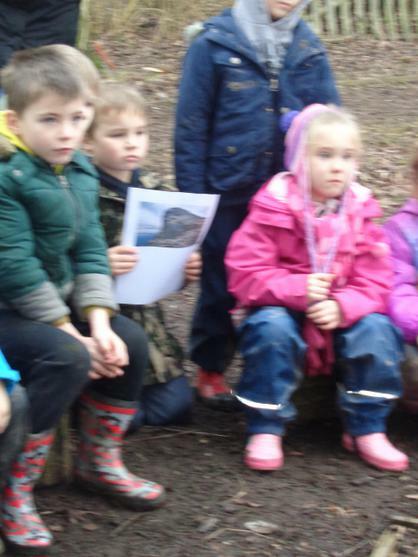 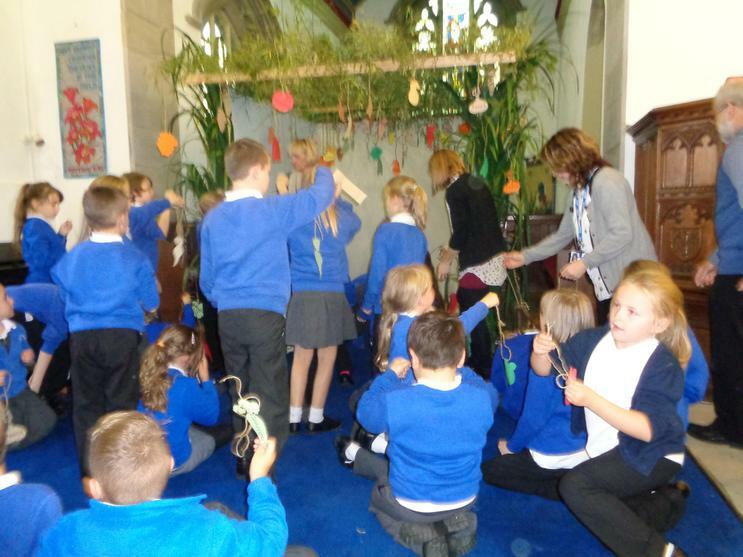 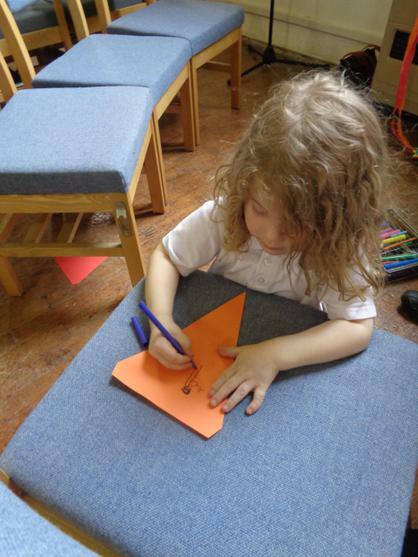 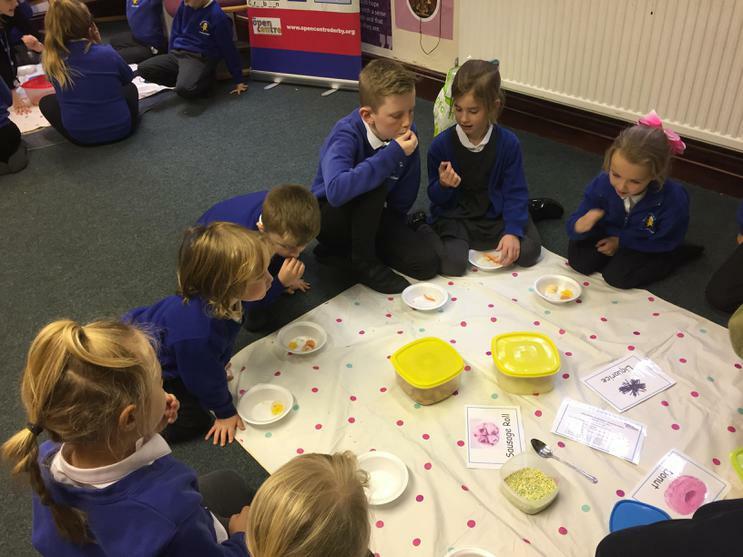 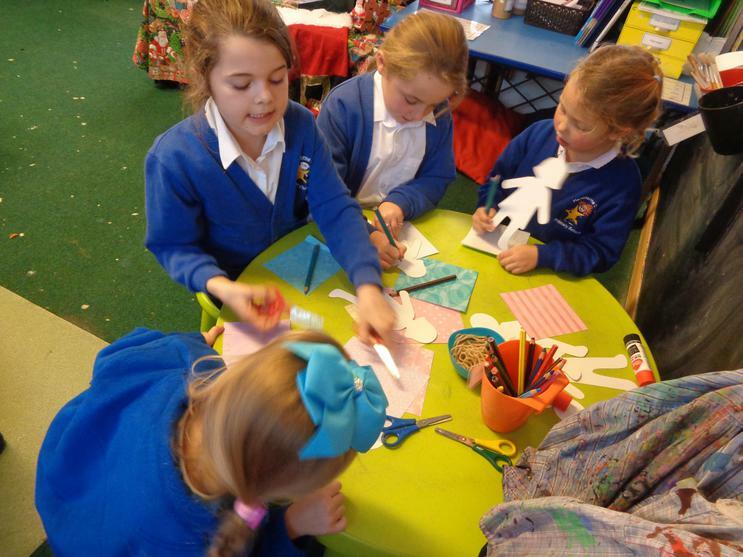 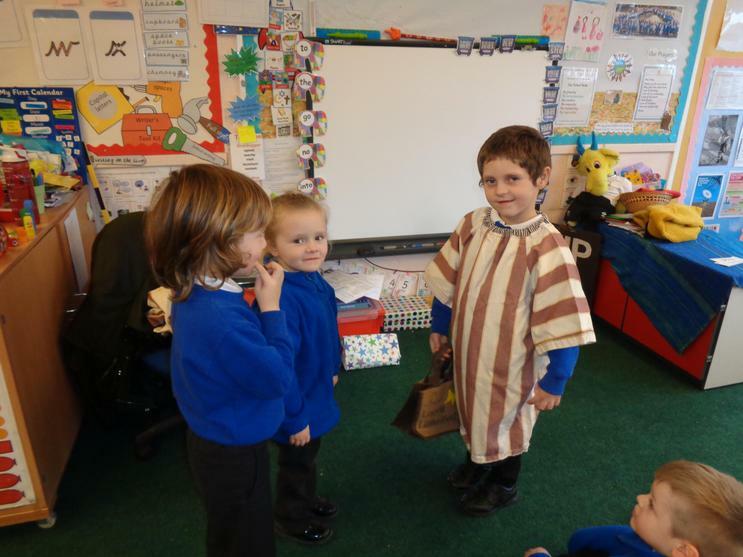 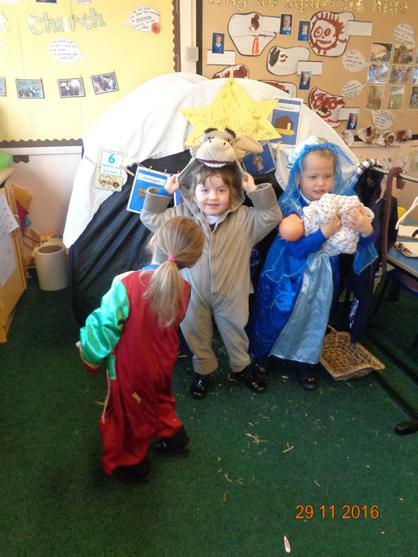 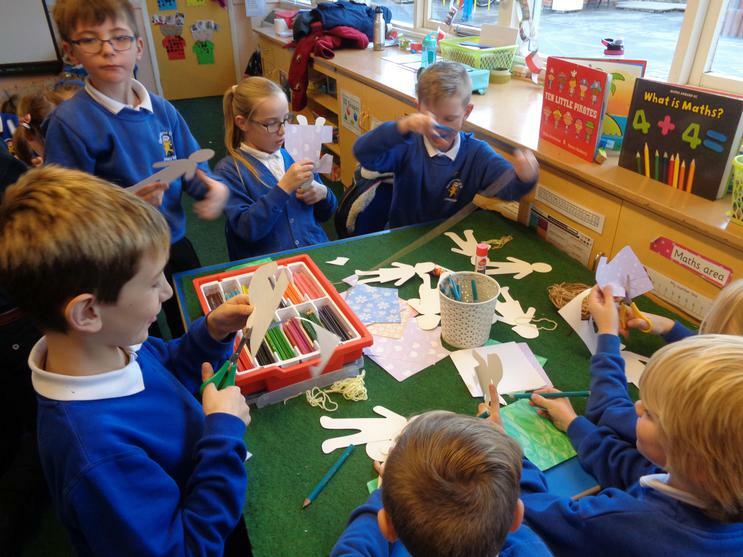 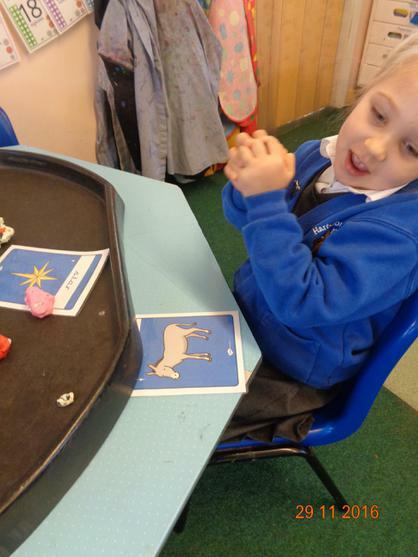 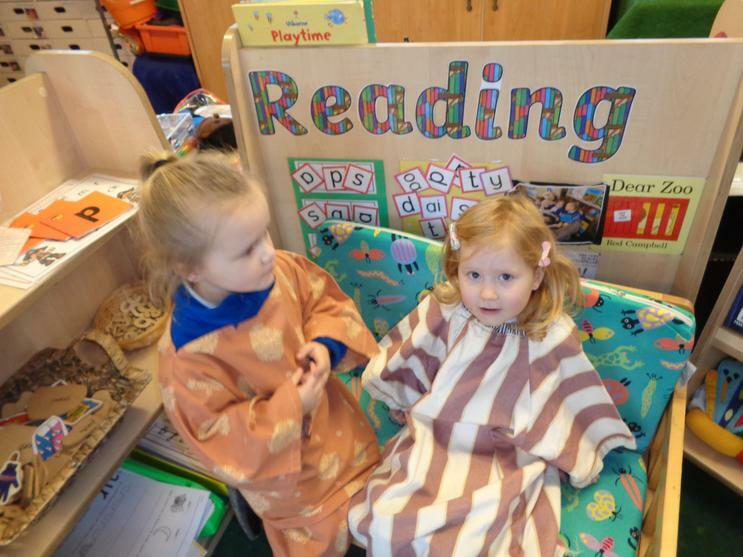 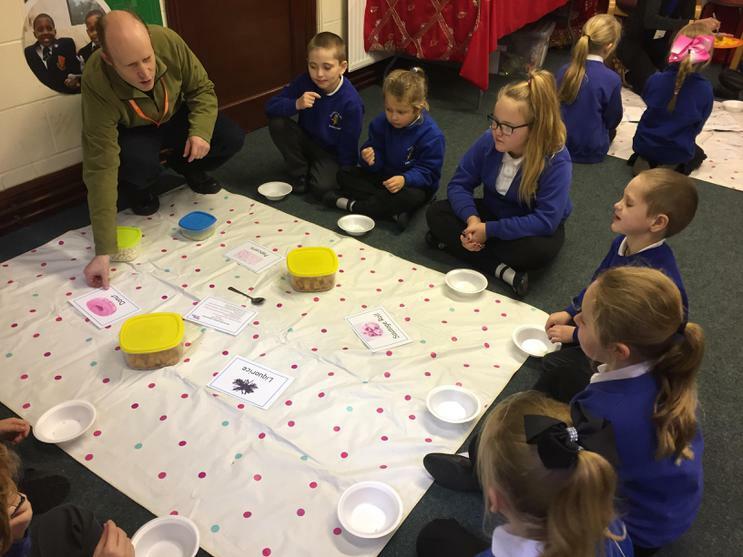 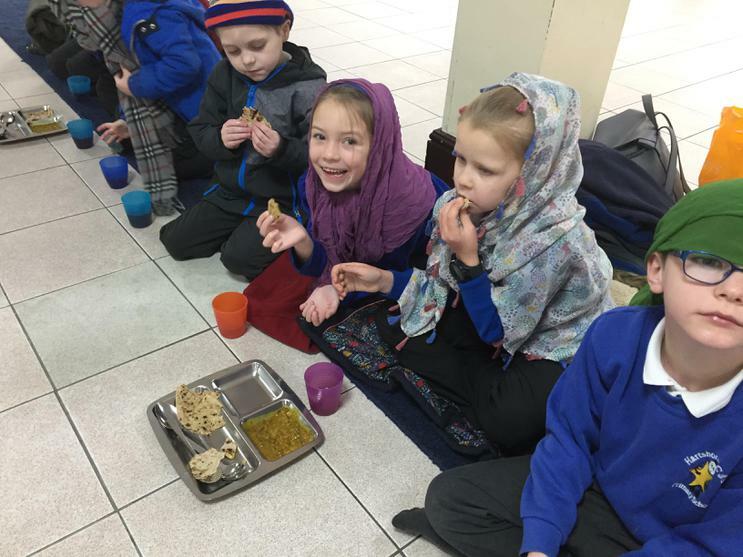 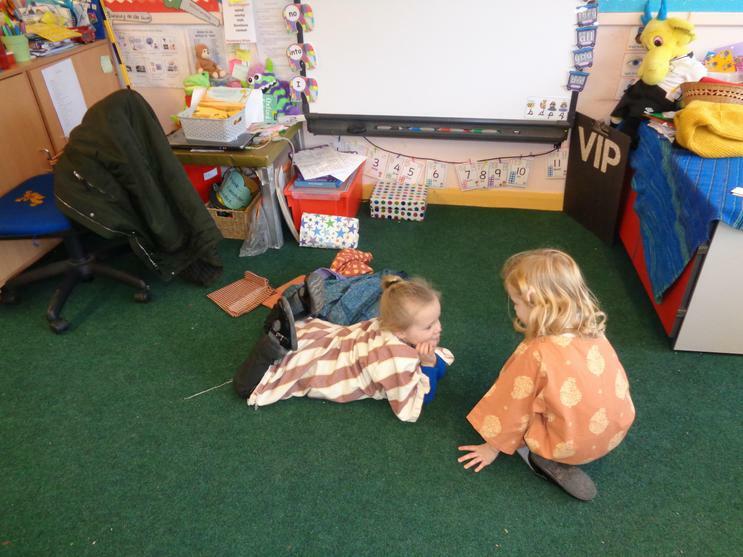 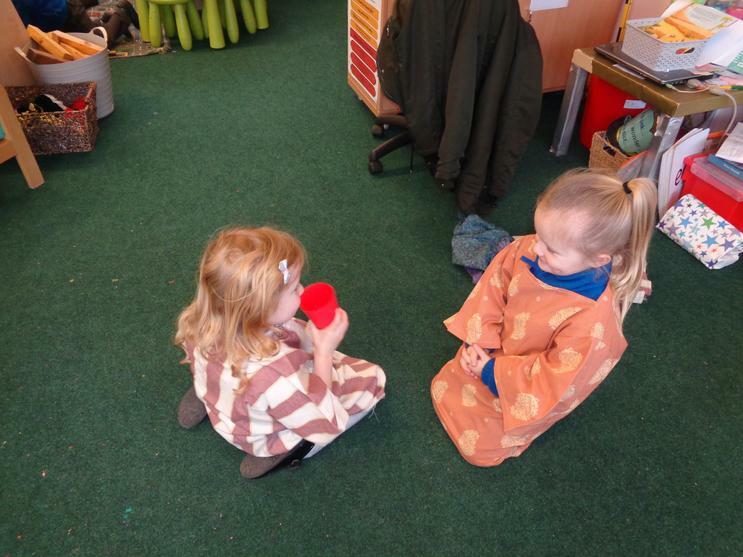 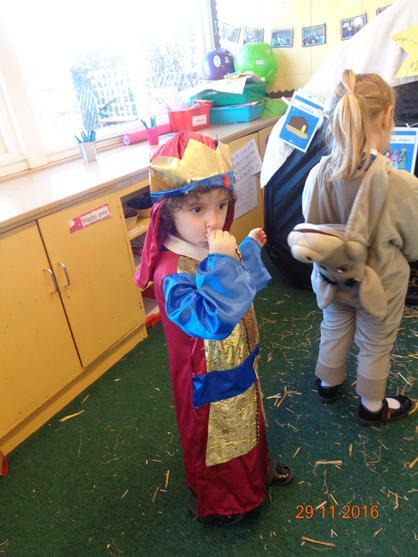 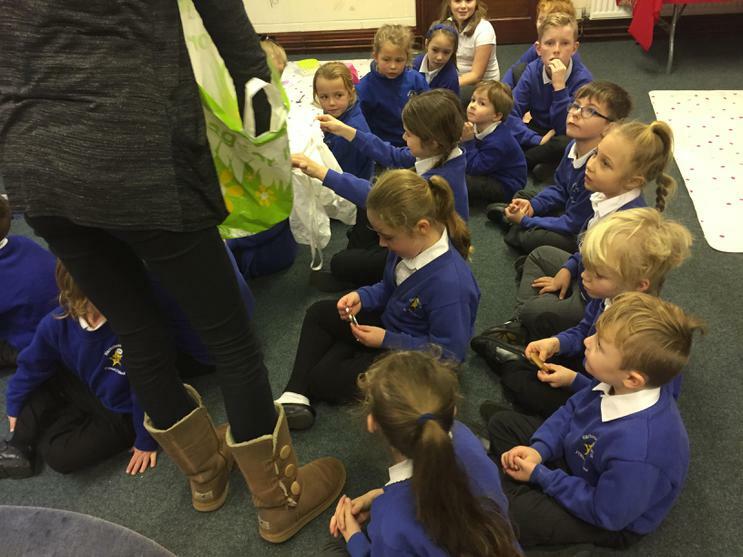 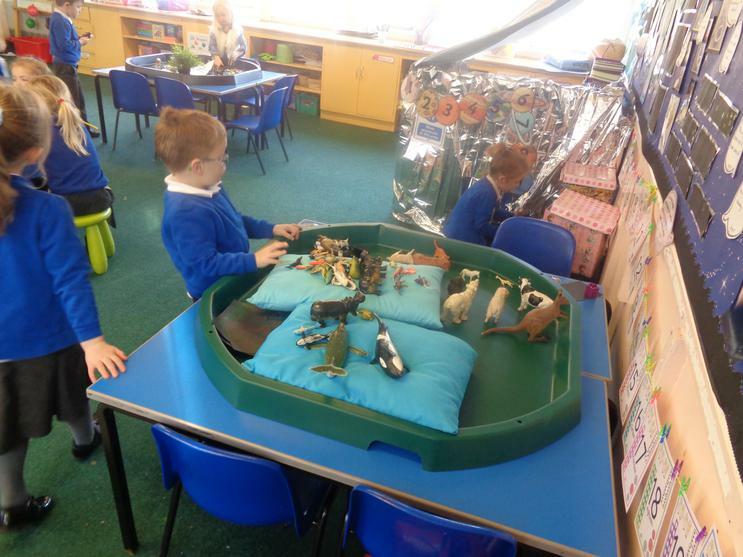 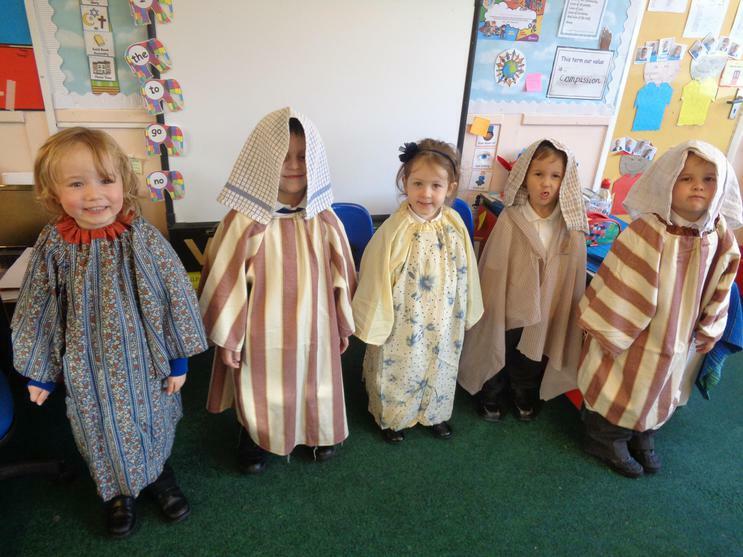 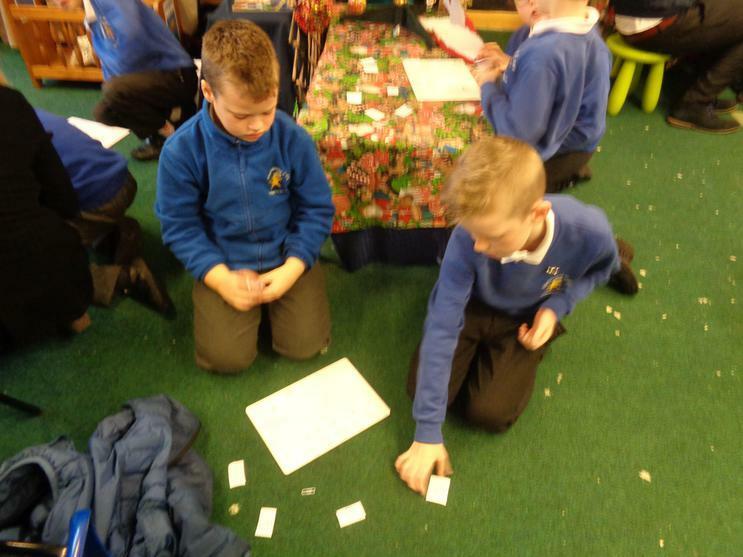 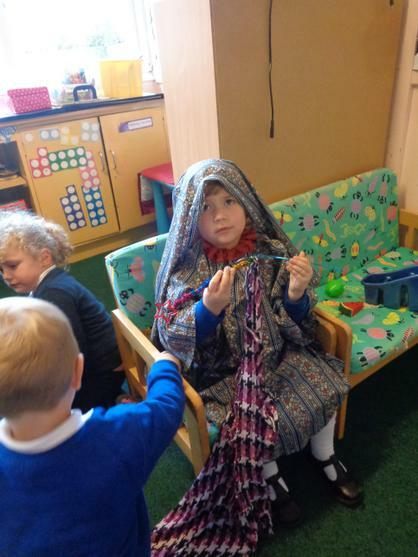 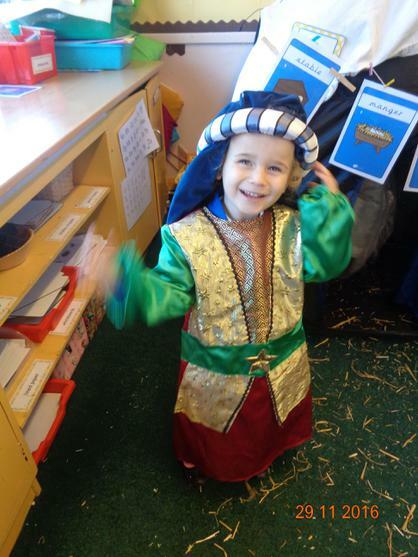 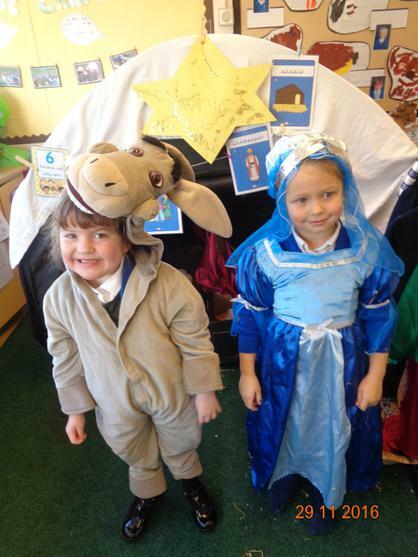 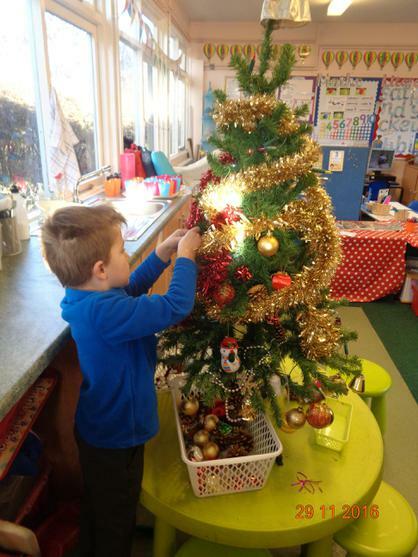 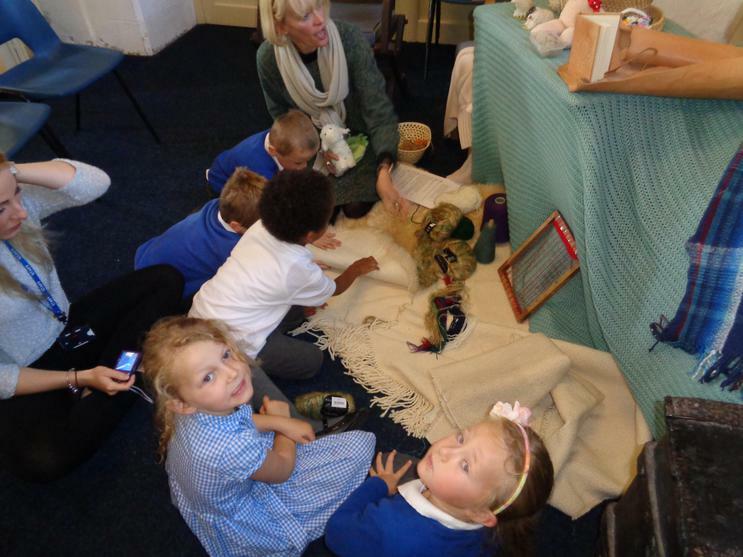 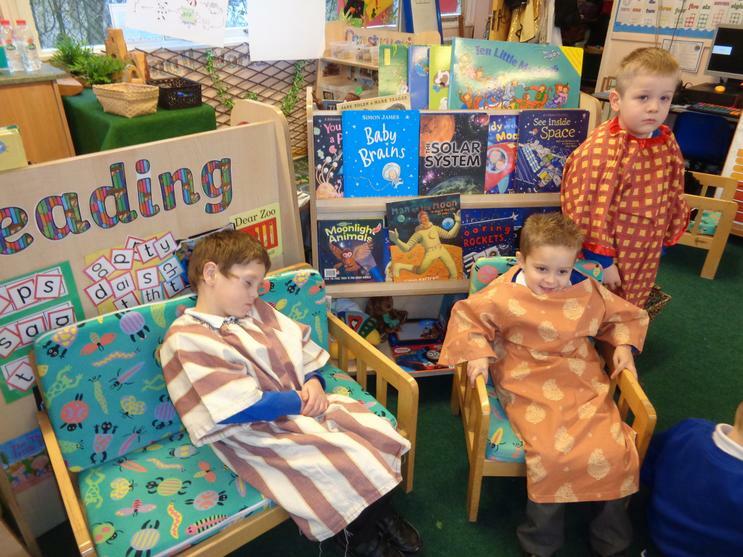 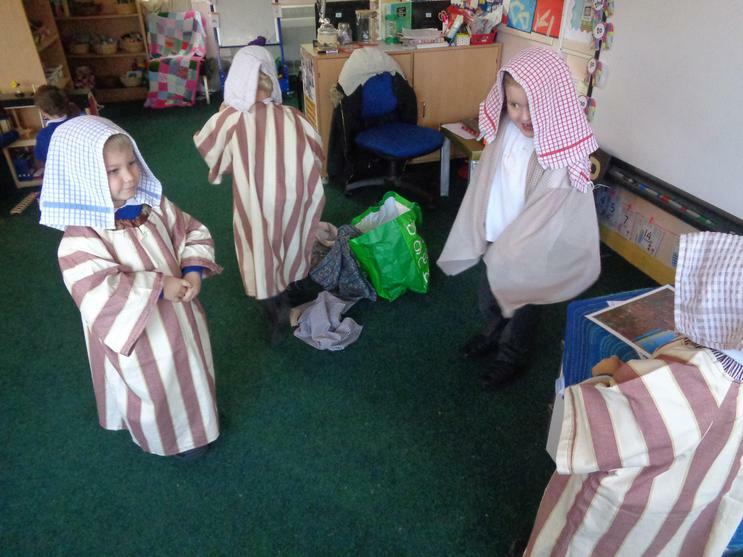 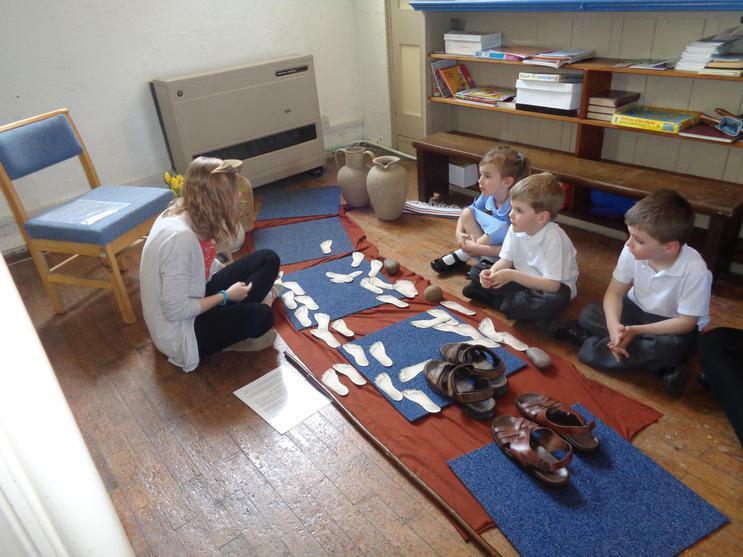 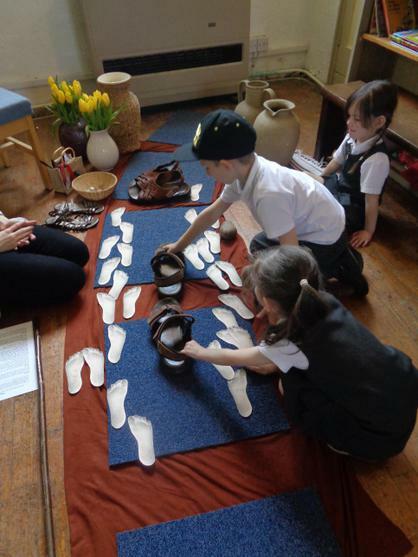 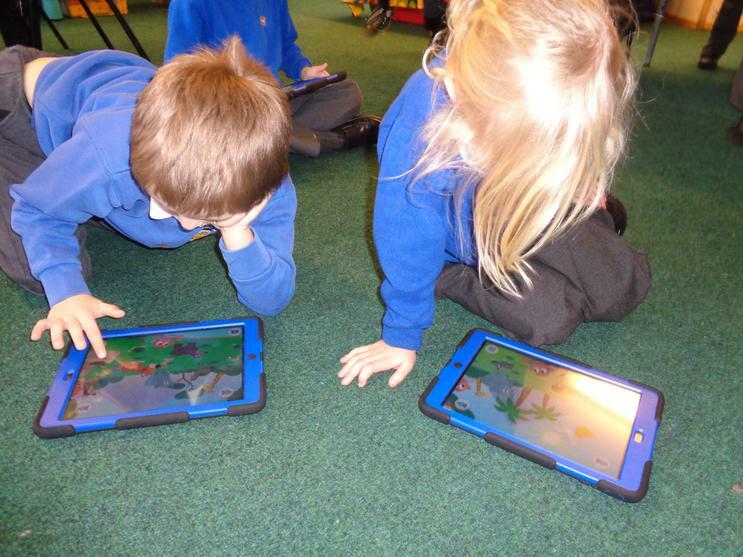 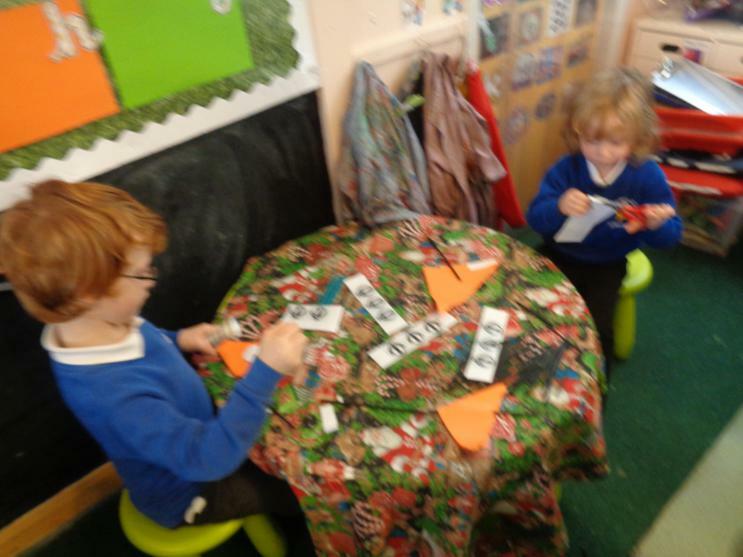 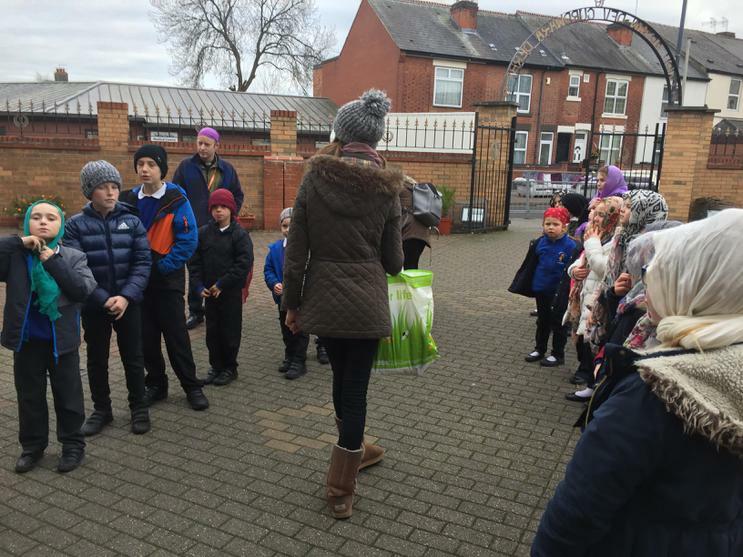 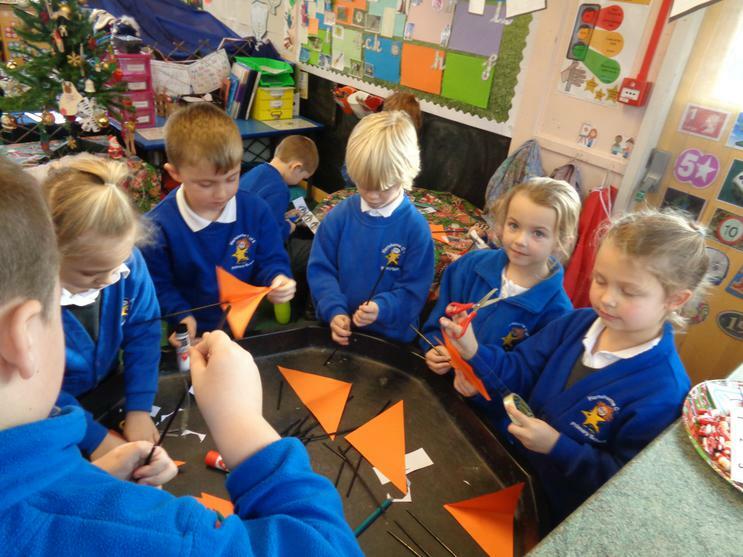 ​Beech class have been experiencing the Christian story of the nativity in lots of areas of their learning.